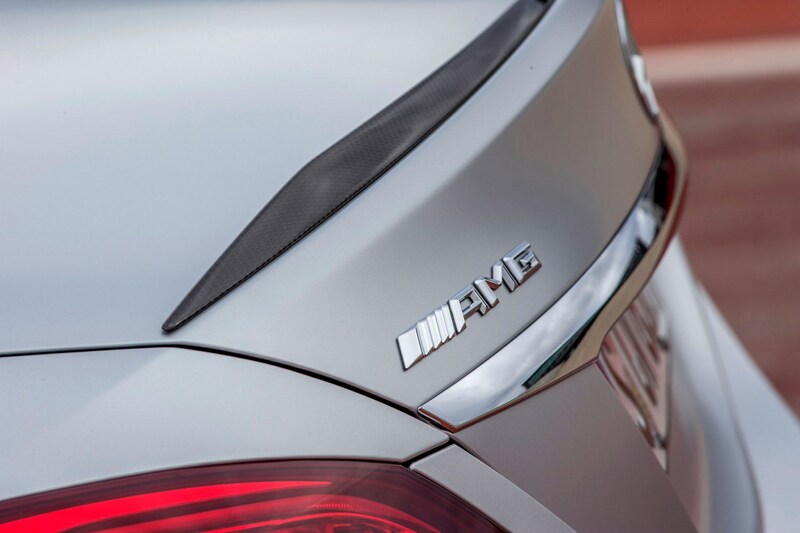 Insurance group: 47 - 49 How much is it to insure? 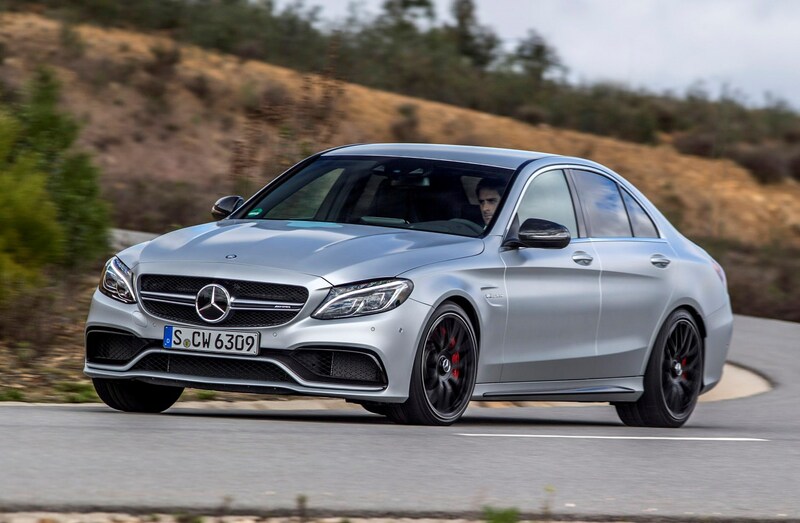 It’s the first of a new-breed, with downsizing hitherto unseen from the firm, but the new Mercedes-AMG C63 is good enough to seriously scare the BMW M3 and Audi RS4 . 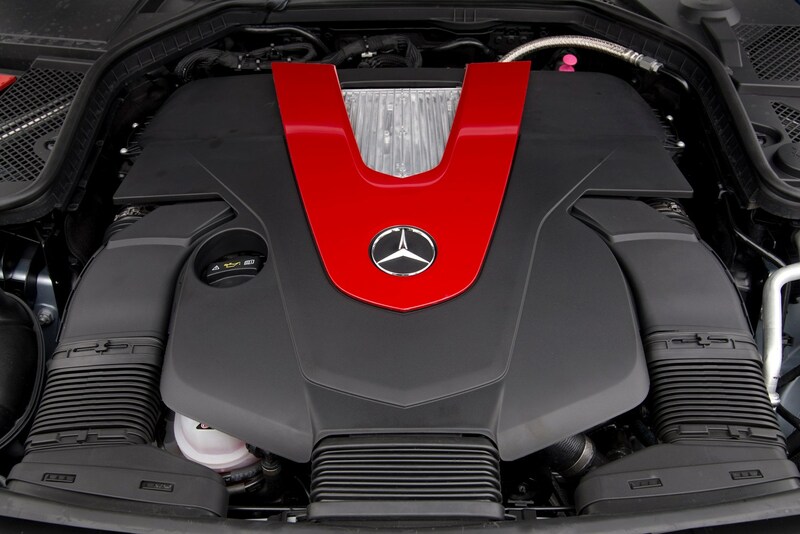 Out is the old over-sized V8, squeezed forcefully into the engine bay, replaced with a much smaller unit, still with eight cylinders but supplemented by a pair of turbos. 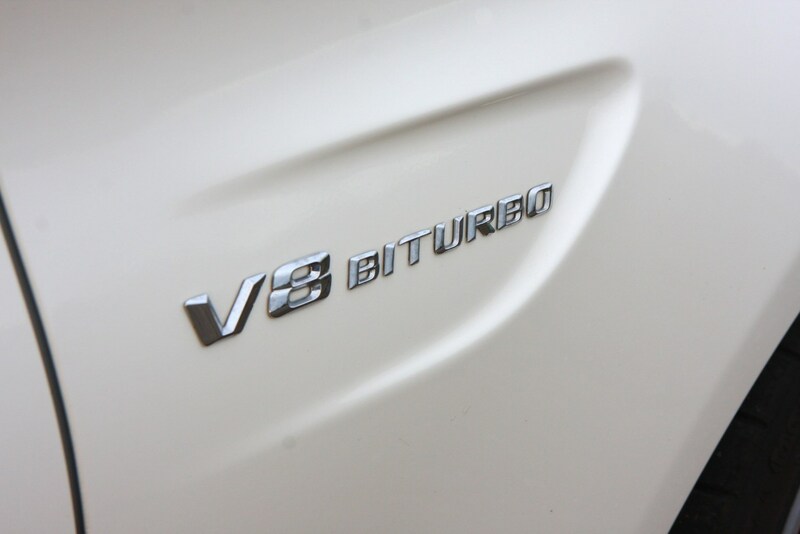 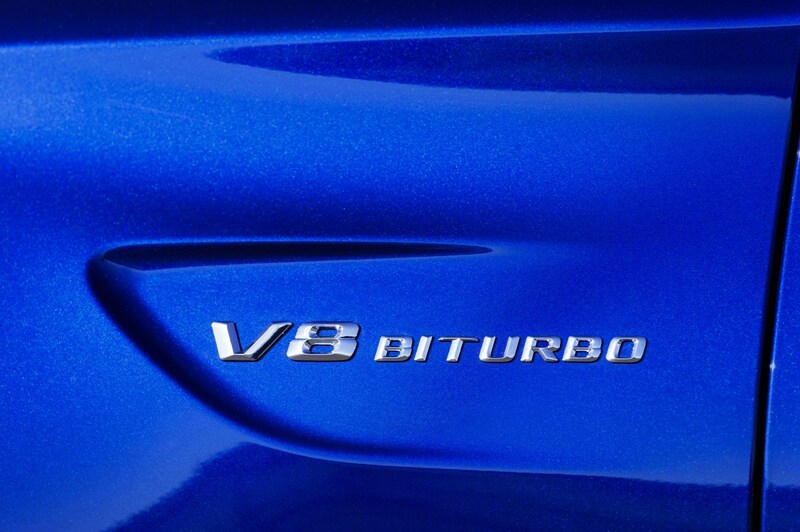 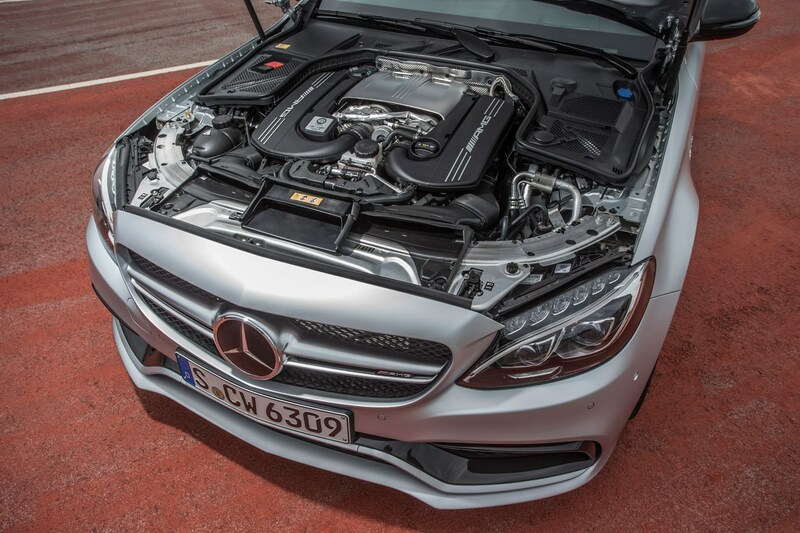 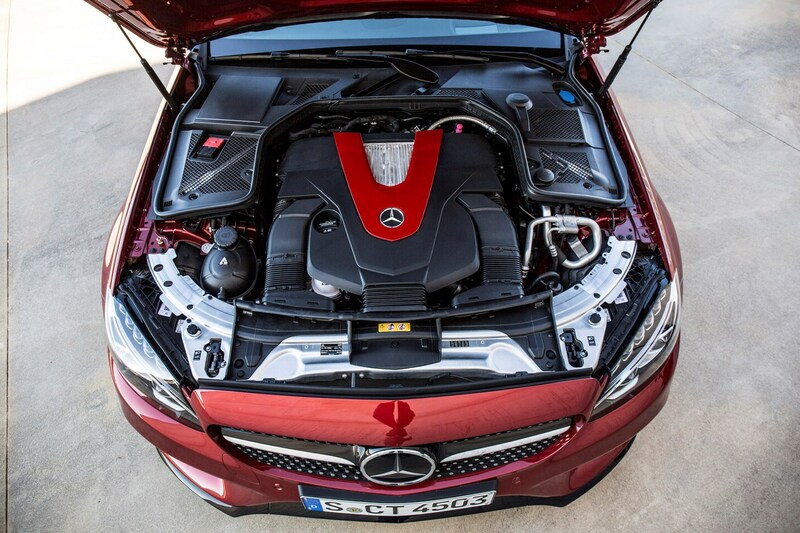 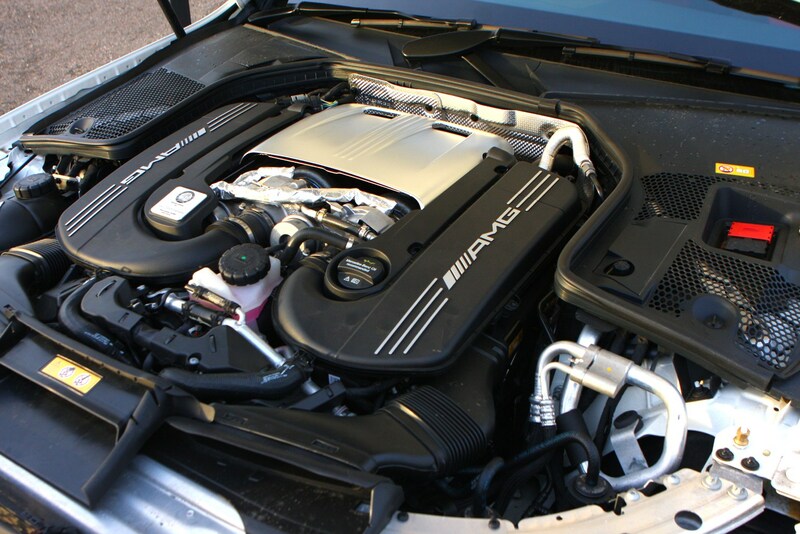 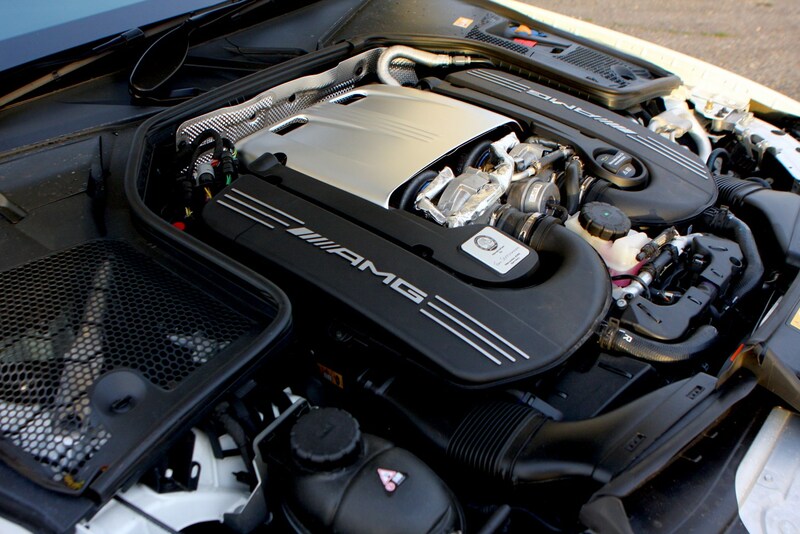 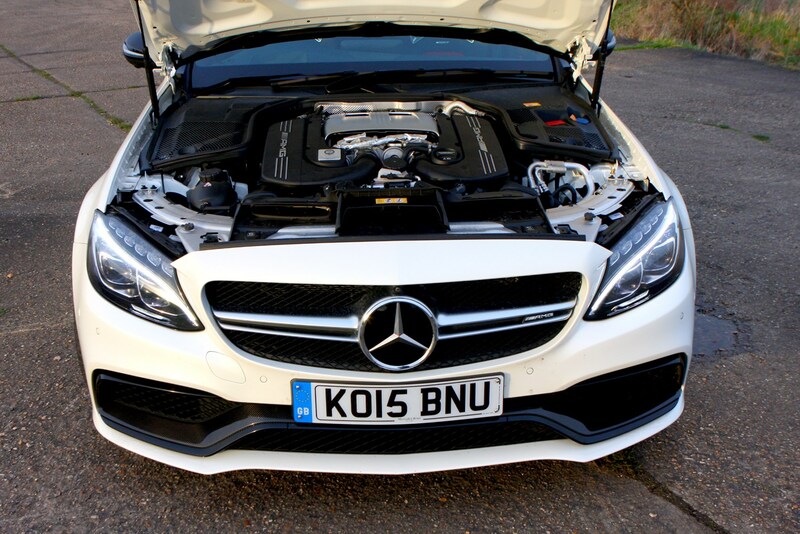 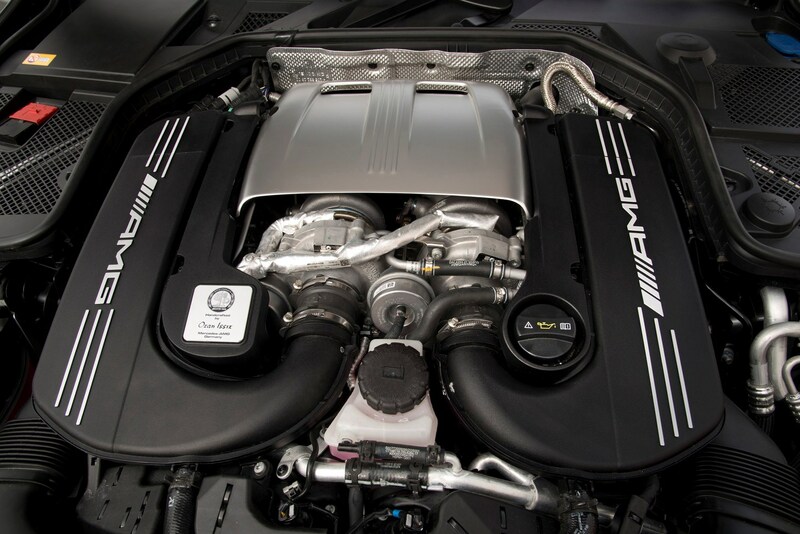 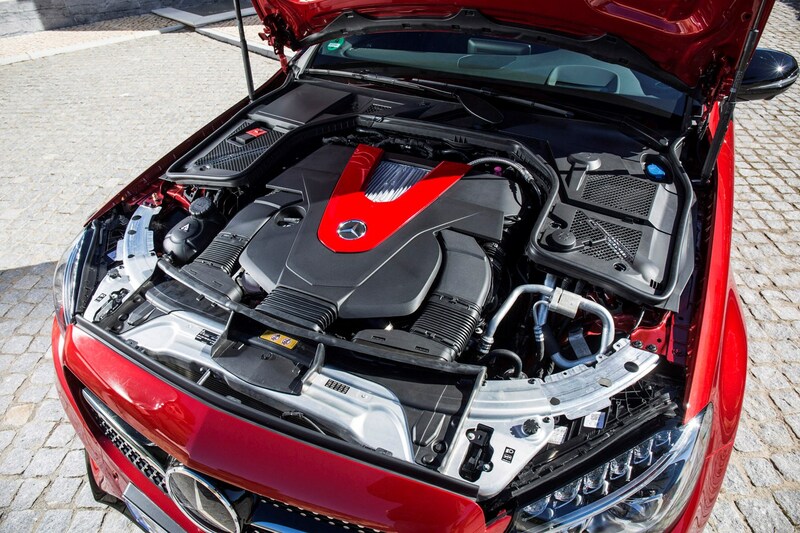 It’s because of those turbos, installed in the top of this 4-litre V8 engine (hence the ‘hot-V’ designation) the new Mercedes C63 AMG produces 469bhp and 650Nm of torque. 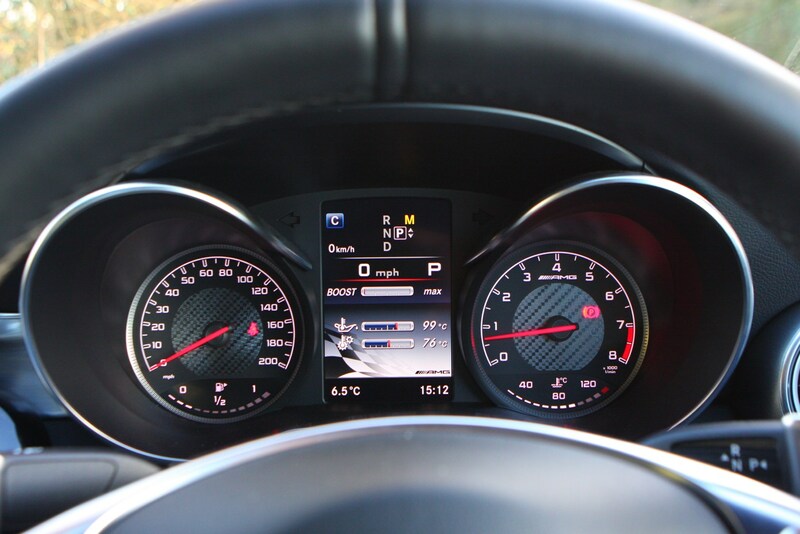 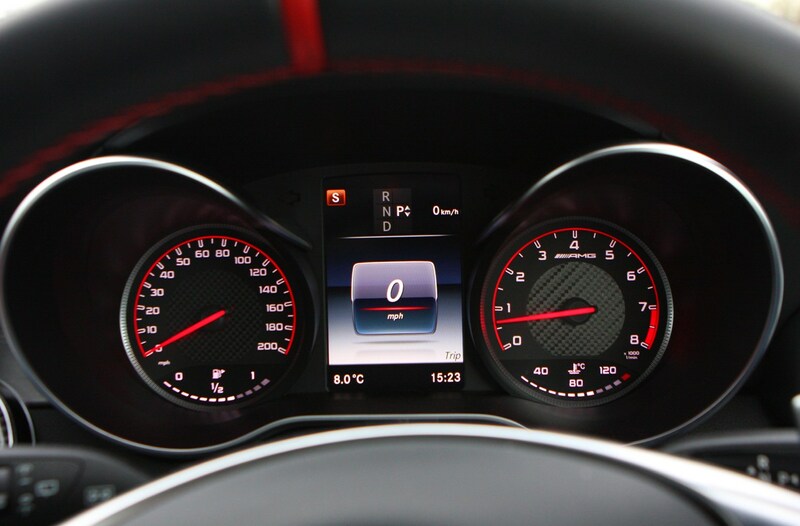 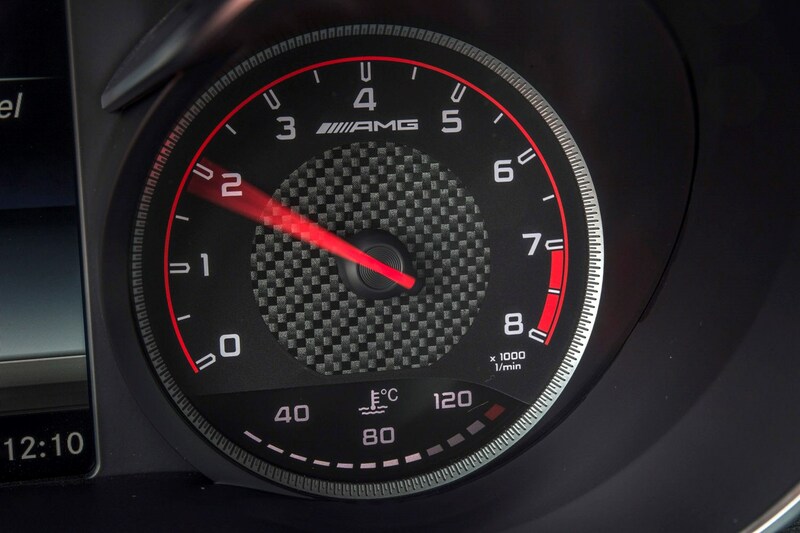 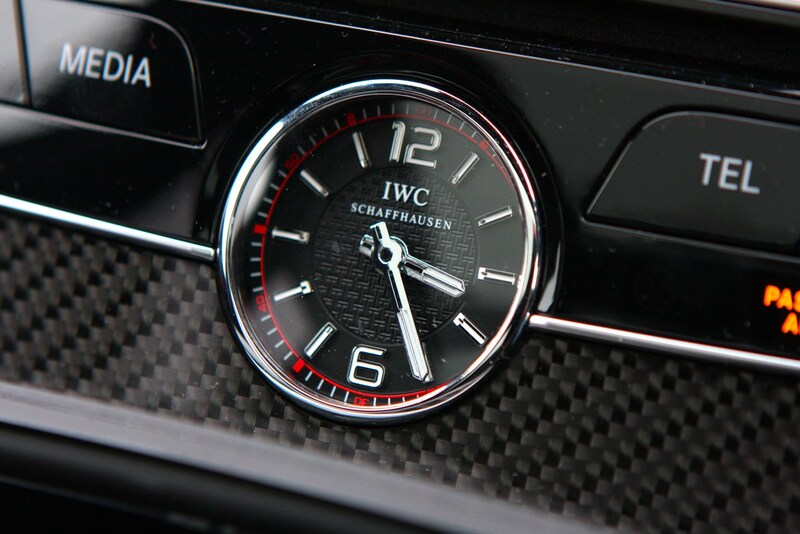 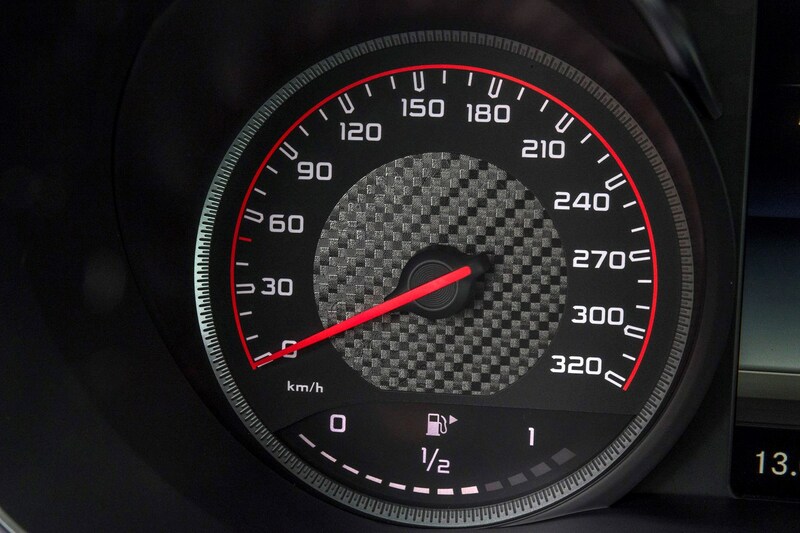 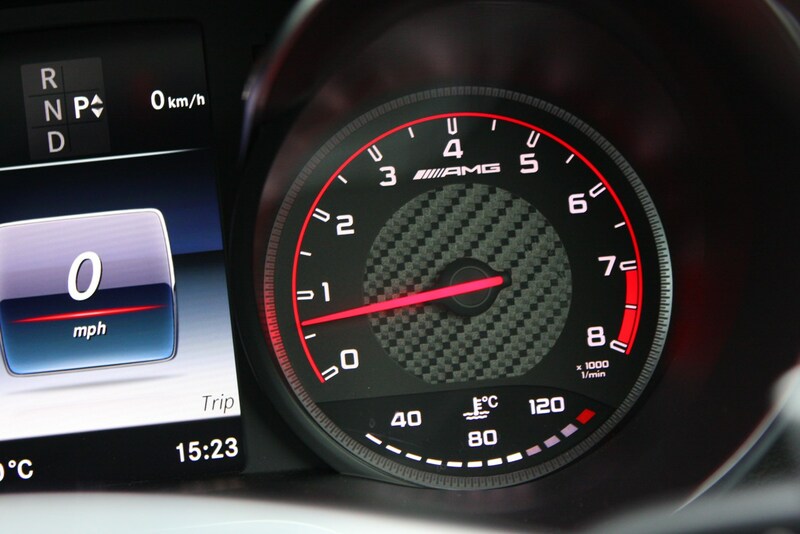 That last figure is available from 1,750rpm right through until 4,500rpm, so the power band of performance is suitably wide, and the C63 often feels preposterously flexible. 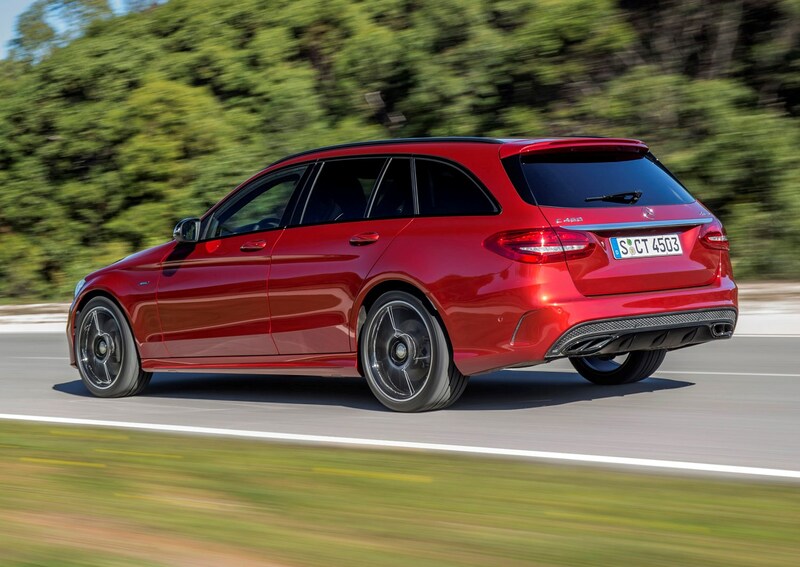 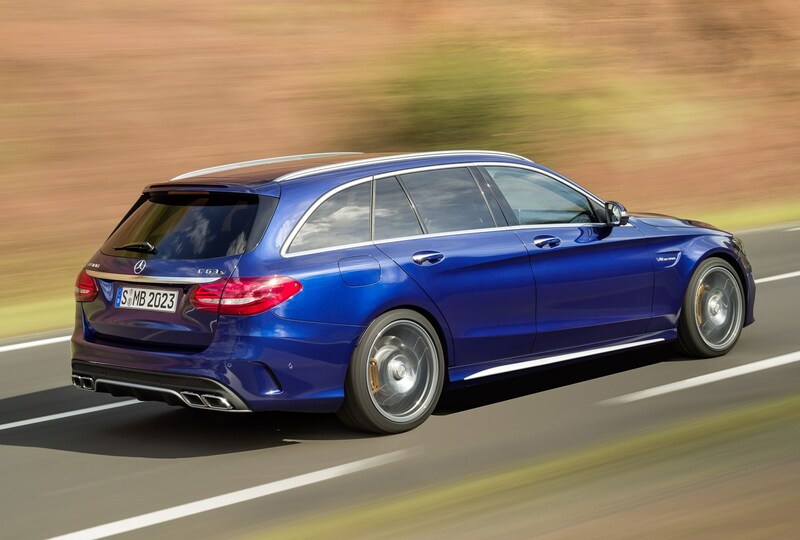 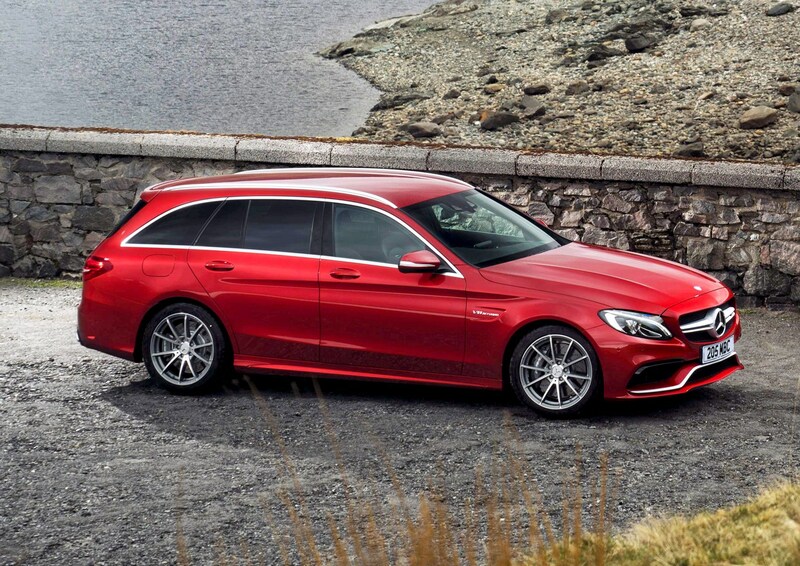 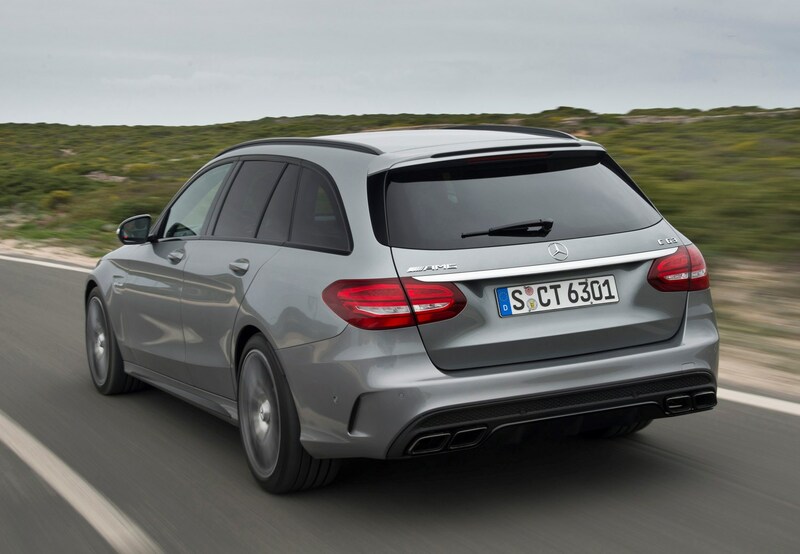 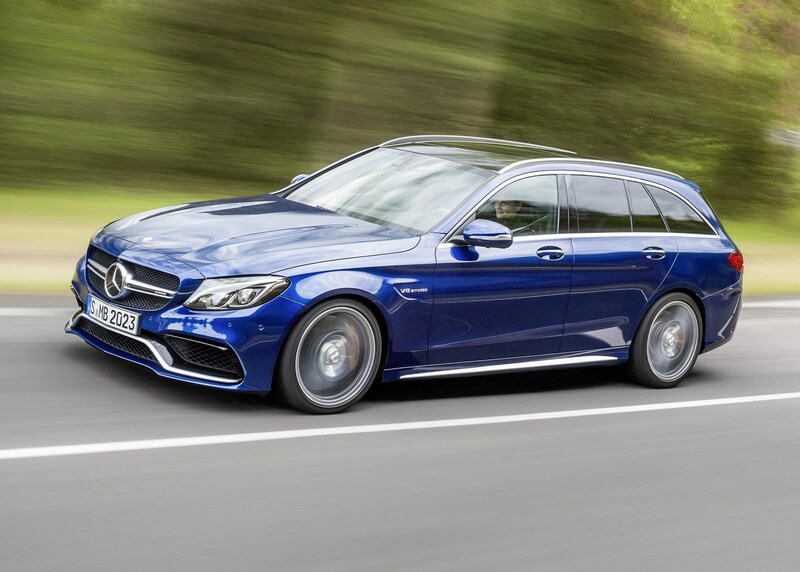 Against the clock the performance saloon will accelerate from 0-62mph in just 4.1 seconds, while buyers who require the extra practicality of the estate model will take just one tenth longer, the coupe is the quickest of the three and can complete the sprint in just four seconds. 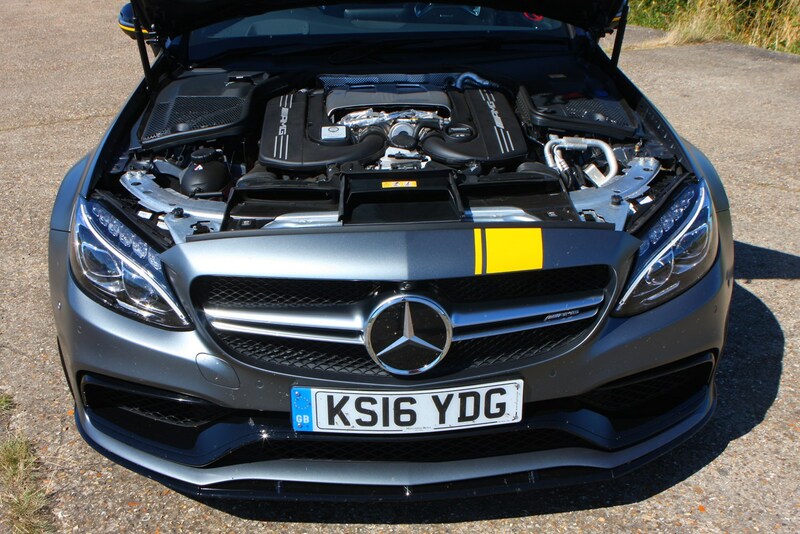 If performance really is paramount, the Mercedes-AMG C63 S has another 34bhp and 50Nm, making this already flexible engine even more instantaneous in its responses. 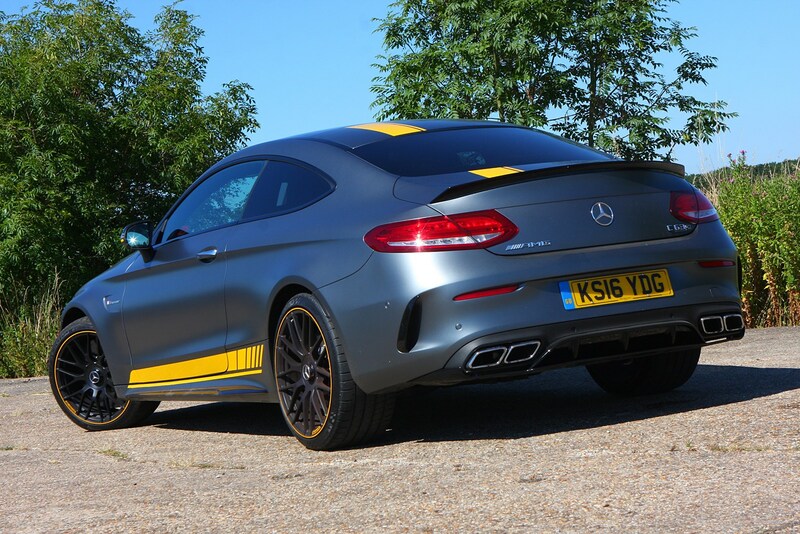 There’s a tenth of a second lopped-off the 0-62mph times too, though both are limited to 155mph unless you specify the AMG Driver’s Package which raises this to 180mph and includes circuit-based tuition. 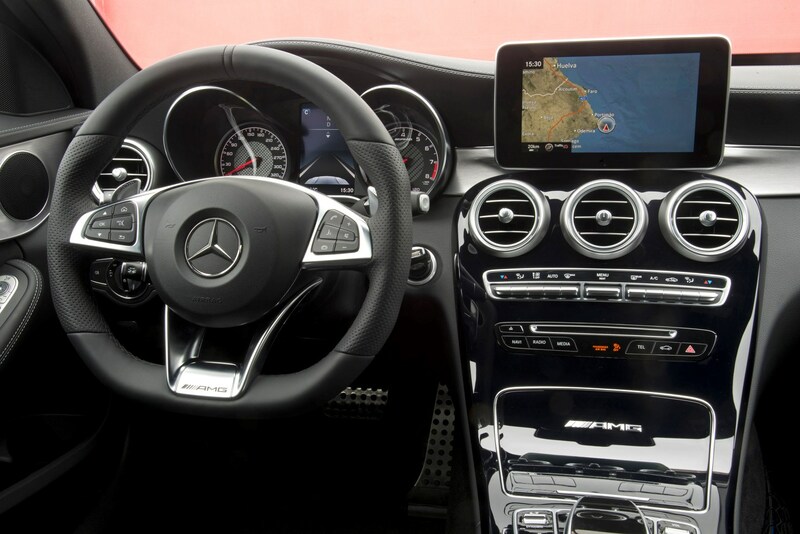 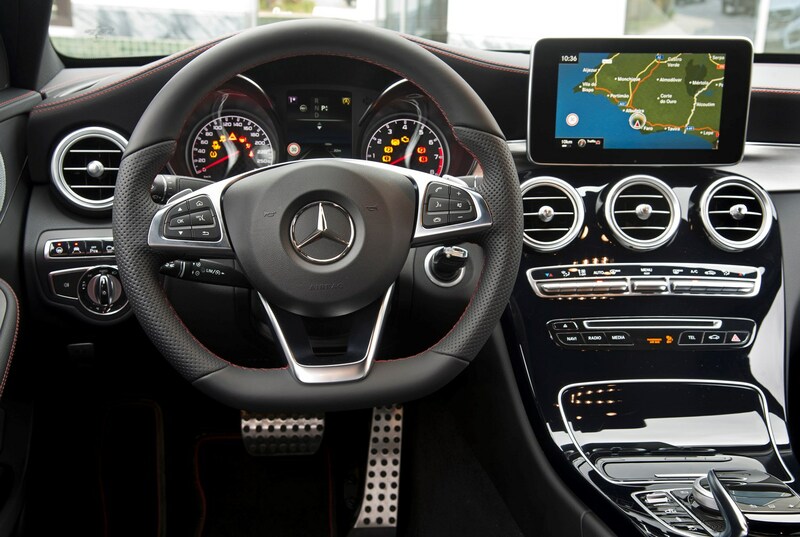 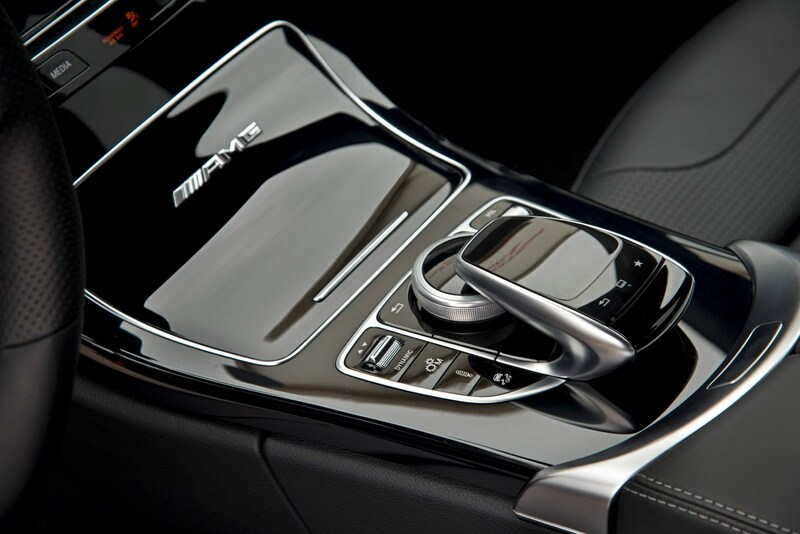 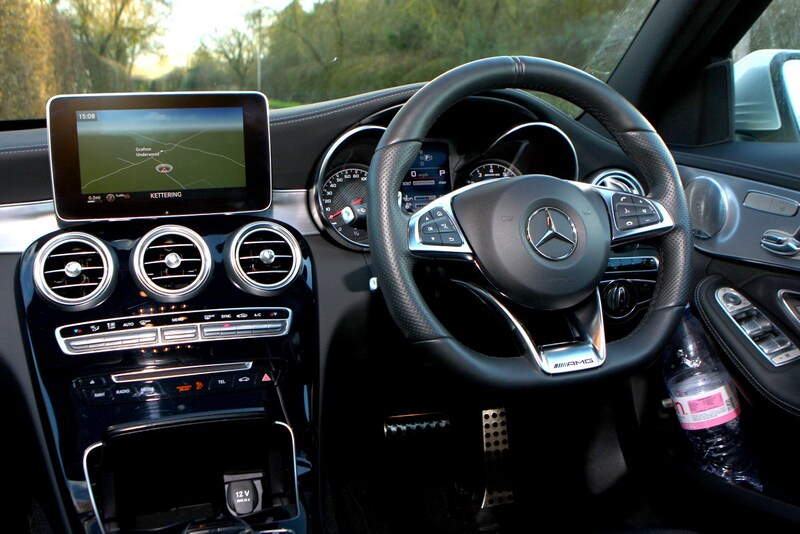 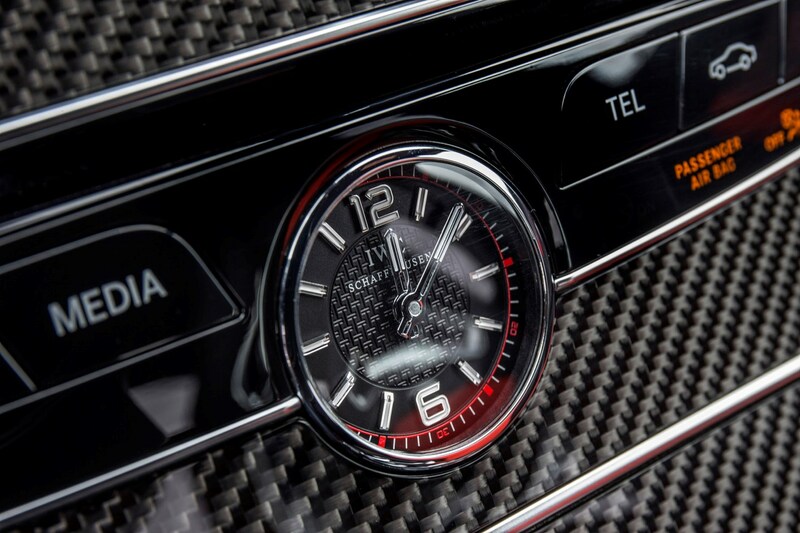 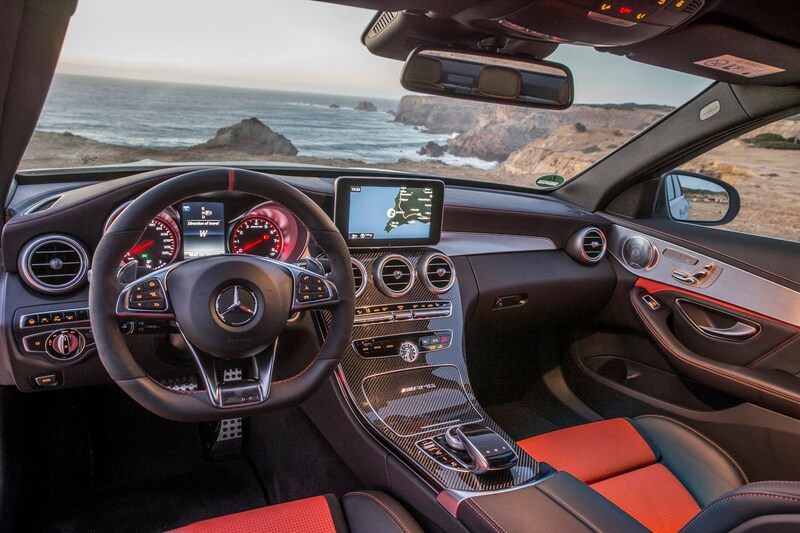 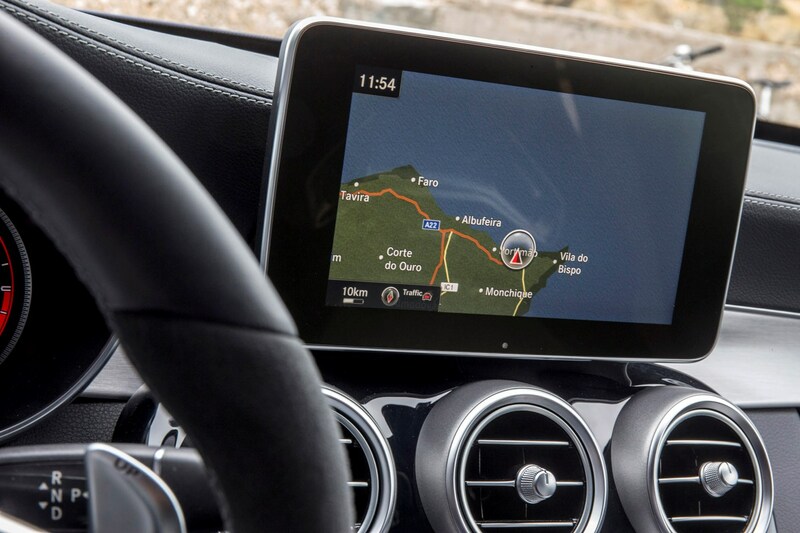 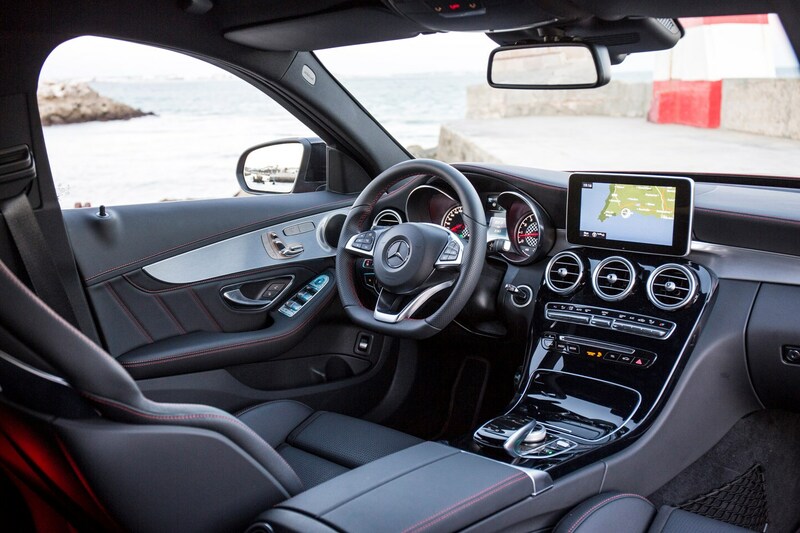 Regardless of which you choose, each comes with Mercedes’ seven-speed dual-clutch automatic, with paddle-shifters behind the steering wheel. 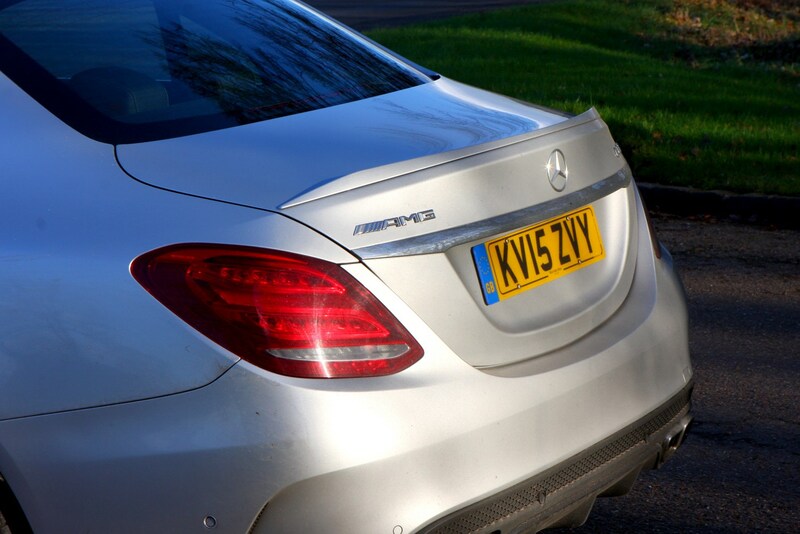 Quick to react in manual mode, and an expert at slurring between gears in automatic, if only it wasn’t controlled by that archetypal Mercedes column stalk. 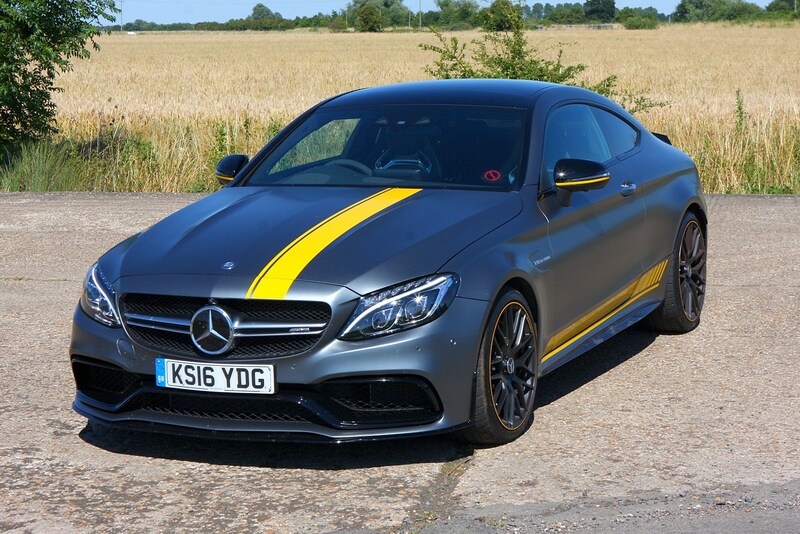 Hot on the heels of the turbocharged V8 C63, Mercedes-AMG released a junior V6 version in 2016 called the C43 4MATIC Coupé. 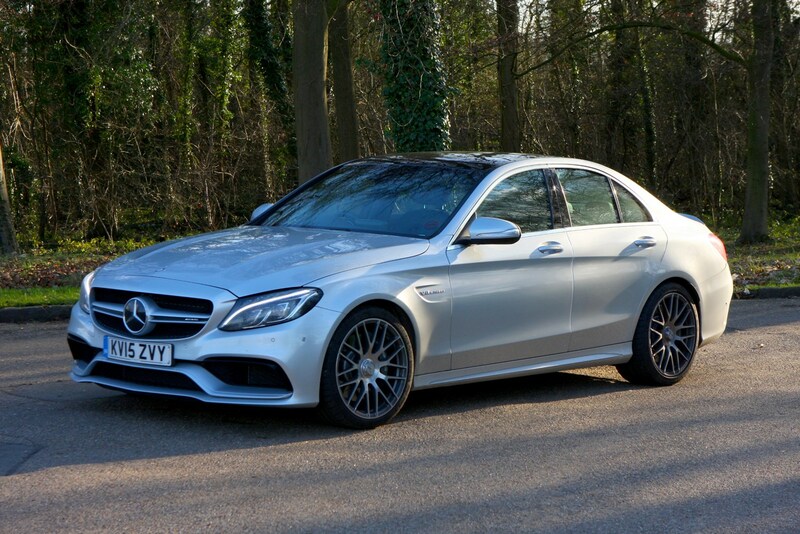 On paper it’s a C63 minus two cylinders, but promises to offer so much more thanks to the 9G-TRONIC automatic transmission (two more gears than its bigger brother) and less weight over the front axle for increased agility. 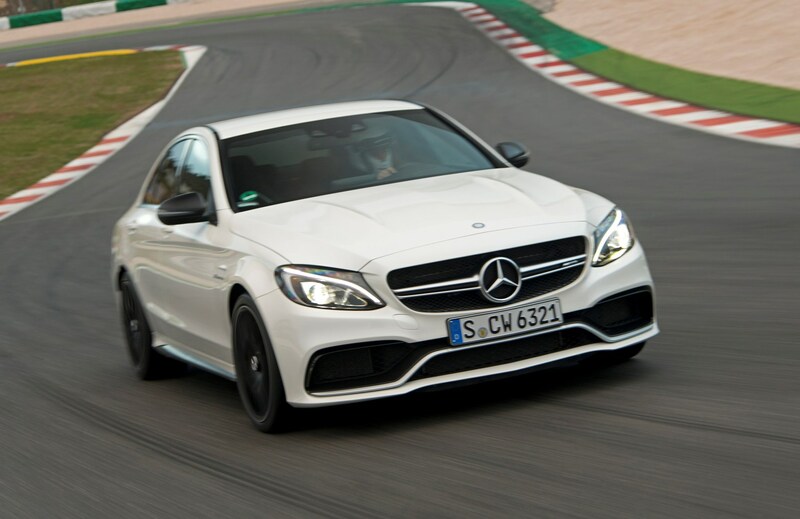 You get 362bhp and 520Nm from the 3-litre V6, plus a rear biased version of Mercedes’ 4MATIC all-wheel drive, and a 0-62mph time of 4.7 seconds – about half a second off the C63. 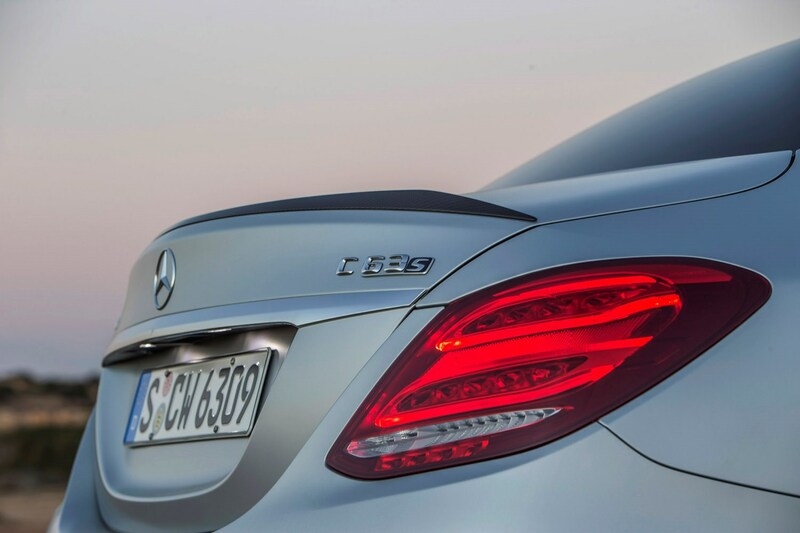 In exchange for less power there is up to 35mpg and as little as 178g/km of CO2. 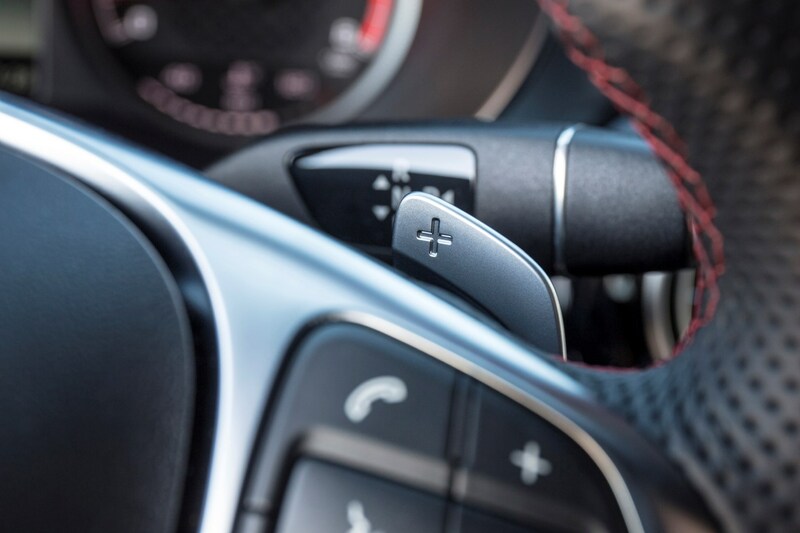 This is helped by a start/stop system and a coasting function which disengages the clutch when your foot is off the accelerator. 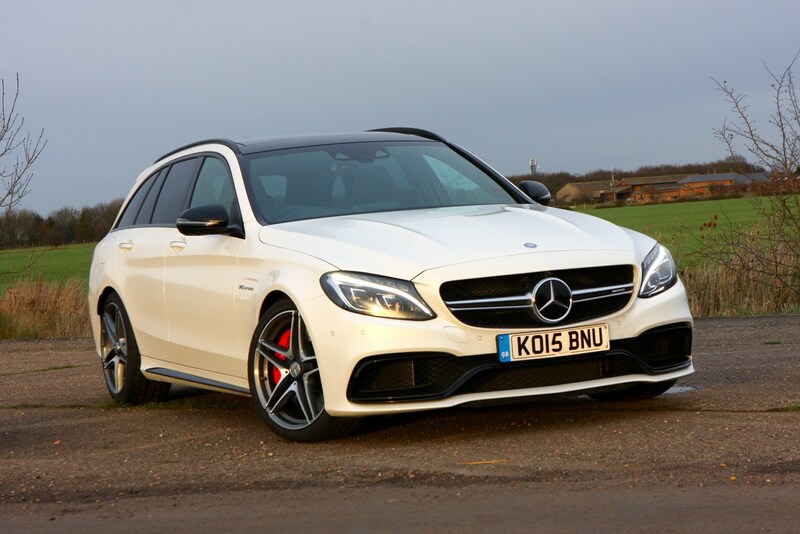 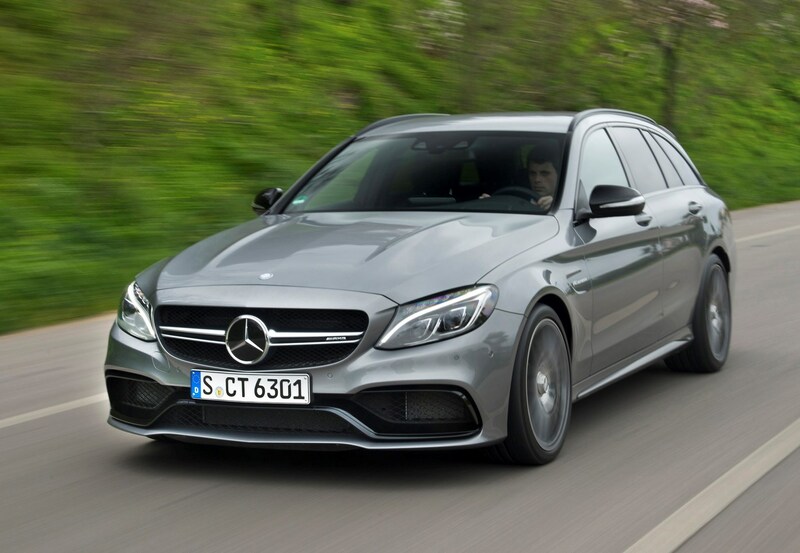 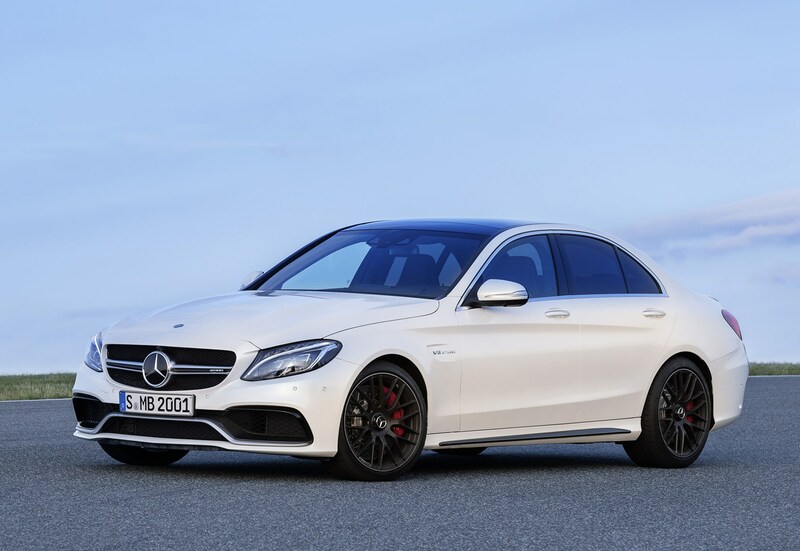 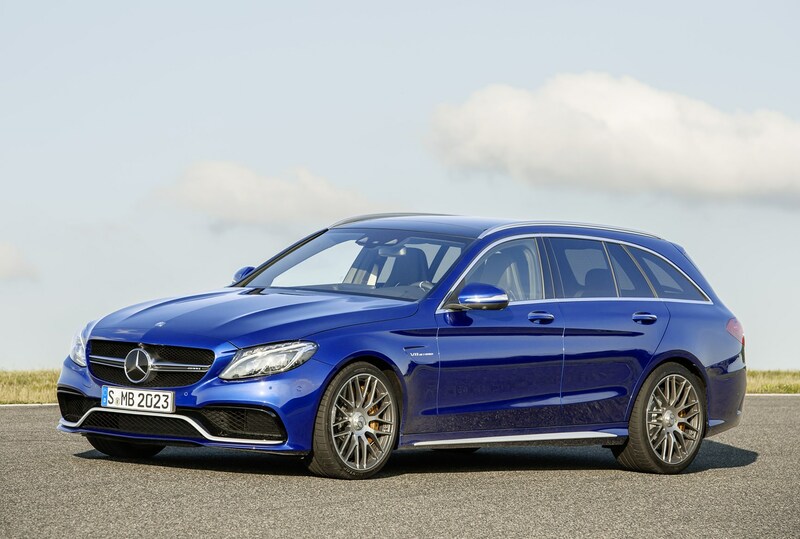 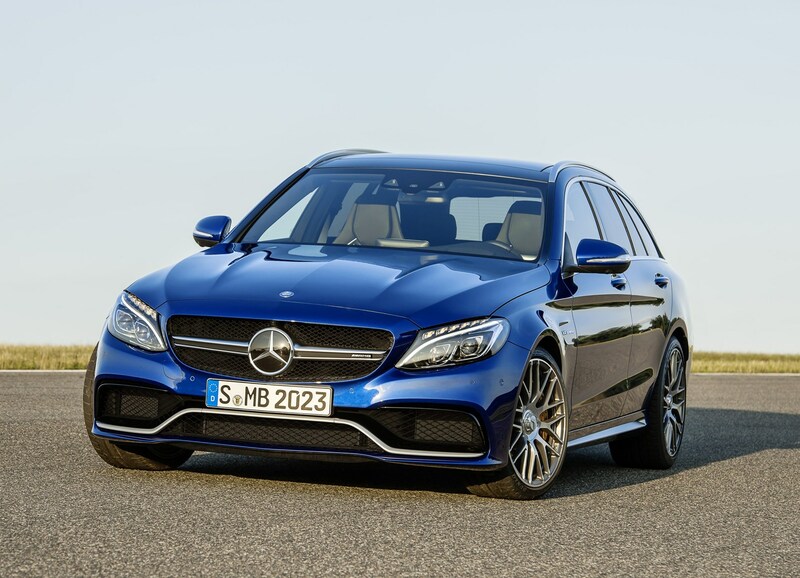 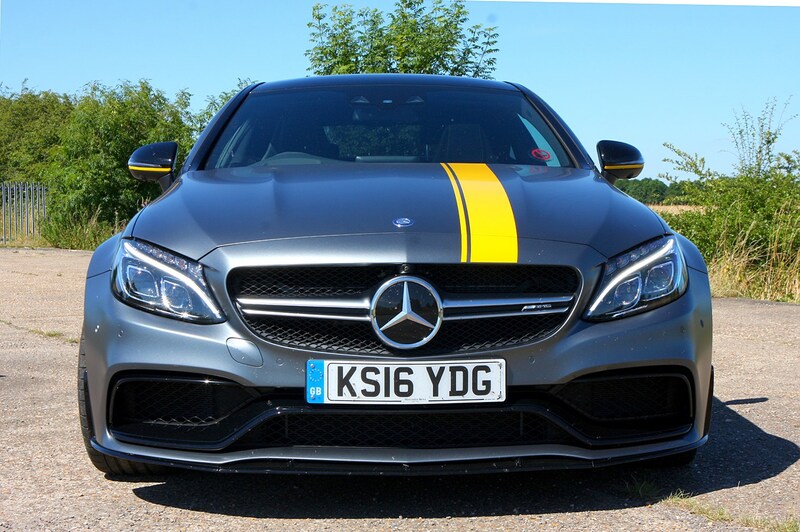 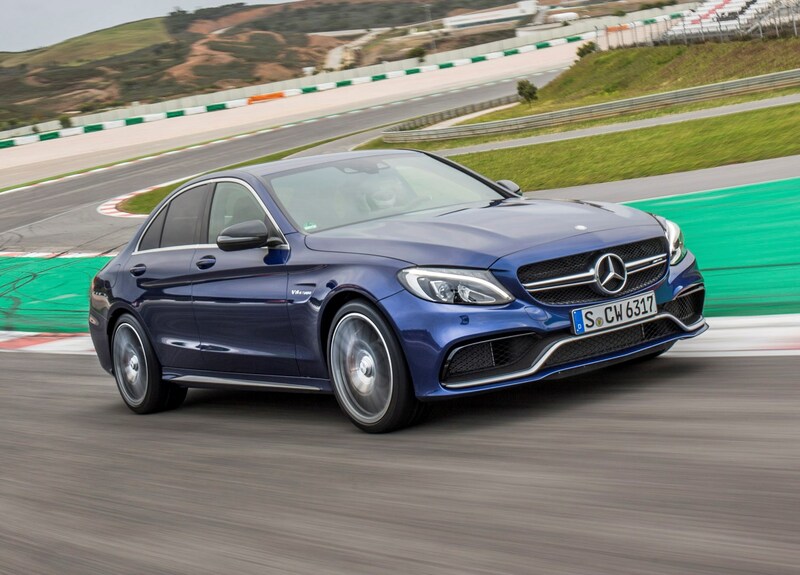 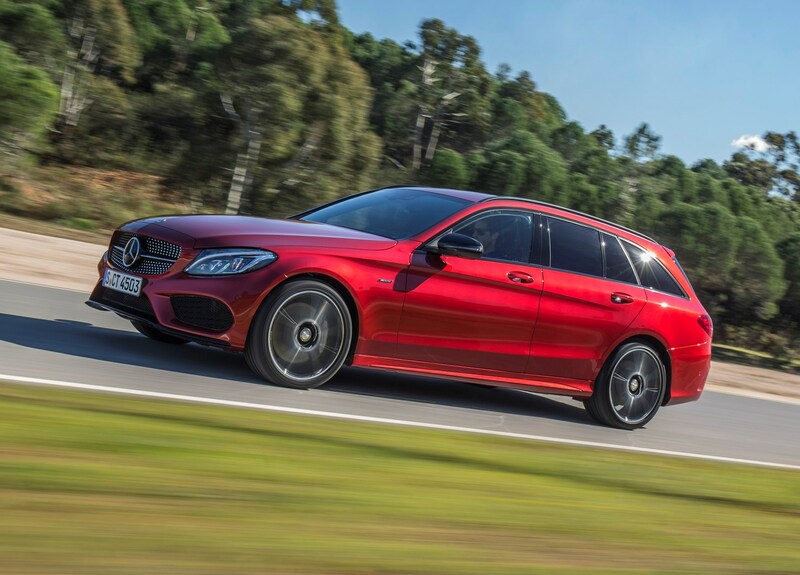 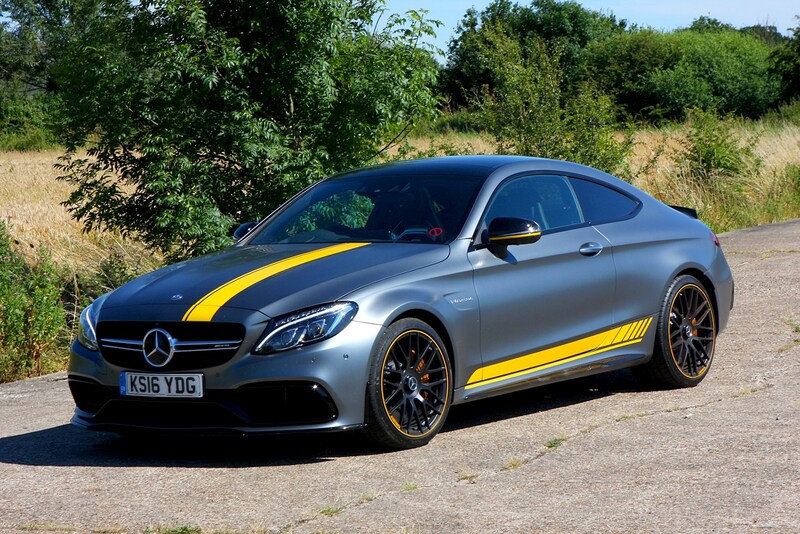 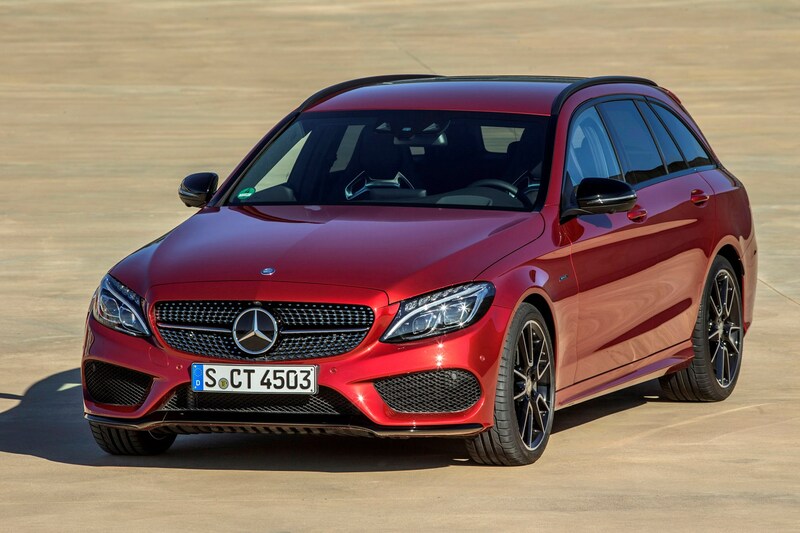 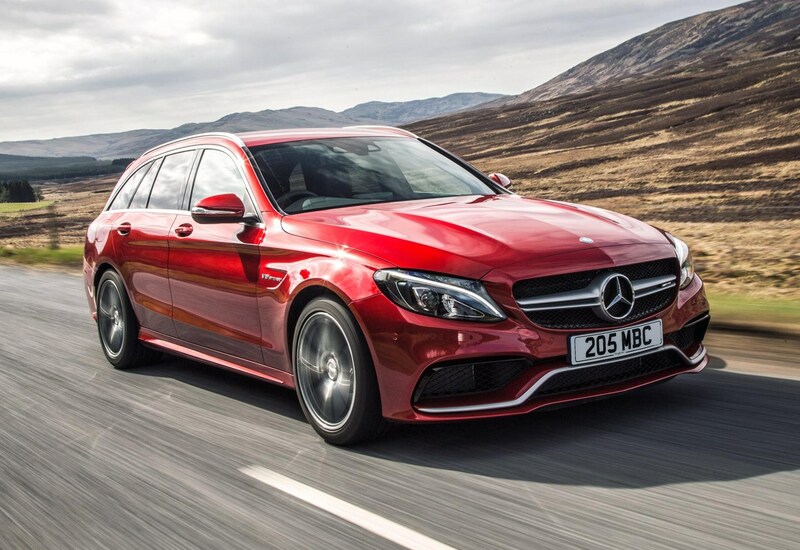 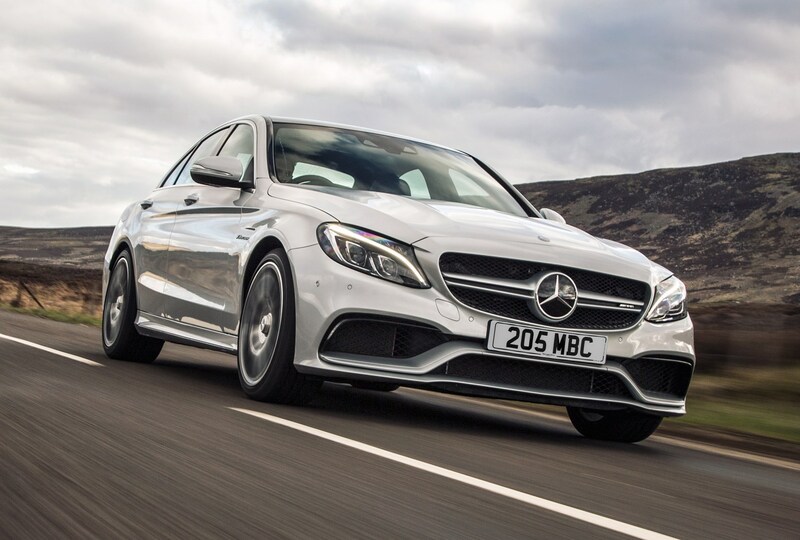 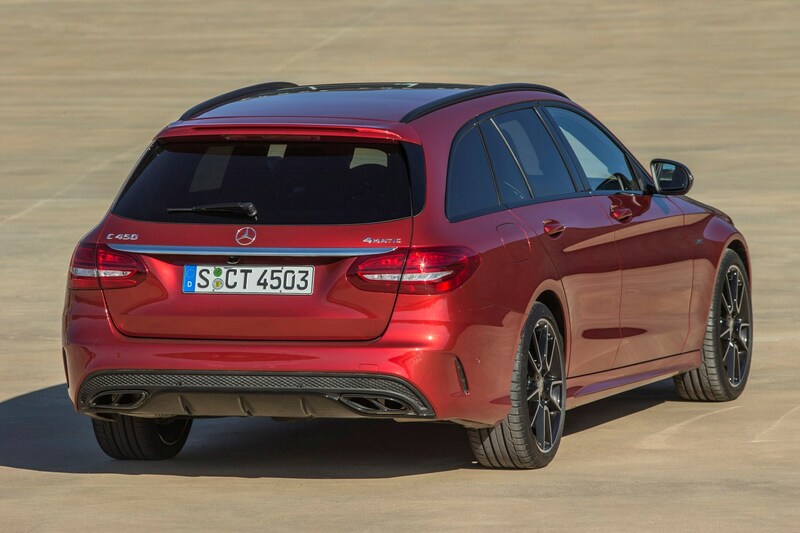 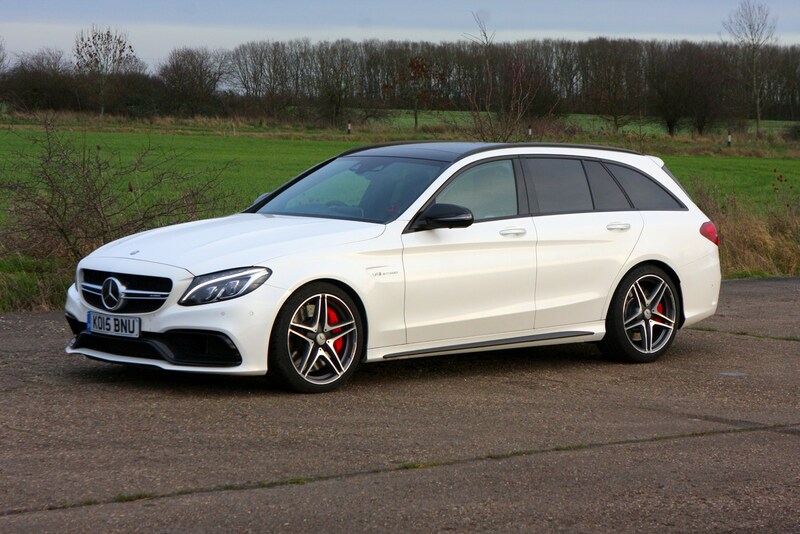 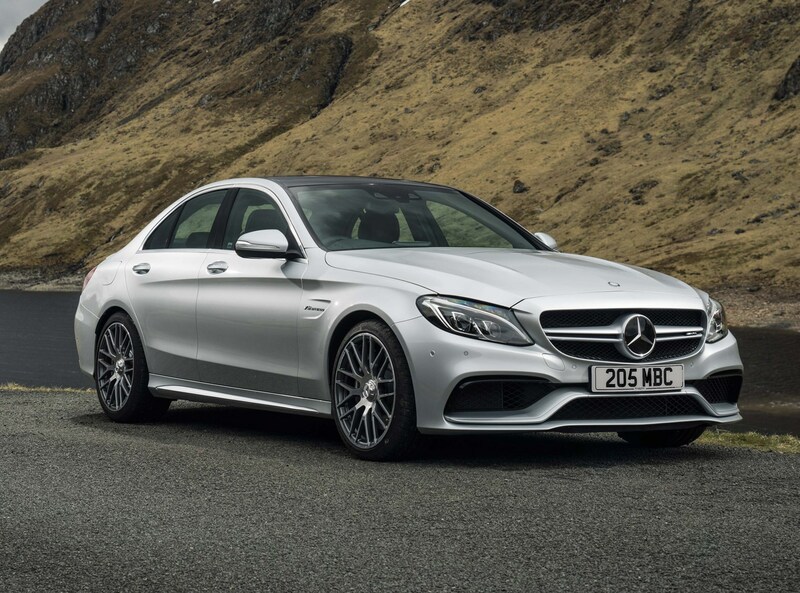 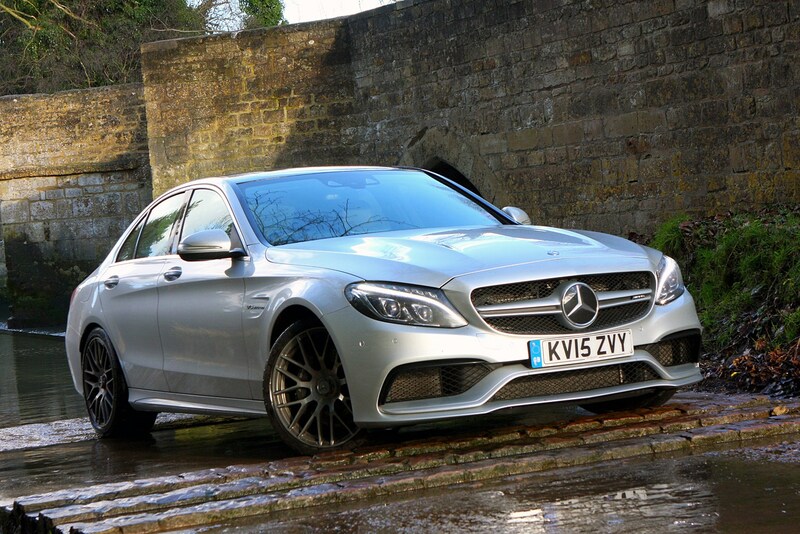 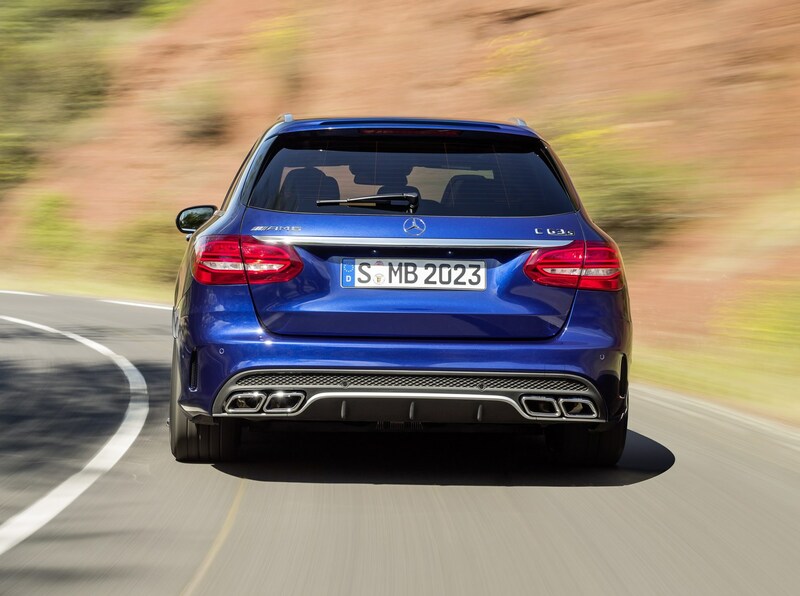 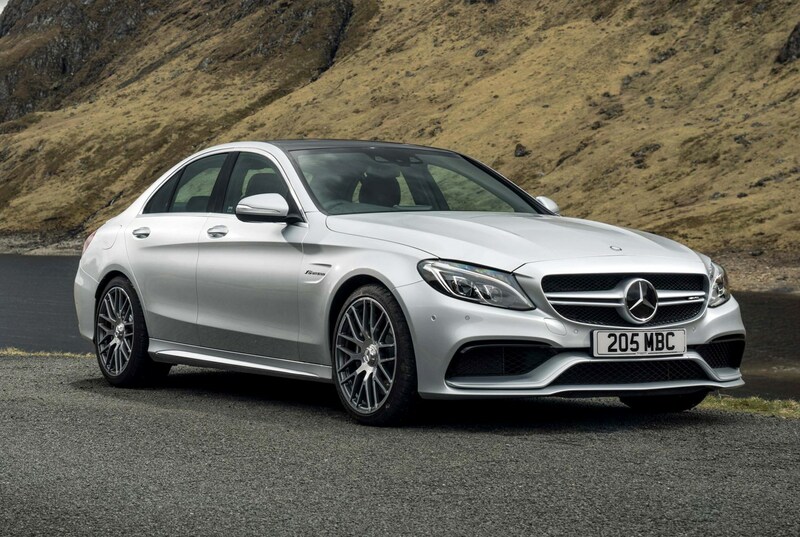 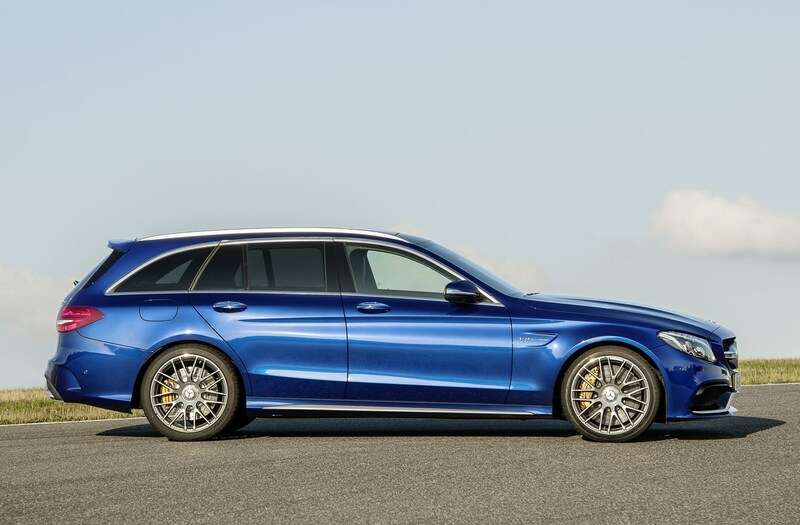 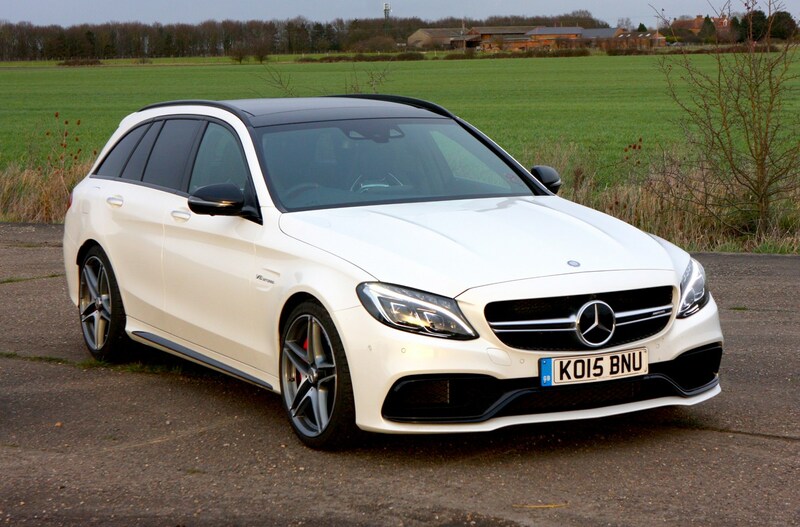 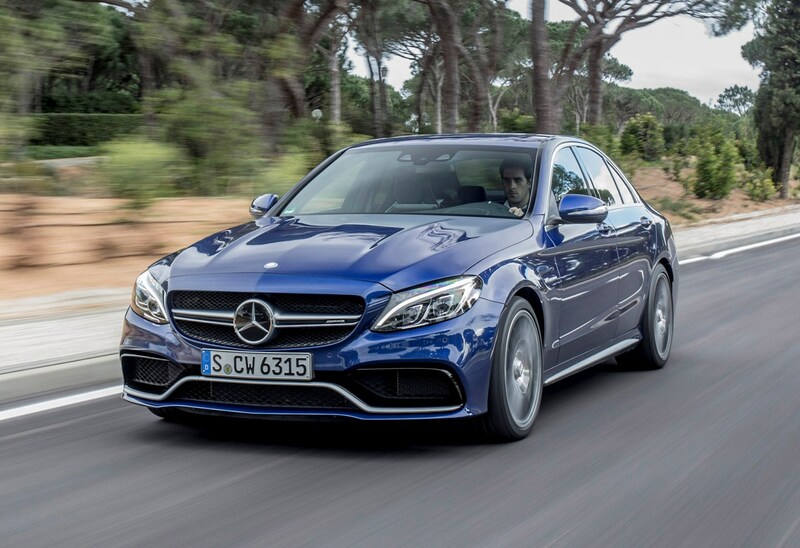 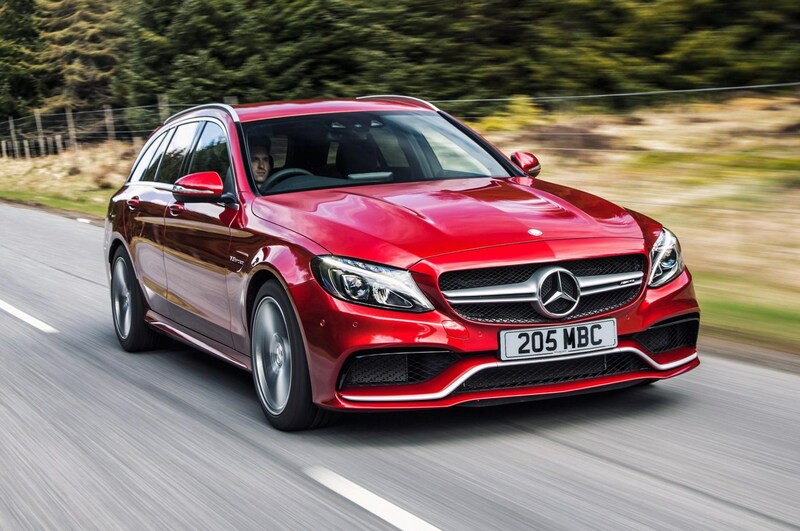 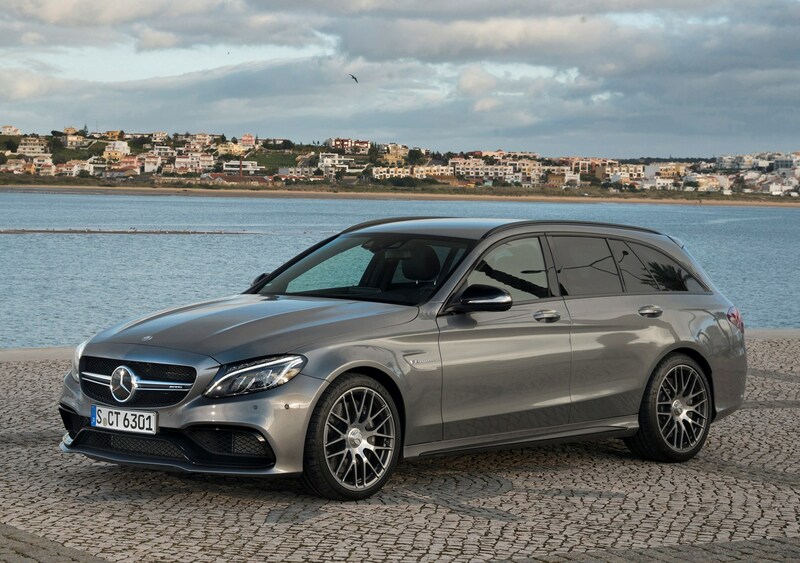 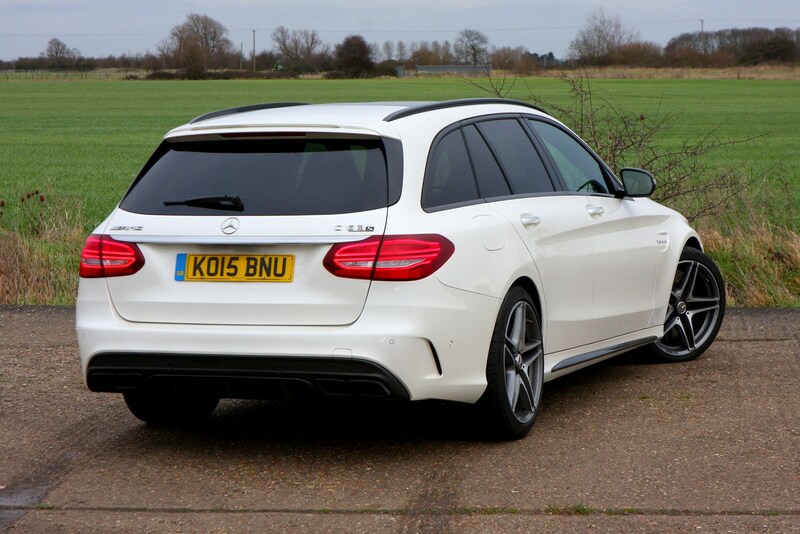 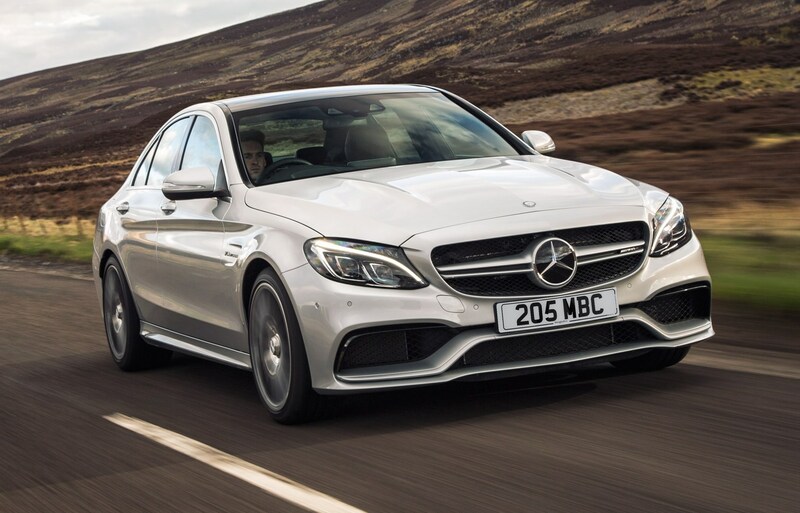 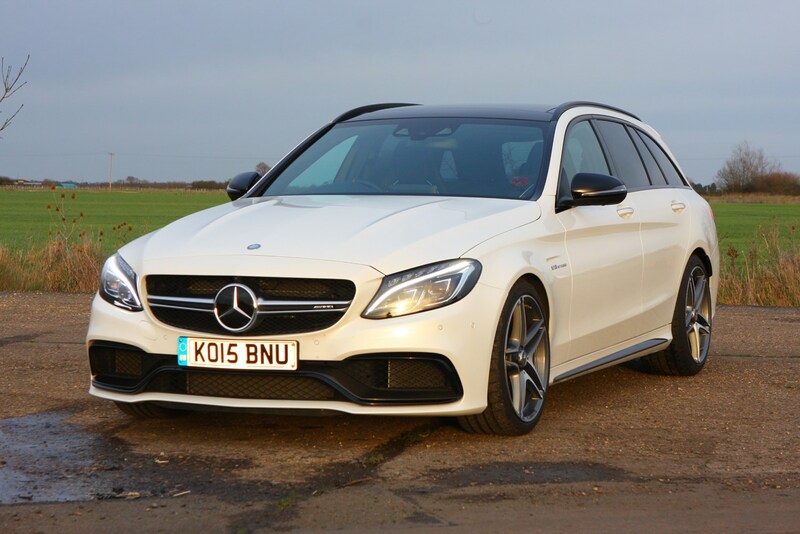 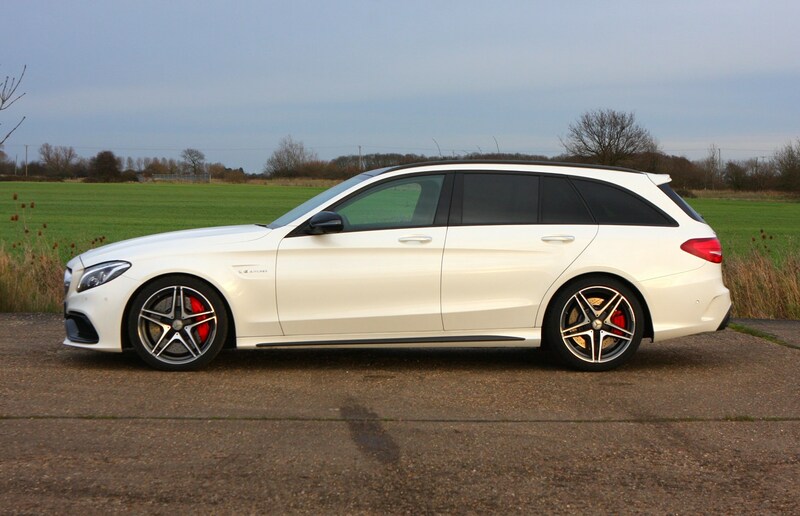 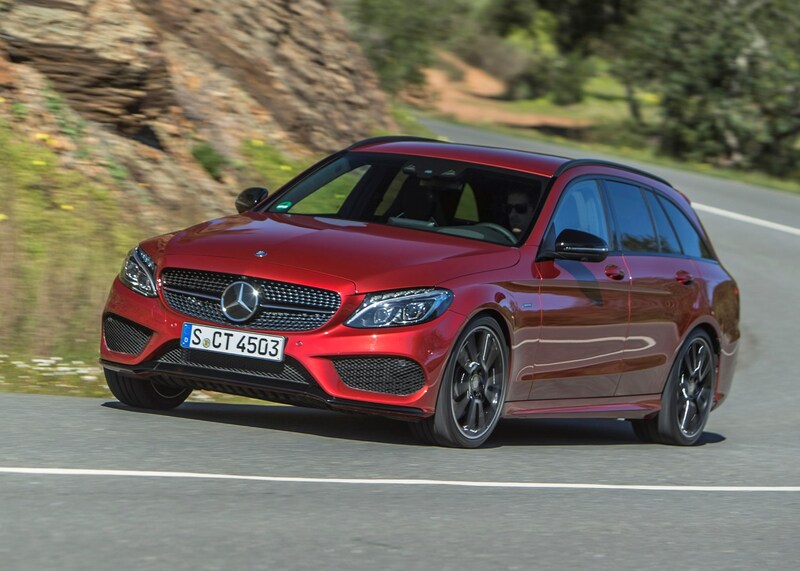 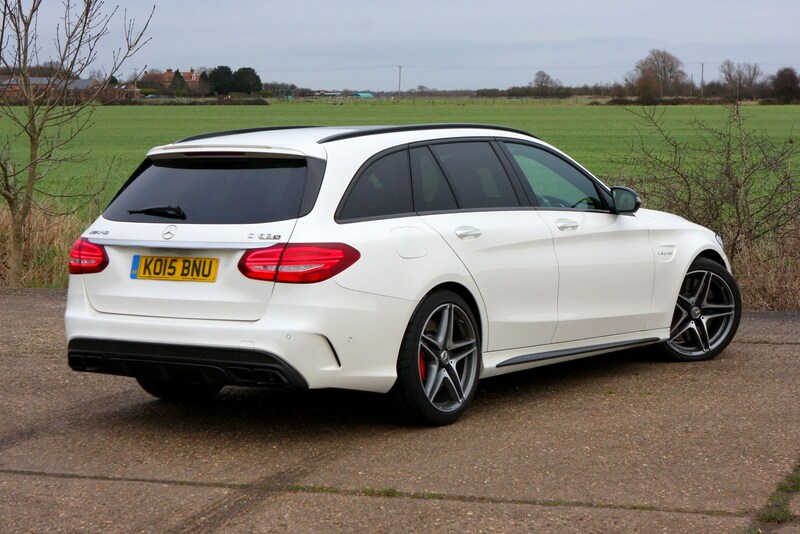 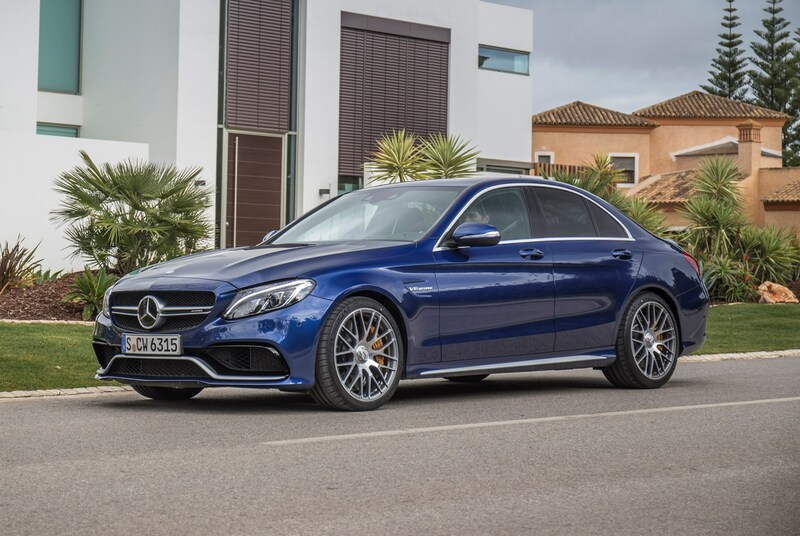 The new Mercedes-AMG C63 is available as a saloon, or an estate, plus a coupe version which joined the line-up in 2015 and has historically been the most popular of the three. 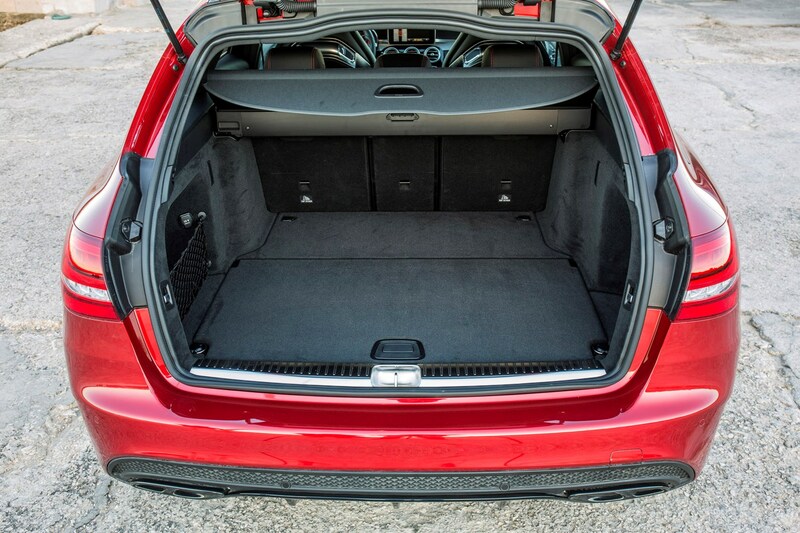 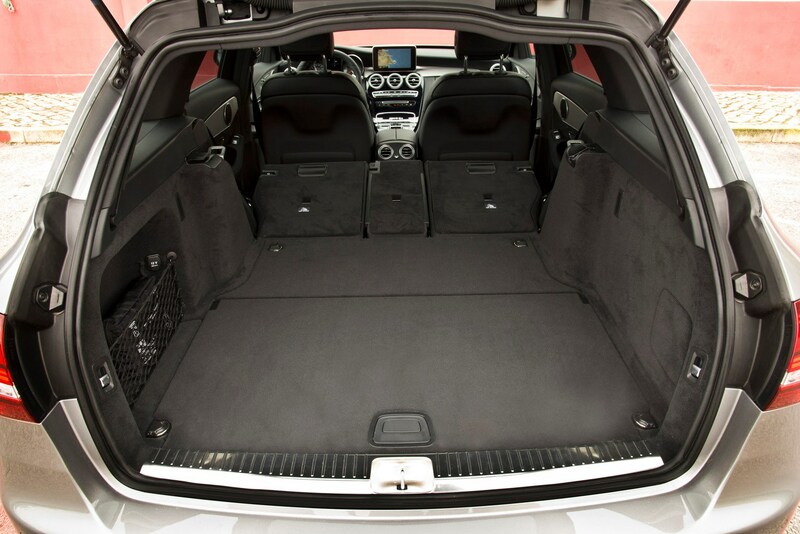 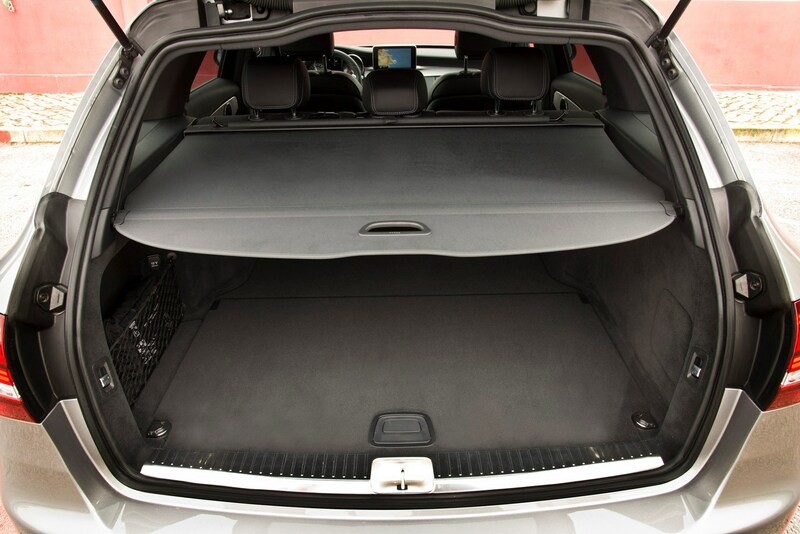 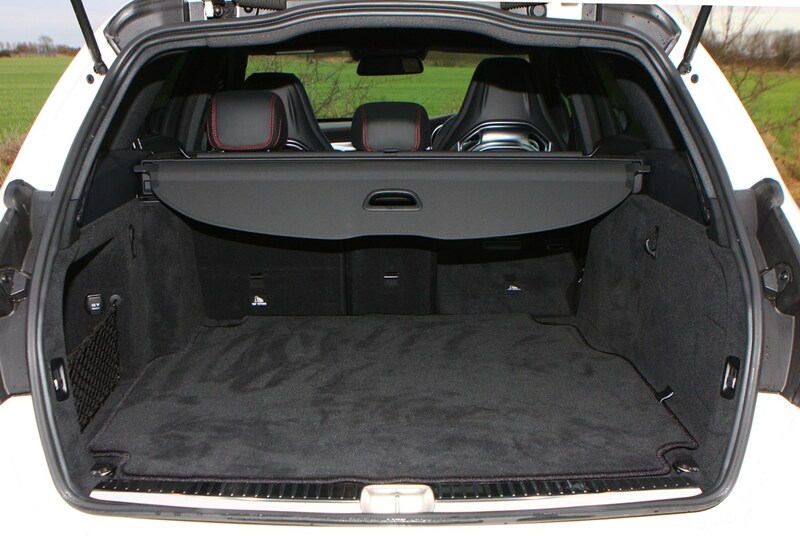 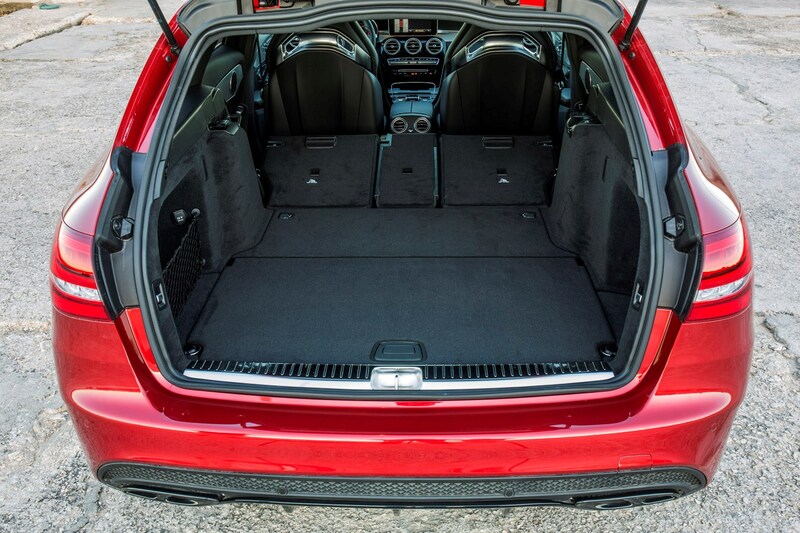 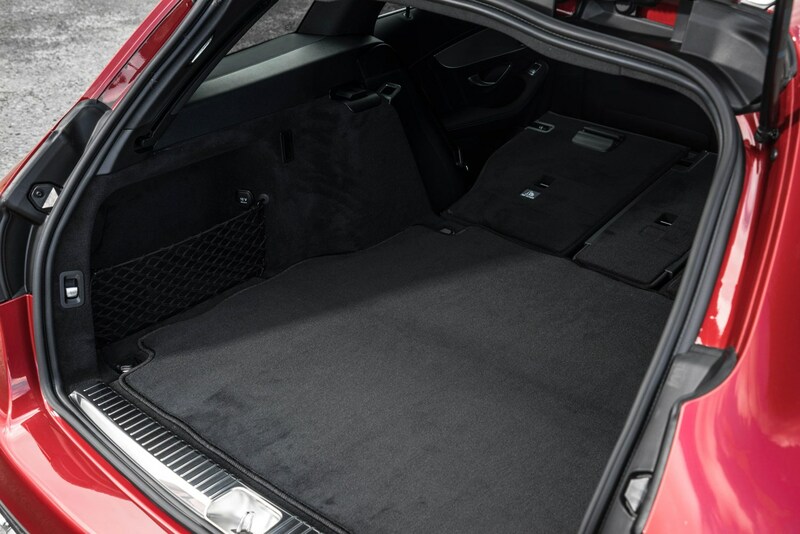 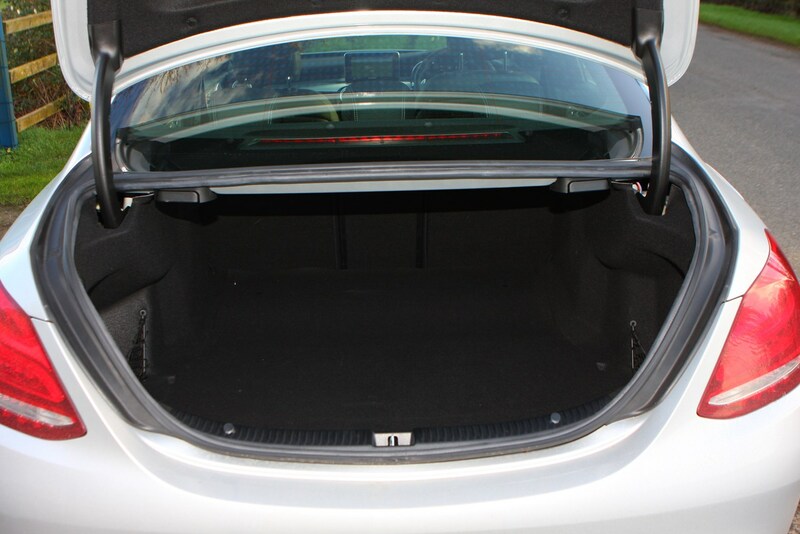 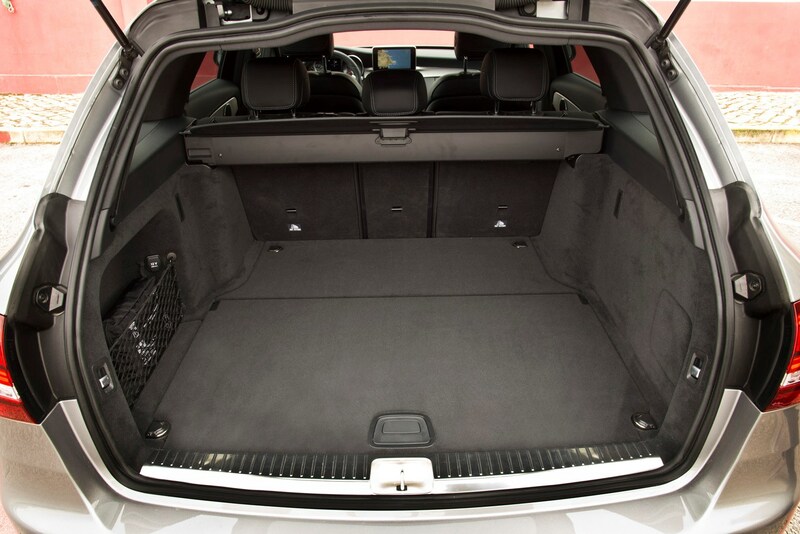 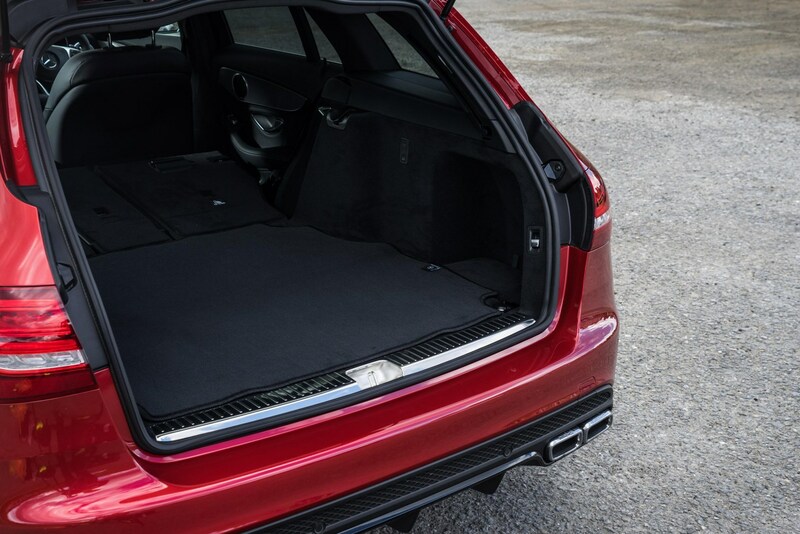 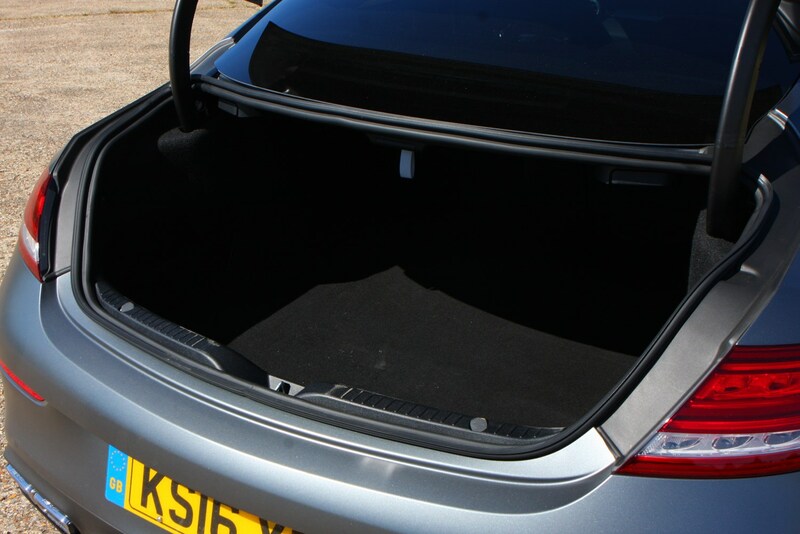 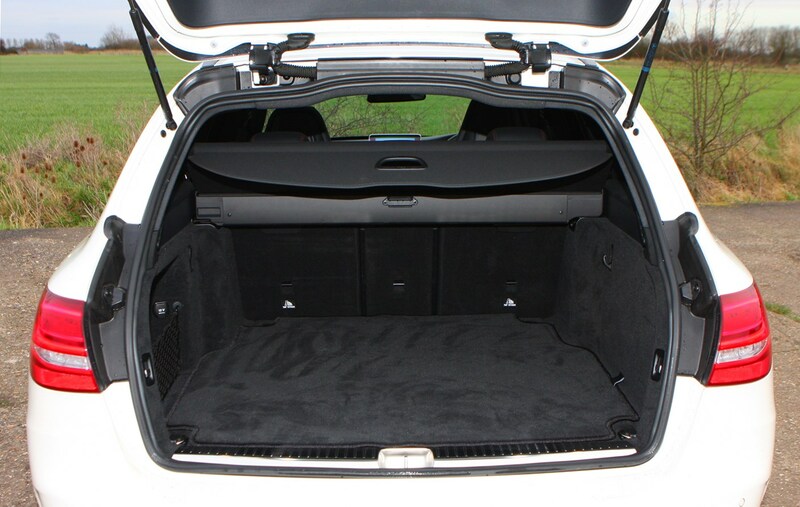 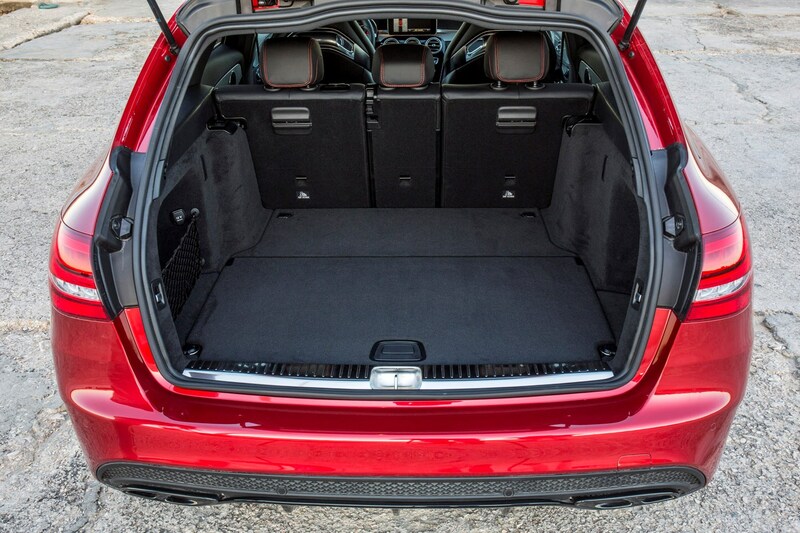 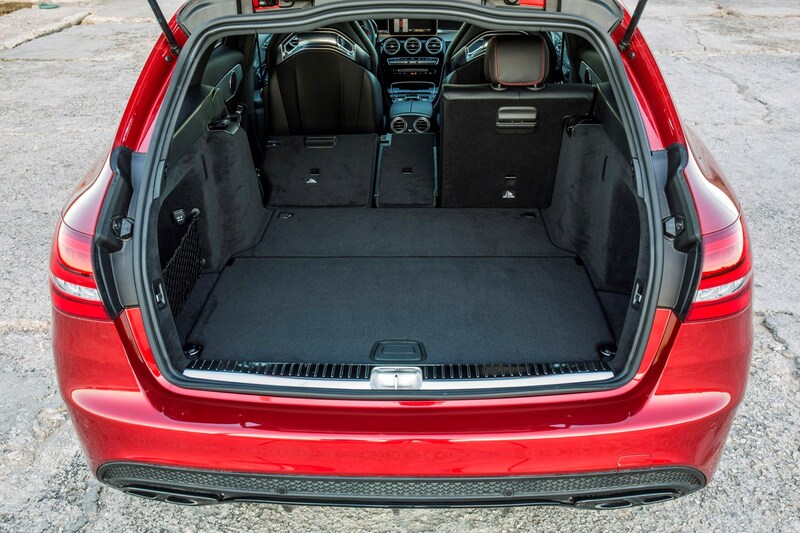 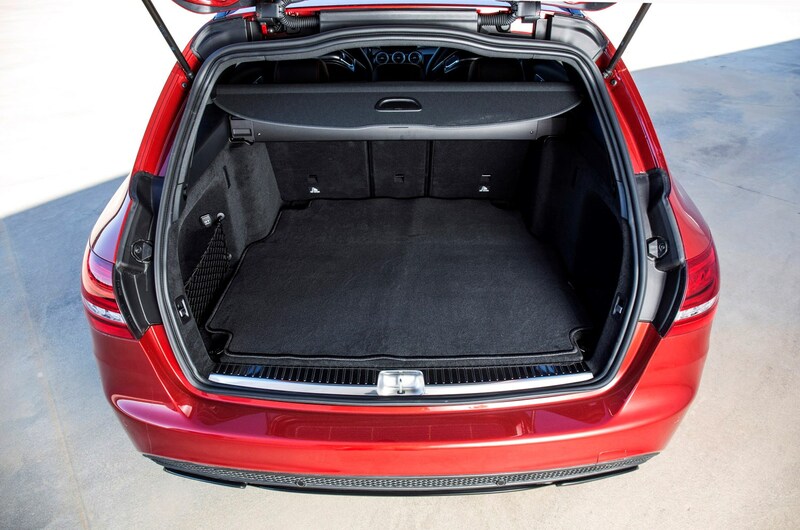 There’s ample seating for five, except the coupe which lacks headroom in the rear, and luggage space totalling 435 litres (saloon), 450 litres (coupe) and 490-1,510 (estate). 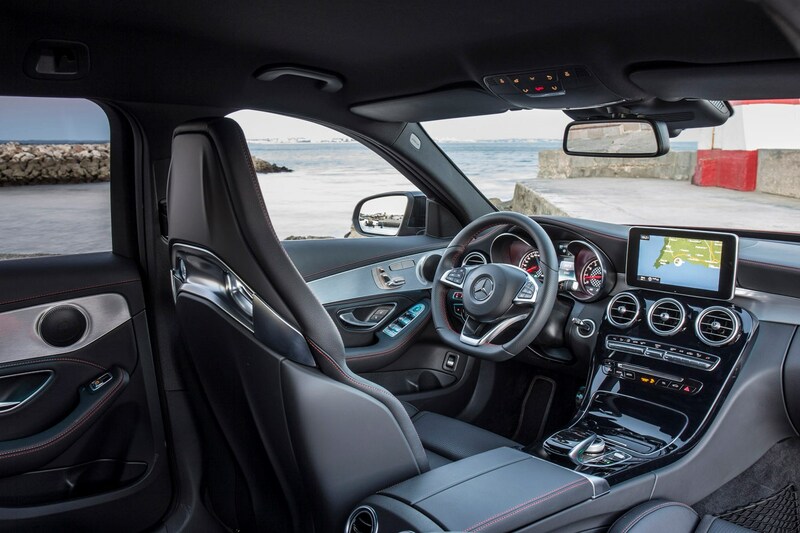 In fact it’s rather comfortable, whether you’re sat in the front or the back, the cabin could be from any other AMG Line C-Class. 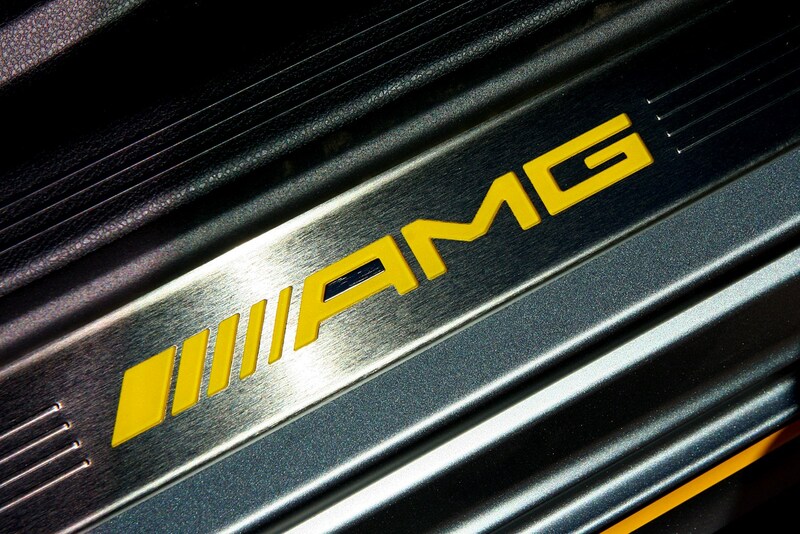 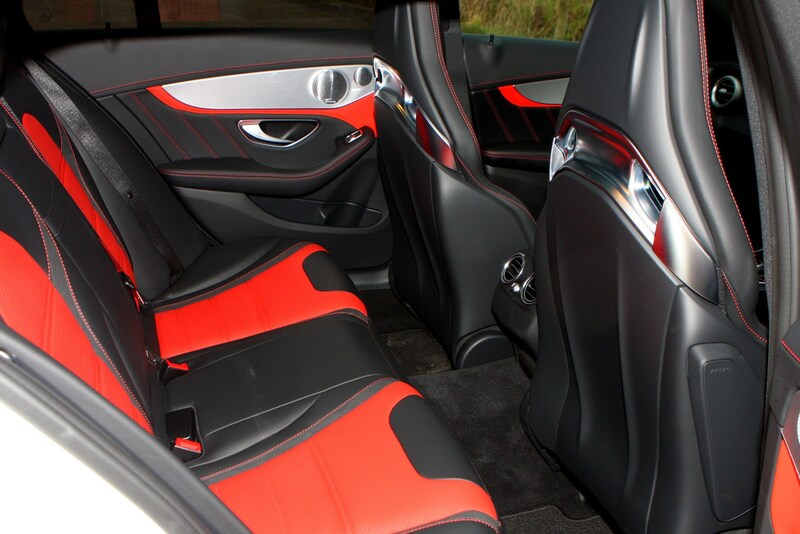 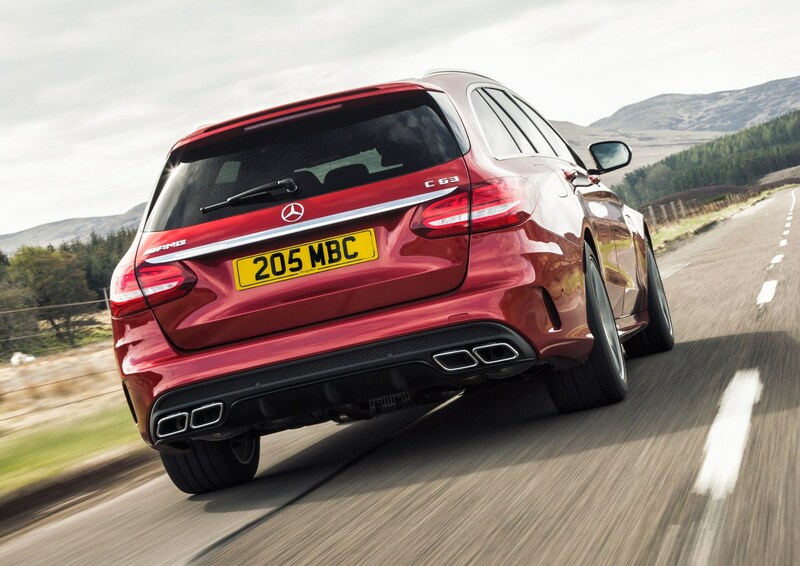 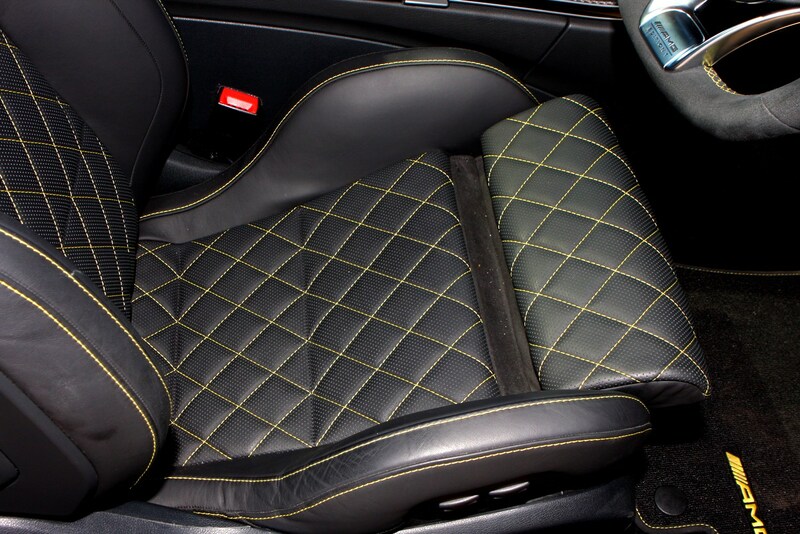 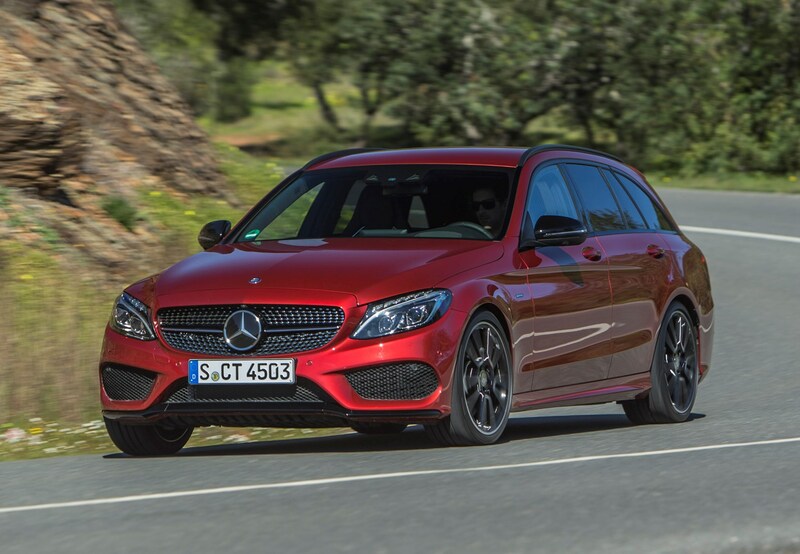 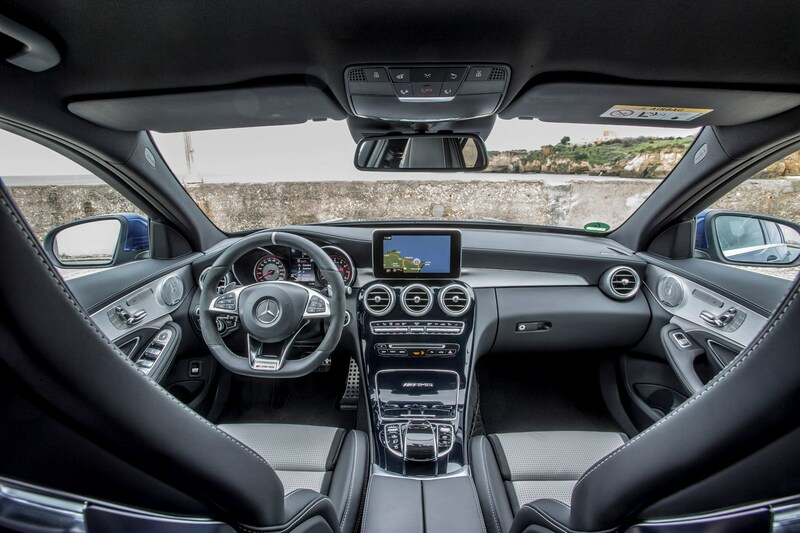 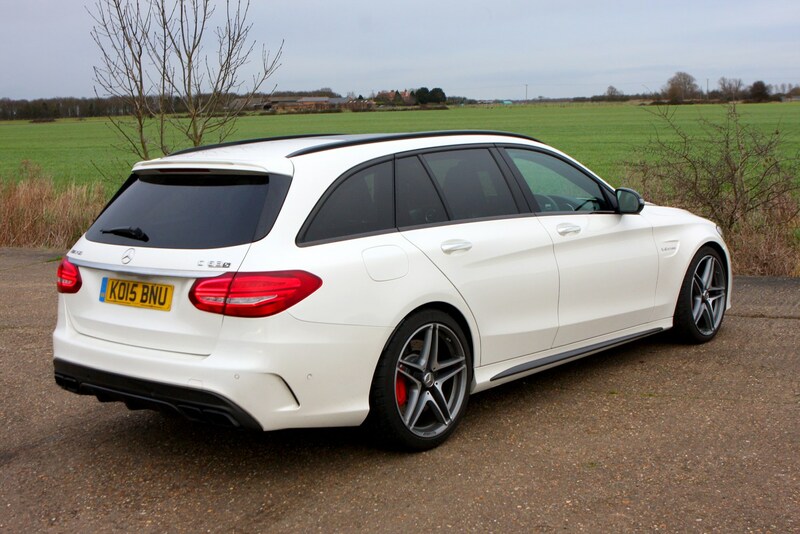 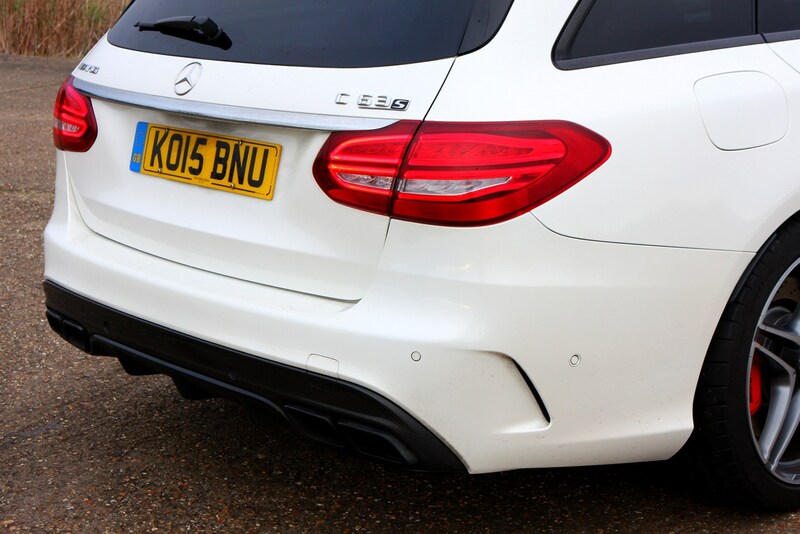 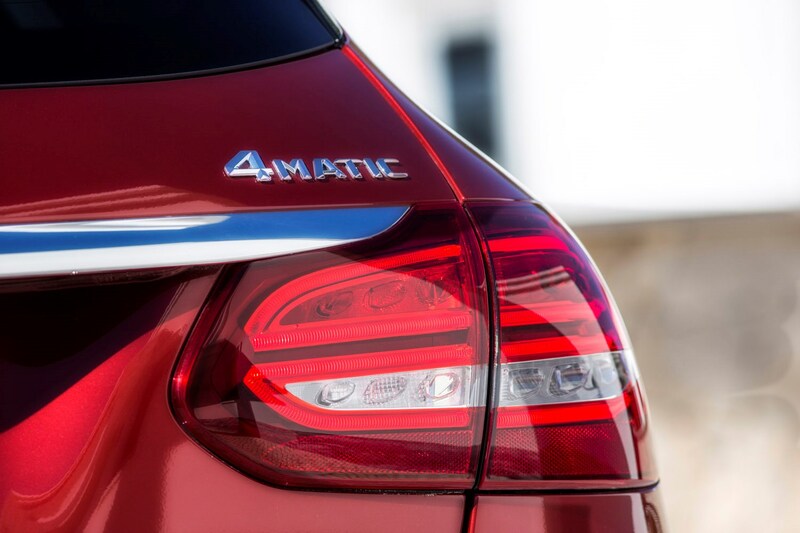 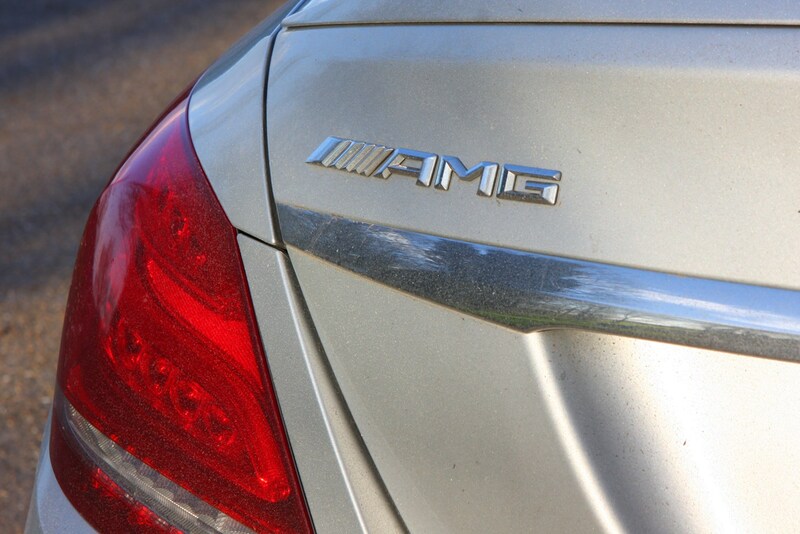 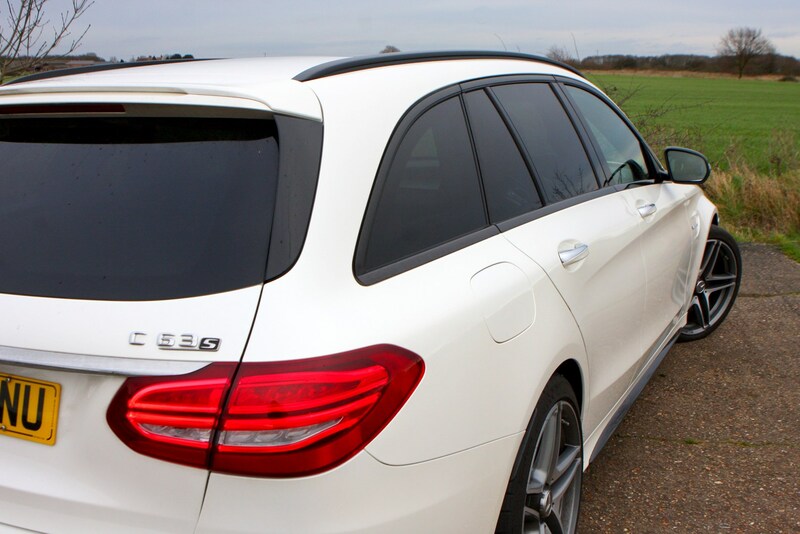 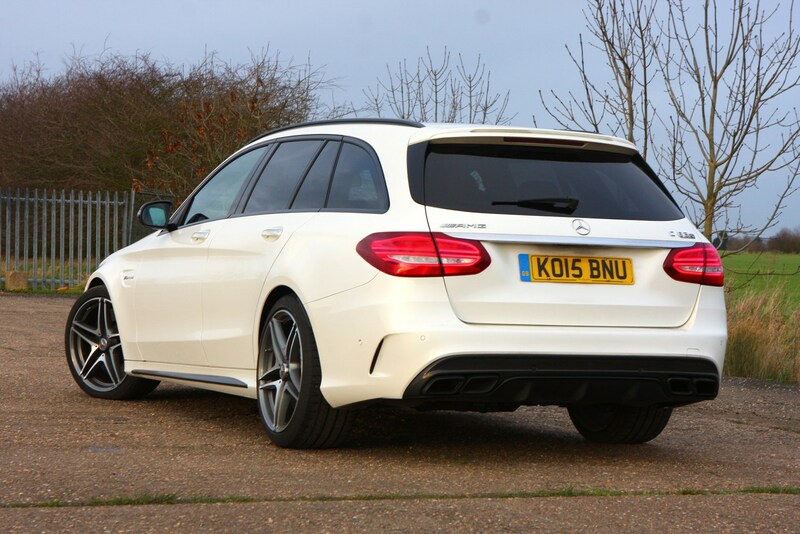 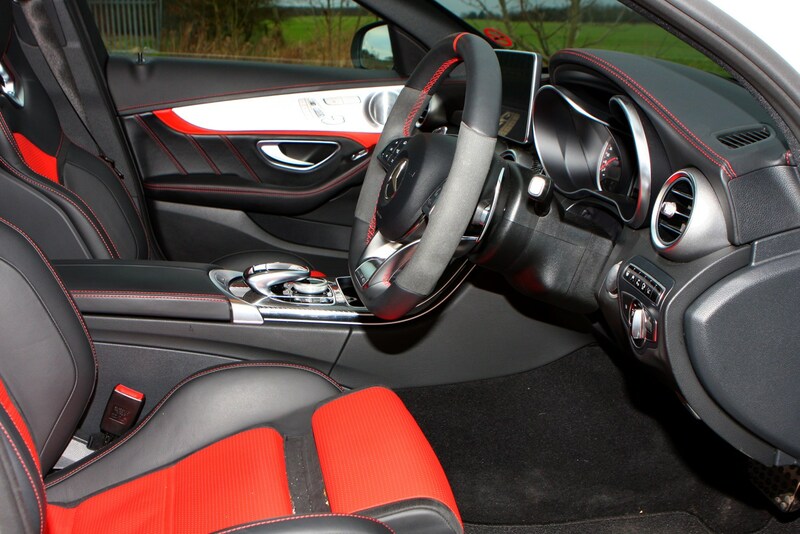 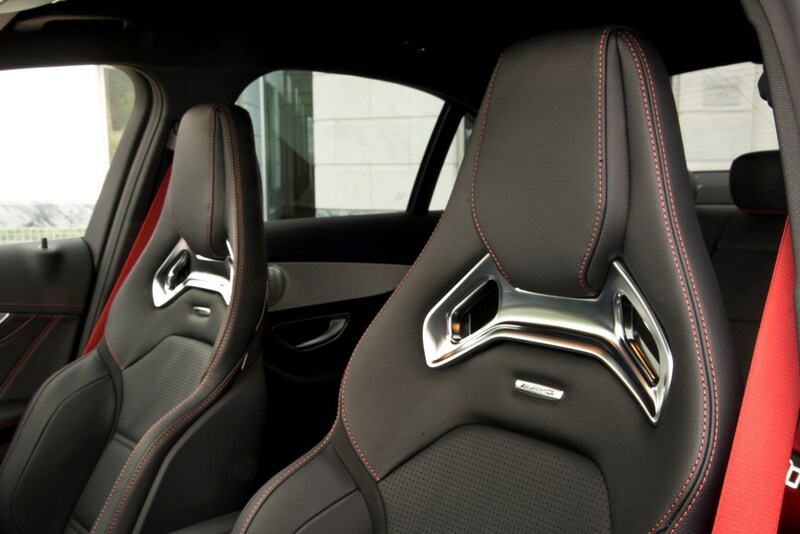 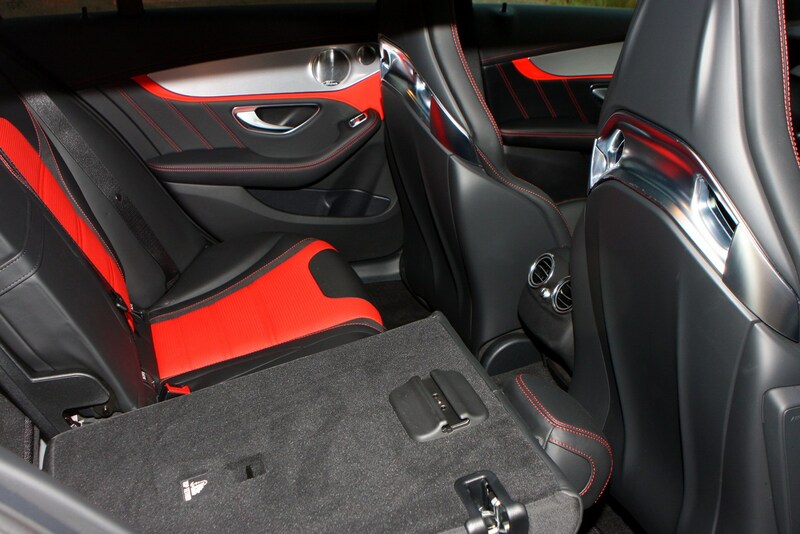 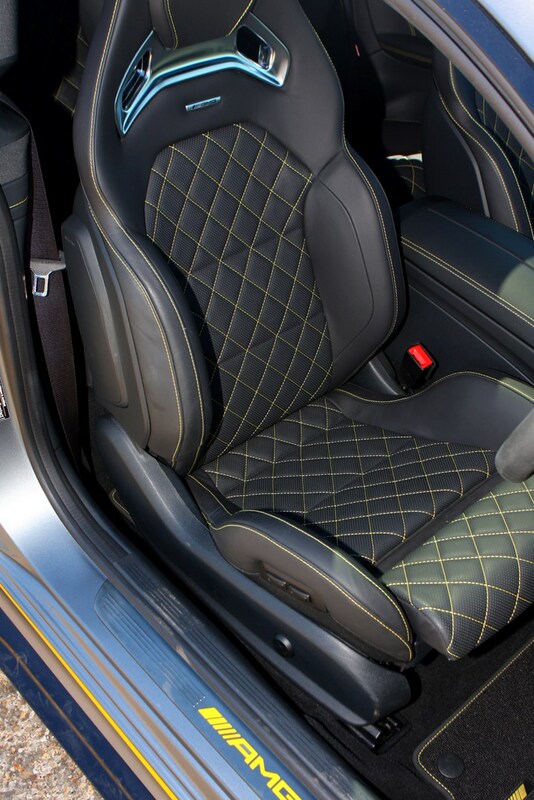 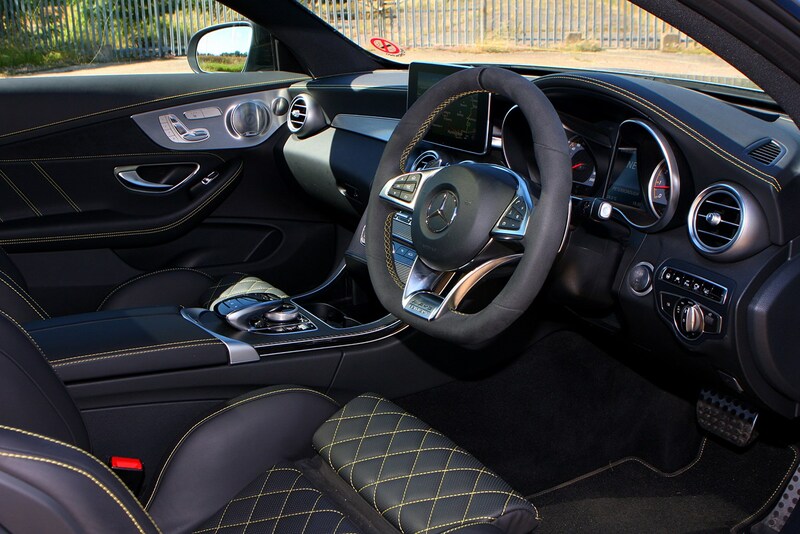 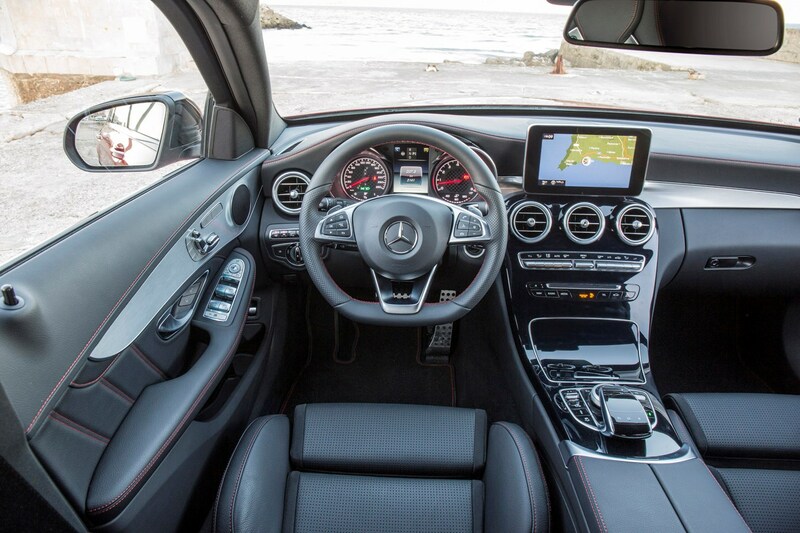 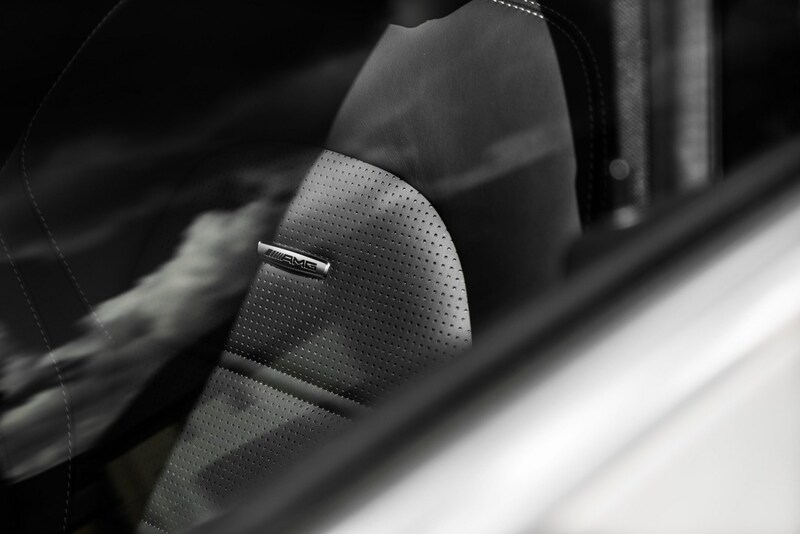 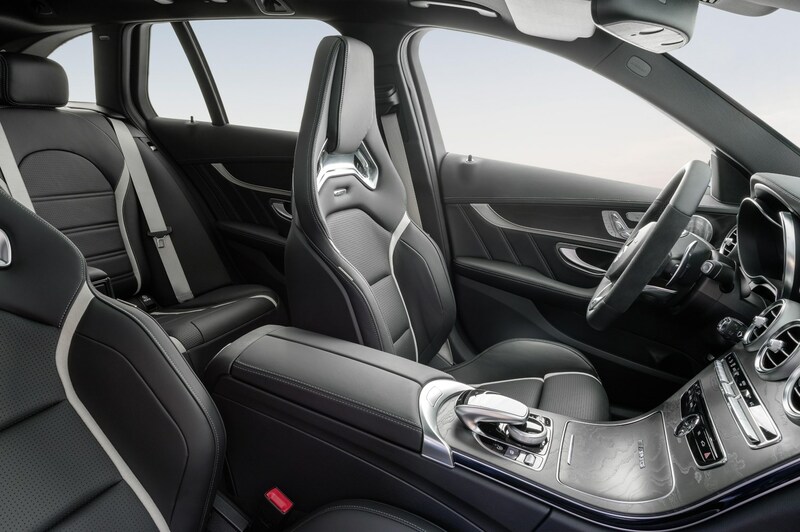 Unless you opt for the AMG Performance seats, standard in the S model, which are more heavily bolstered and lend the car the sense of occasion it so desperately deserves. 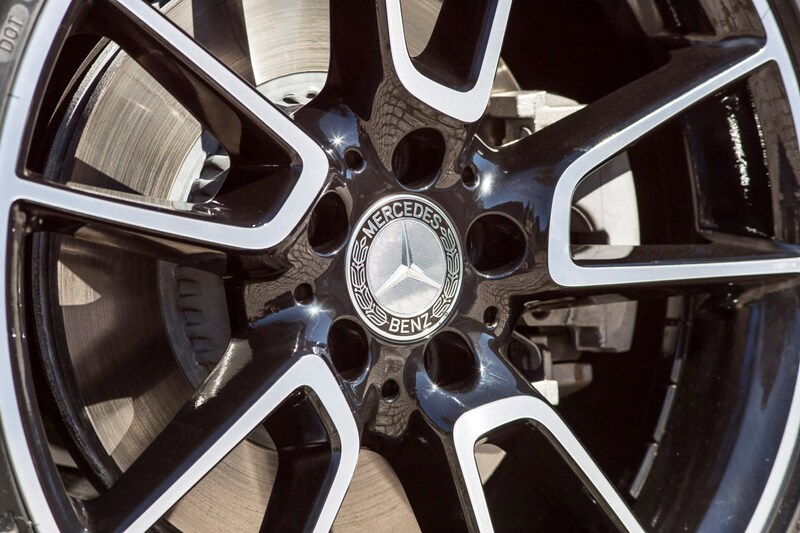 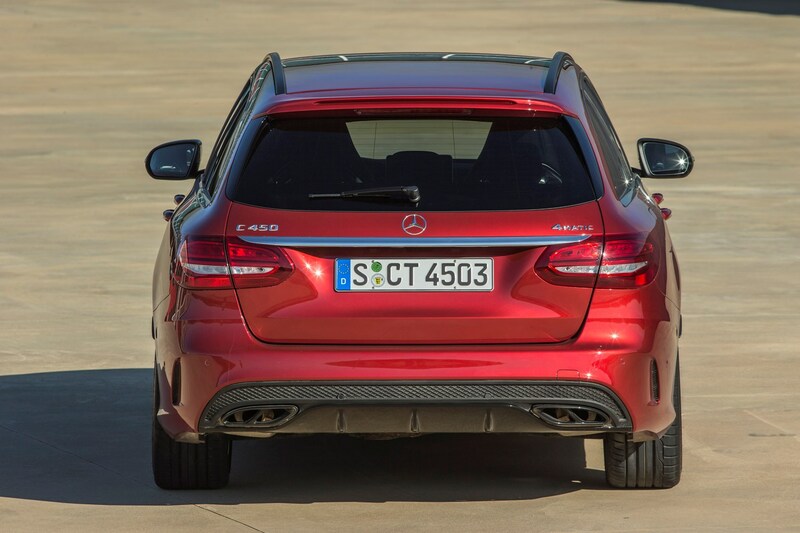 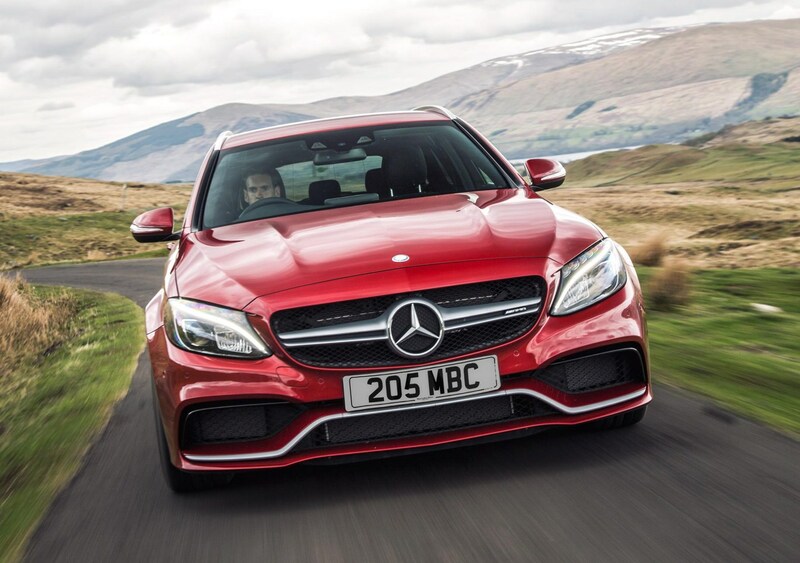 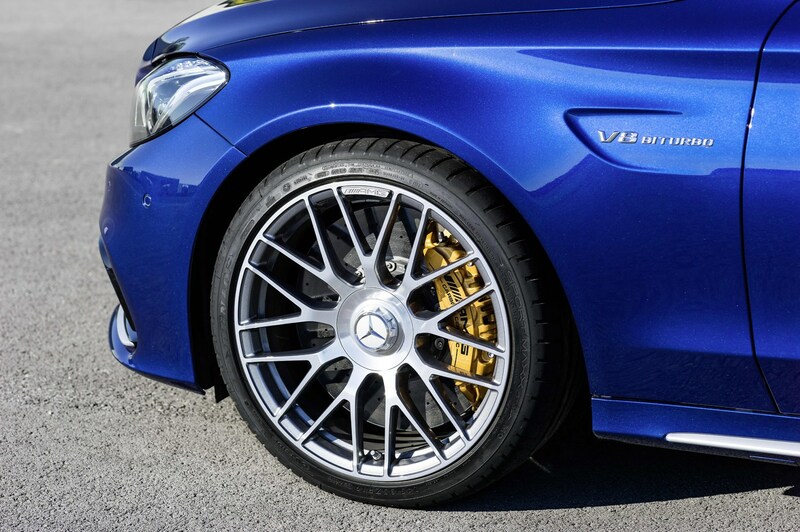 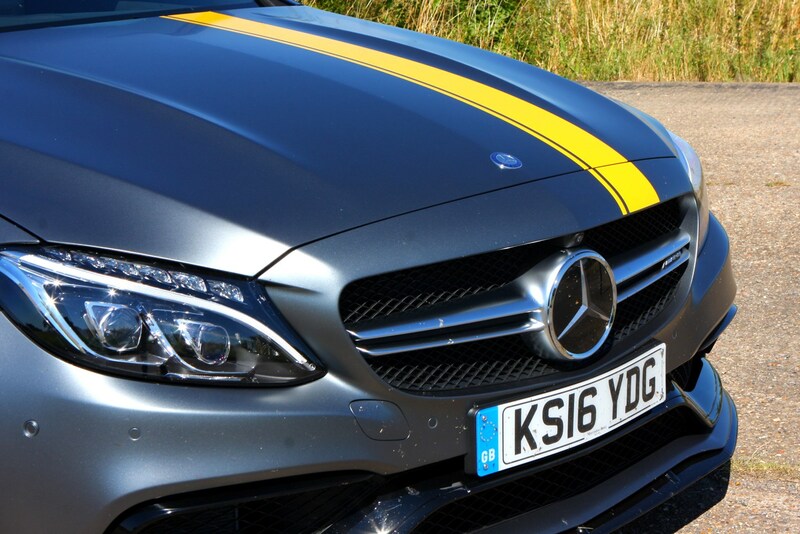 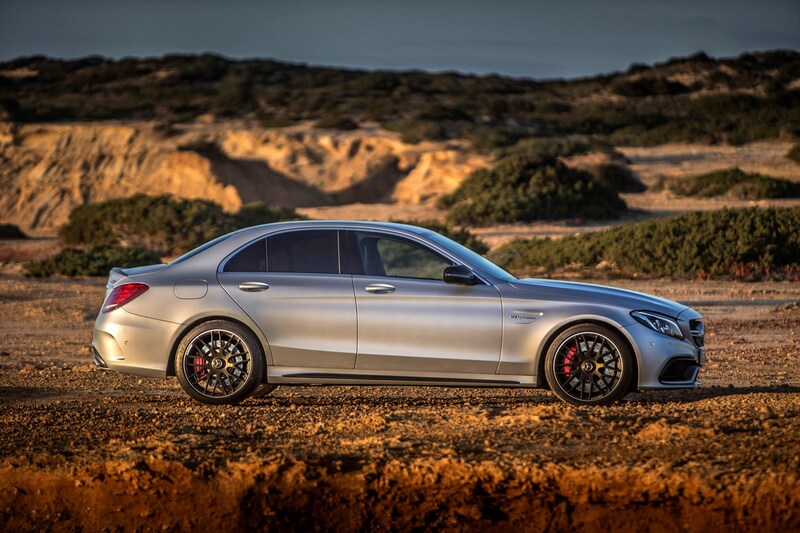 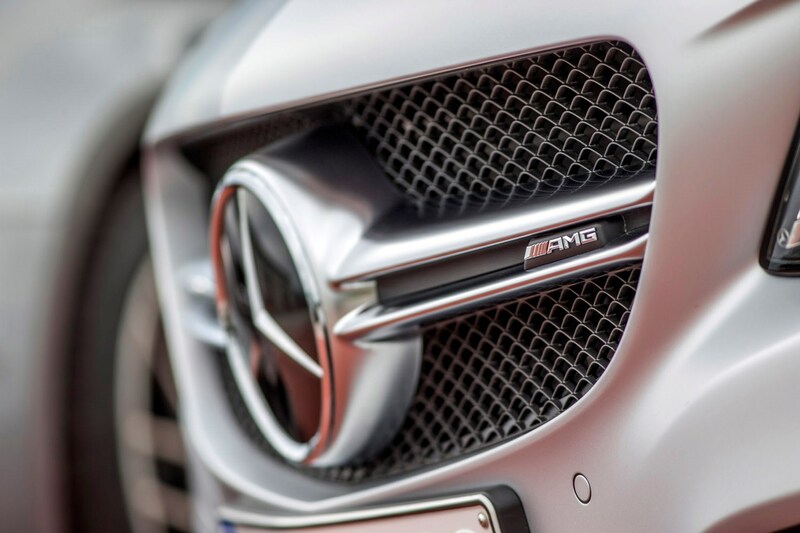 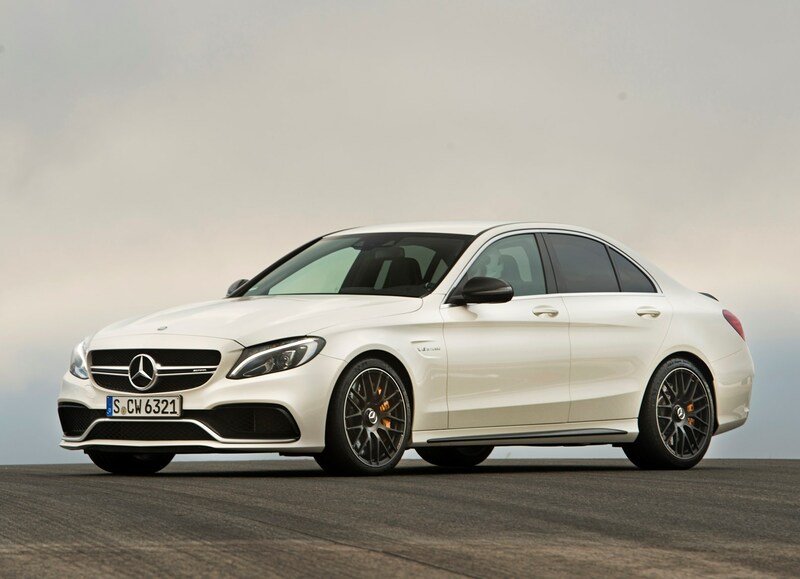 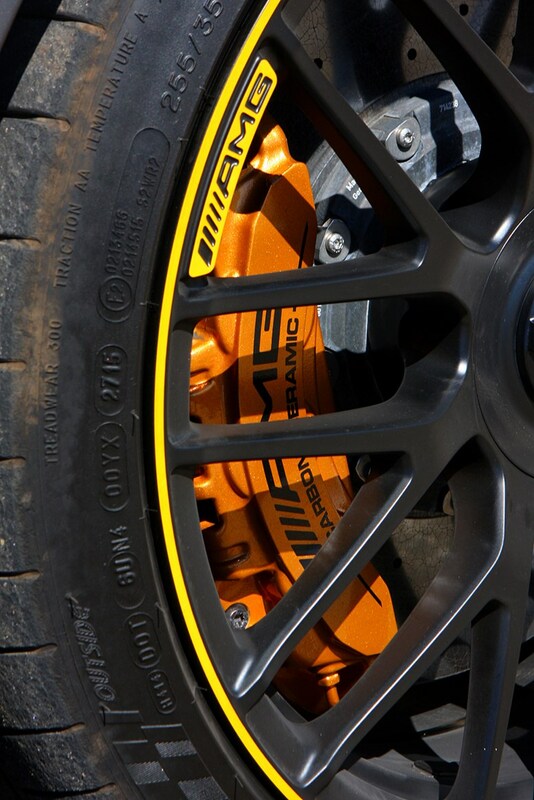 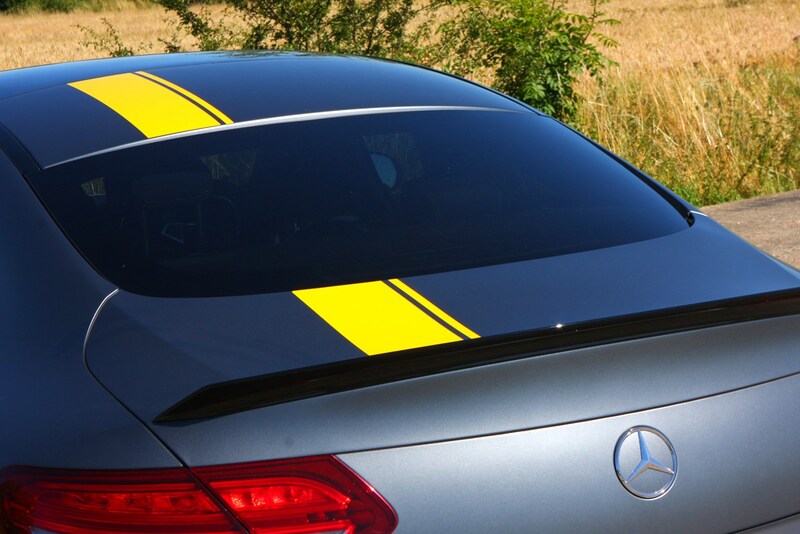 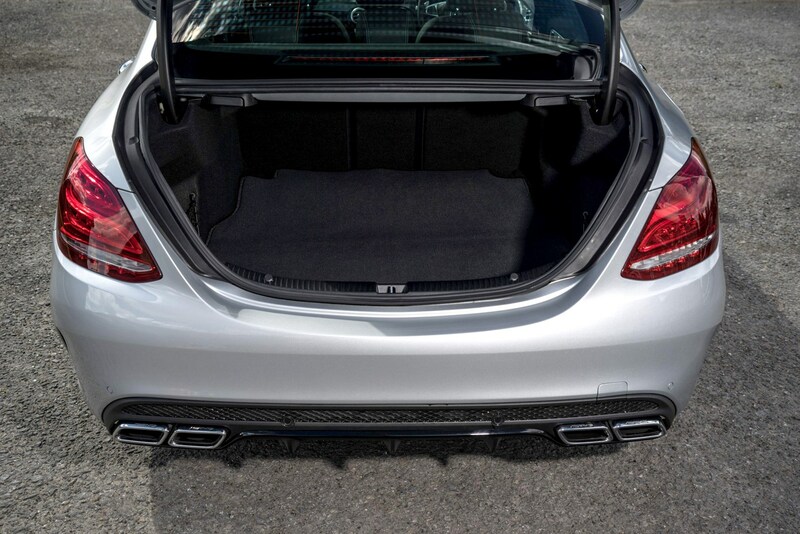 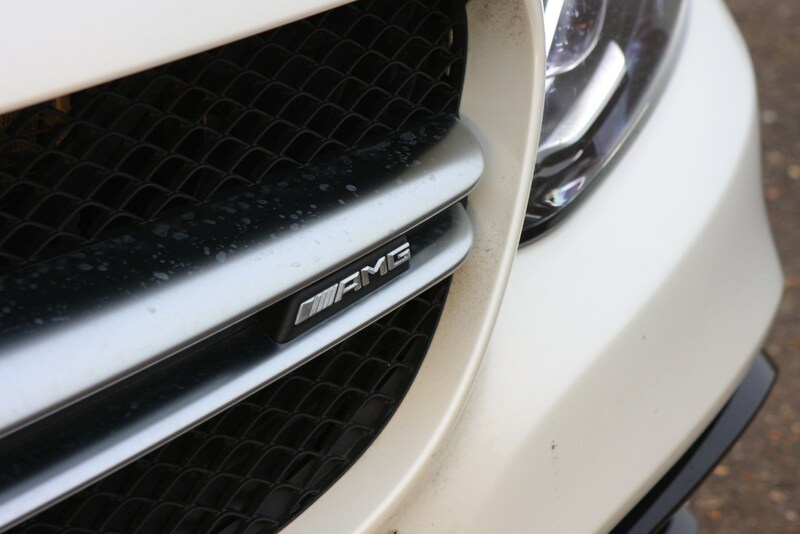 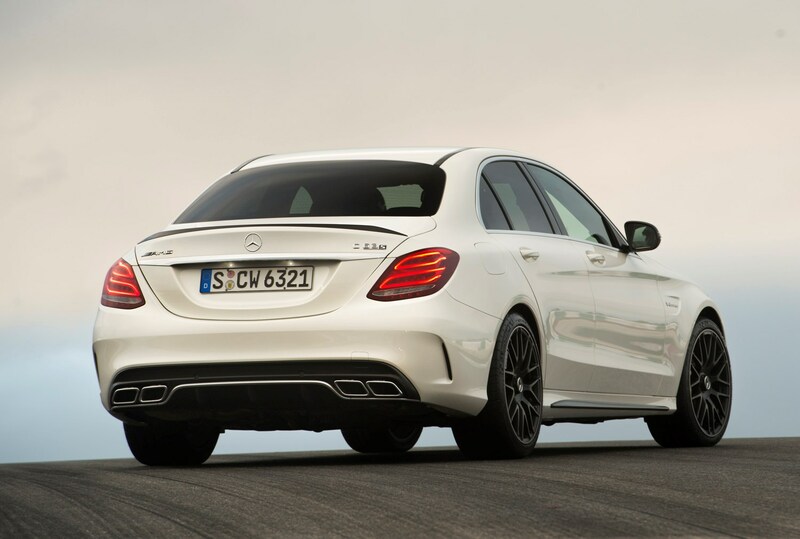 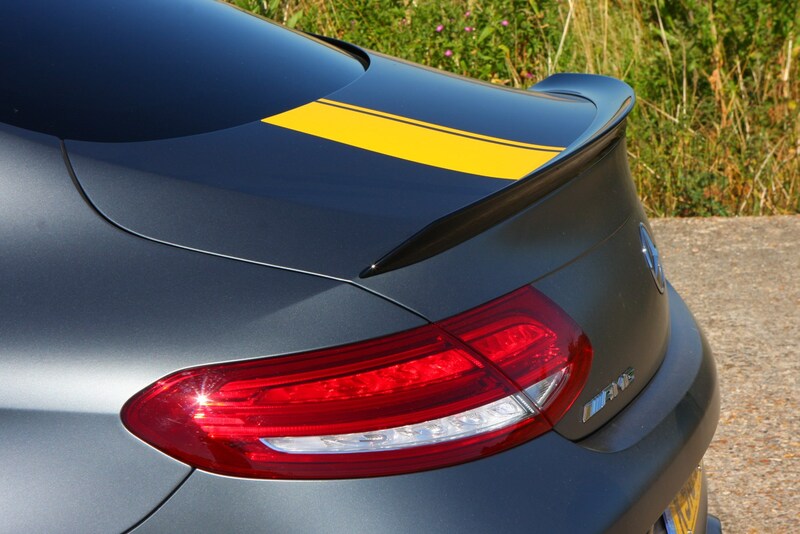 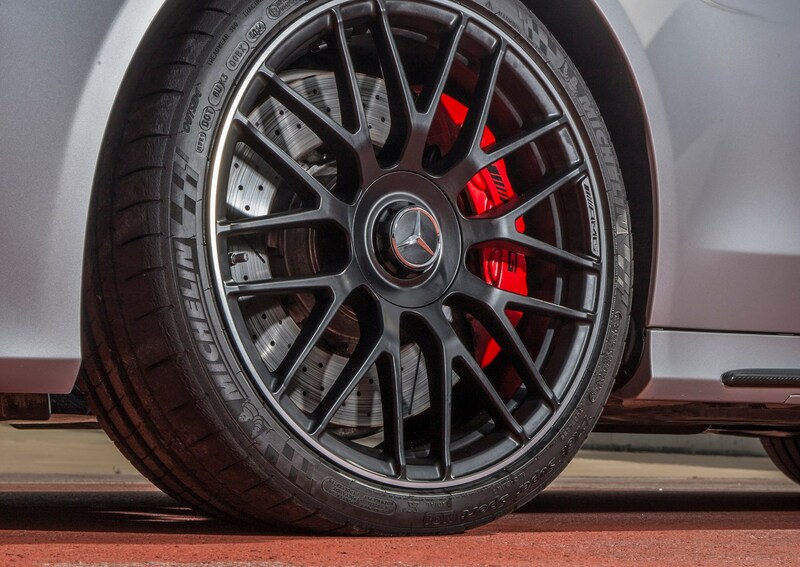 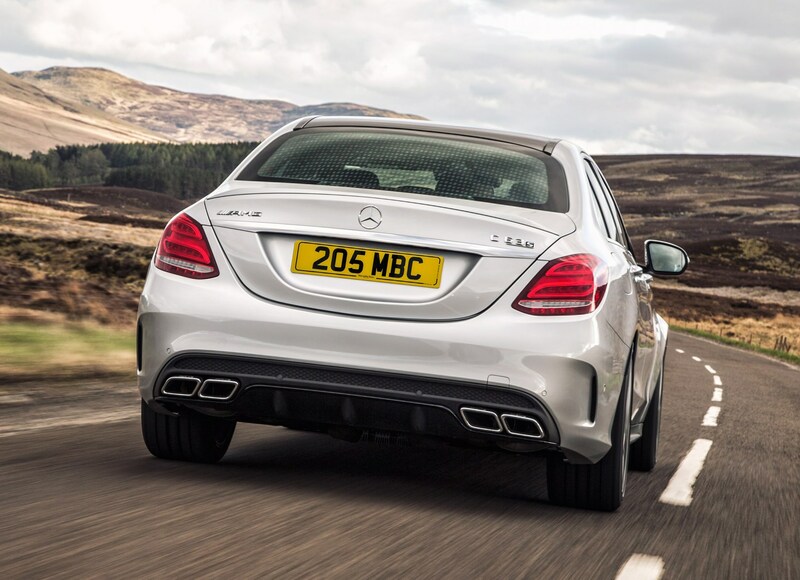 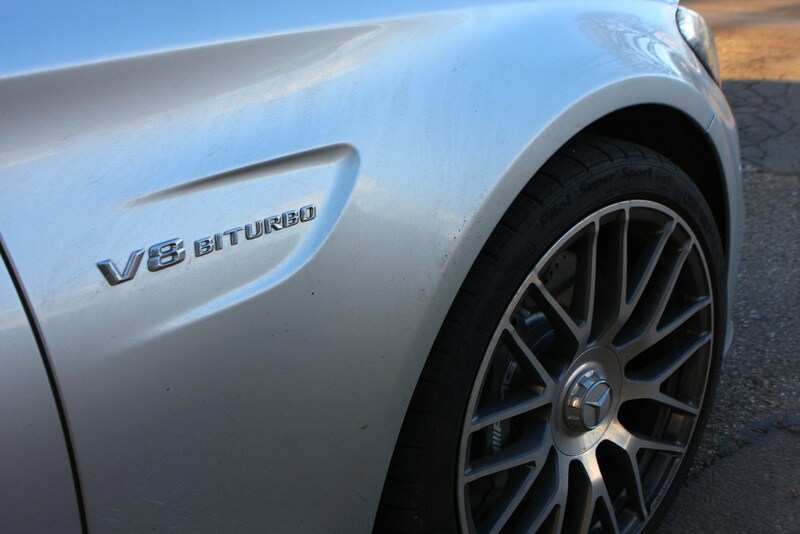 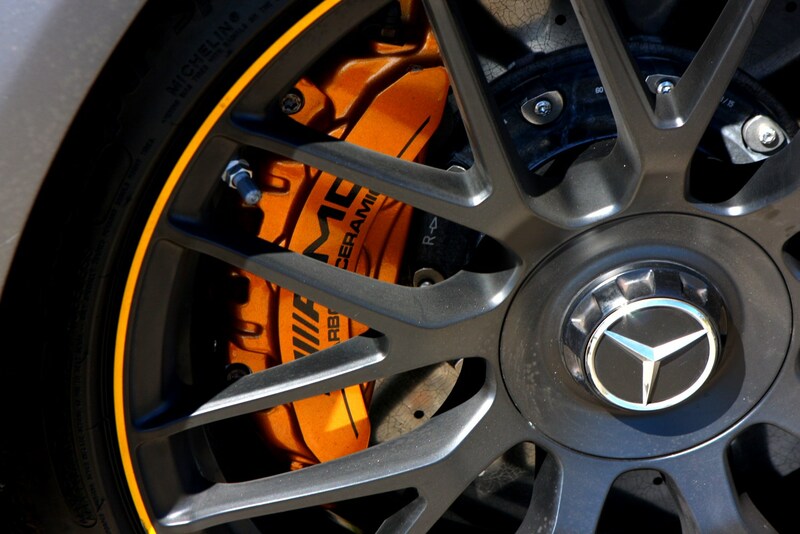 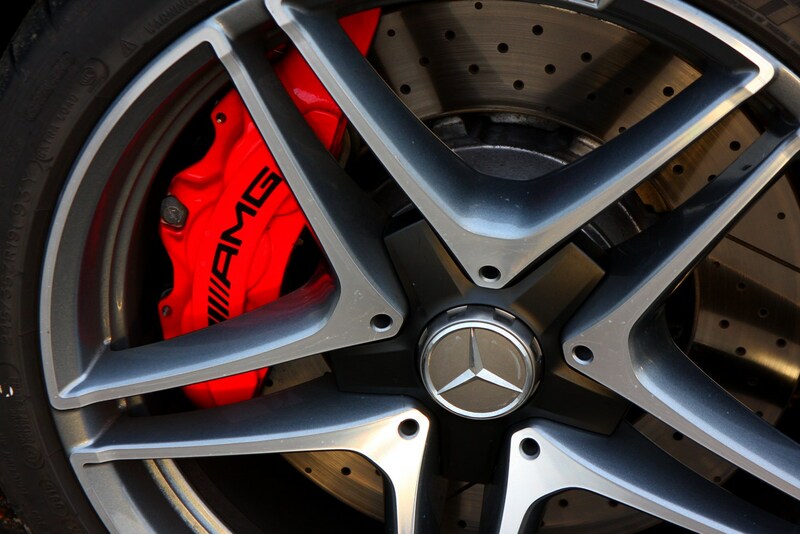 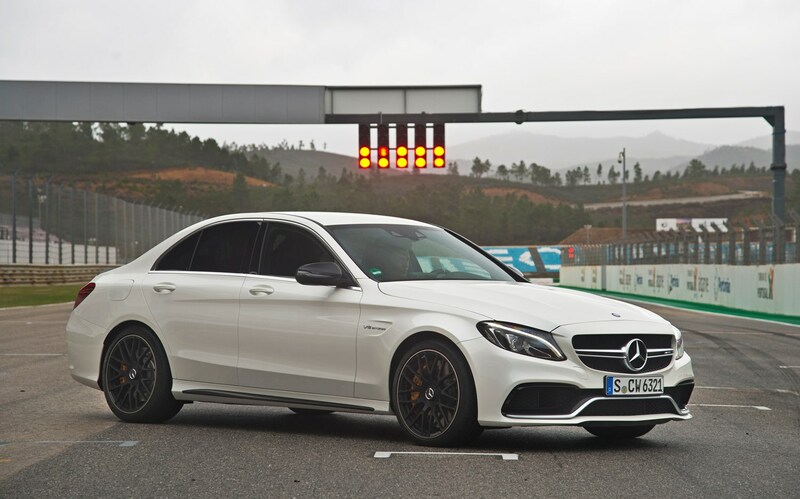 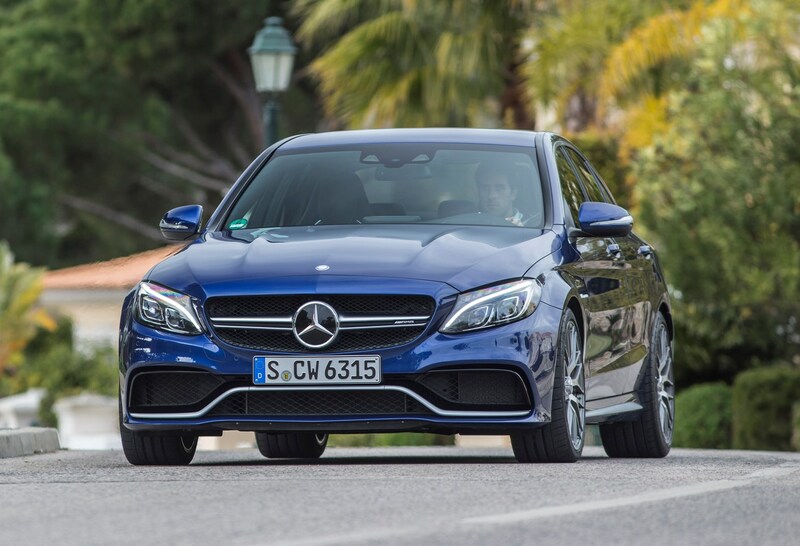 It’s thanks to AMG’s expertise in the chassis department that the C63 is so easy to drive , slowly or quickly. 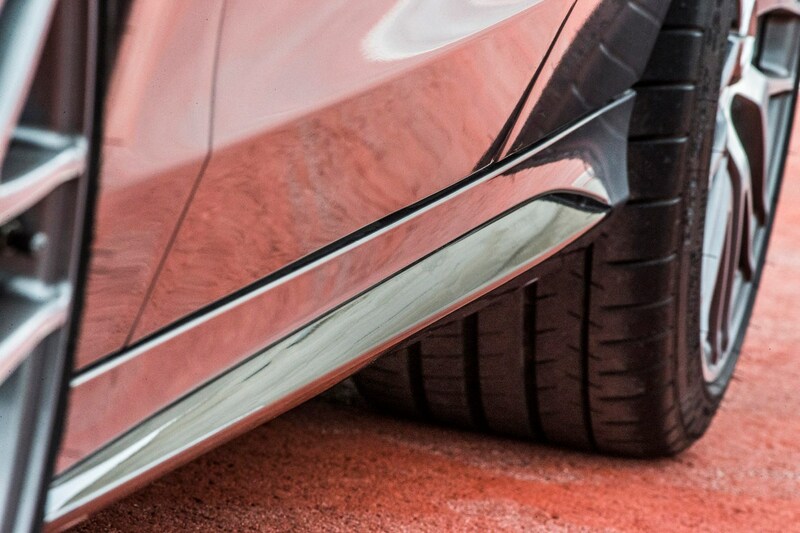 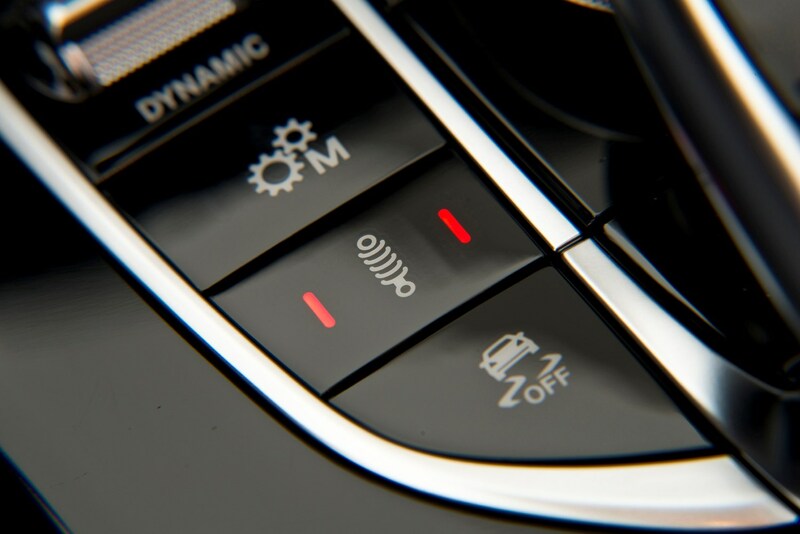 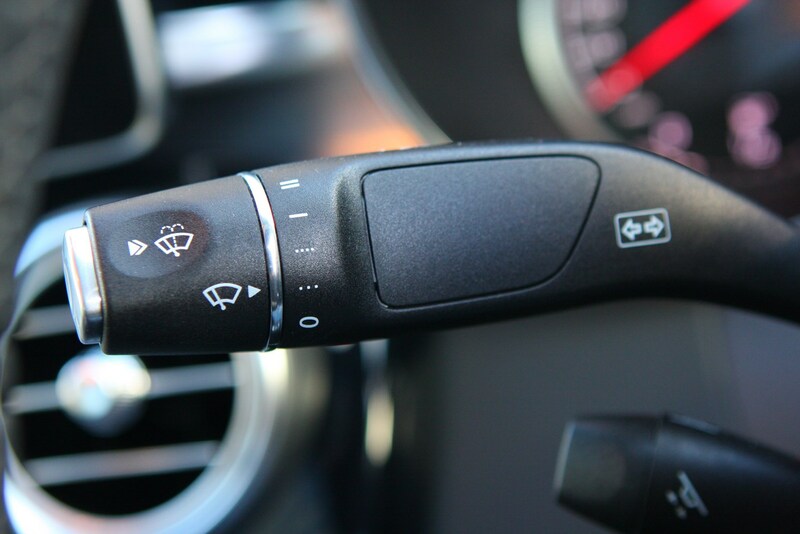 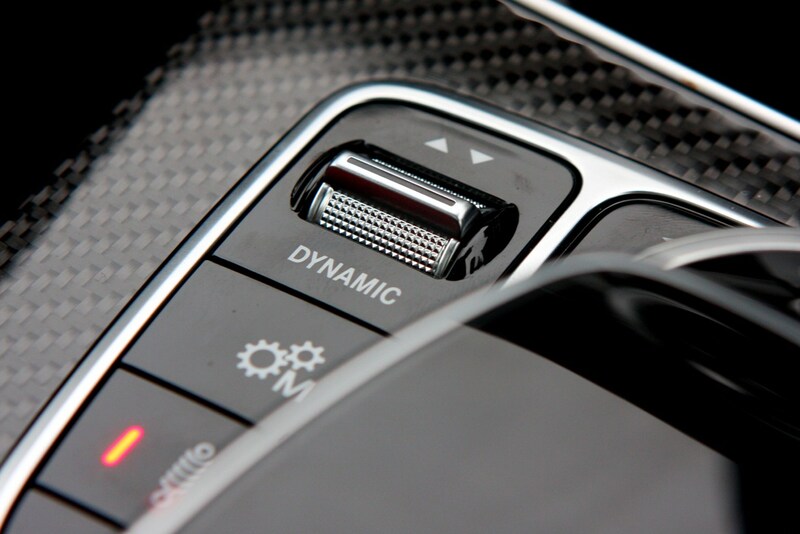 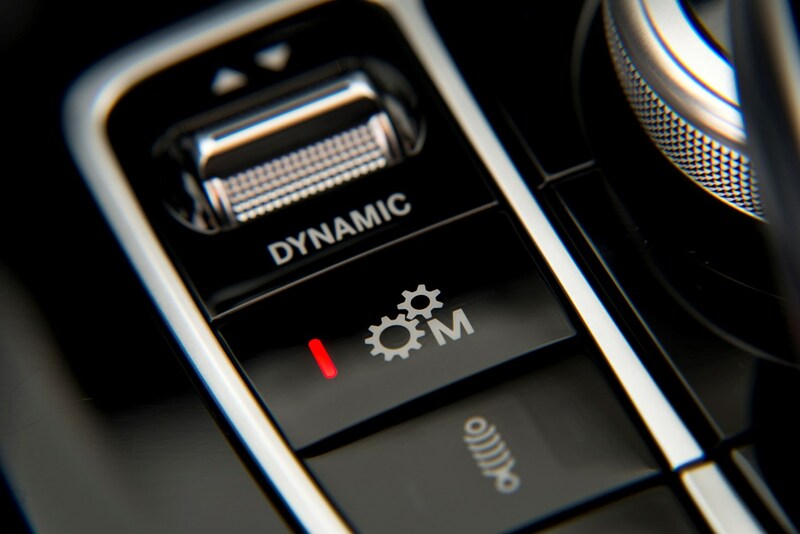 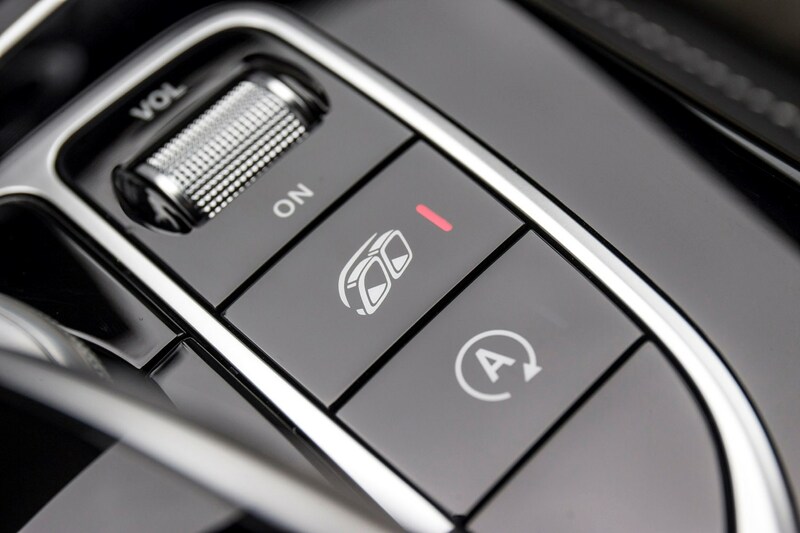 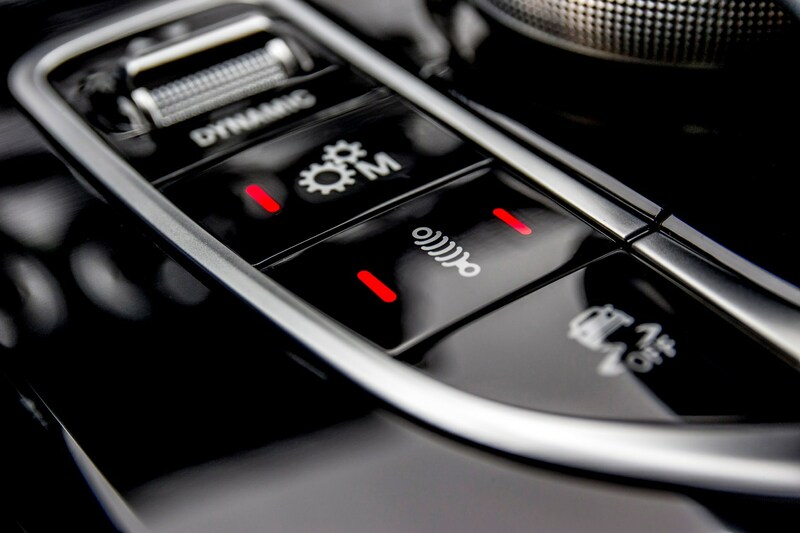 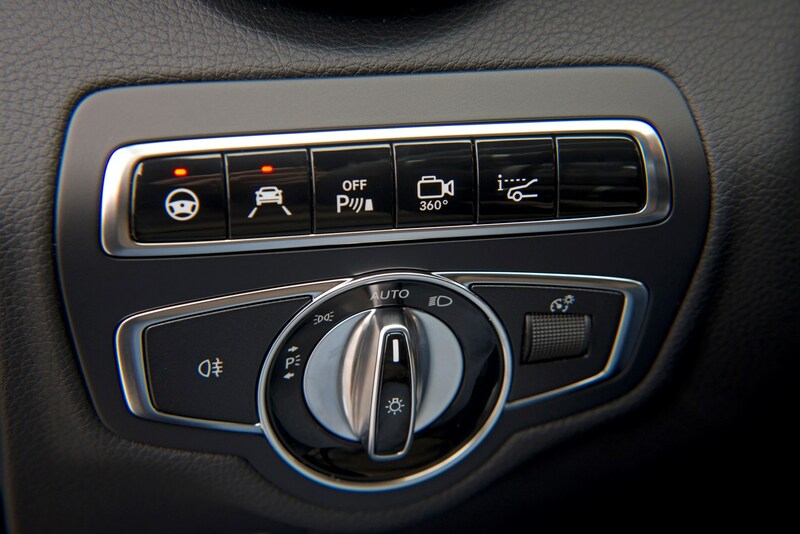 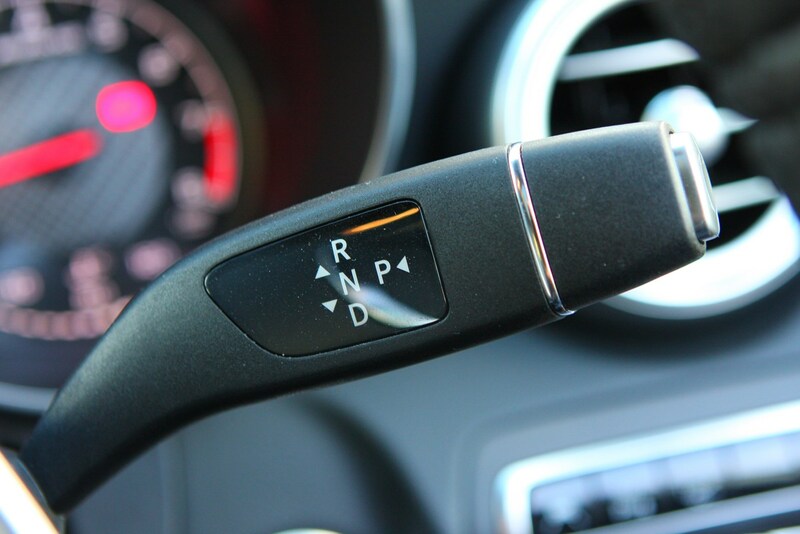 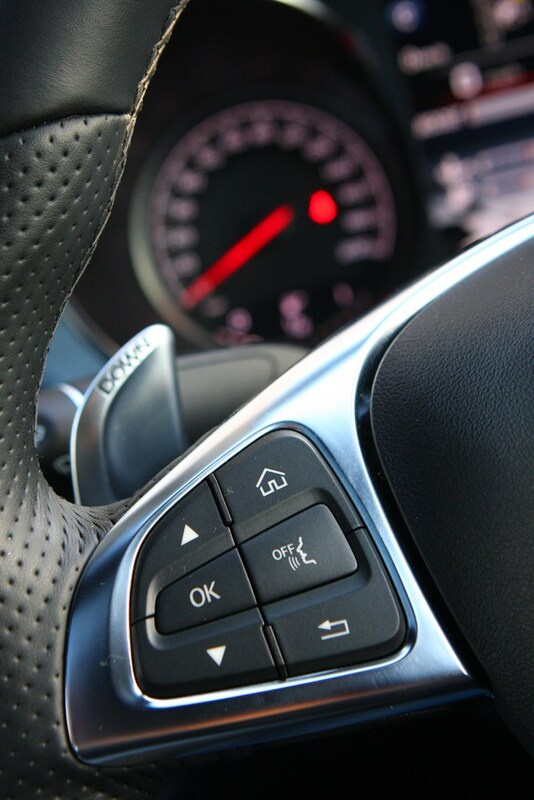 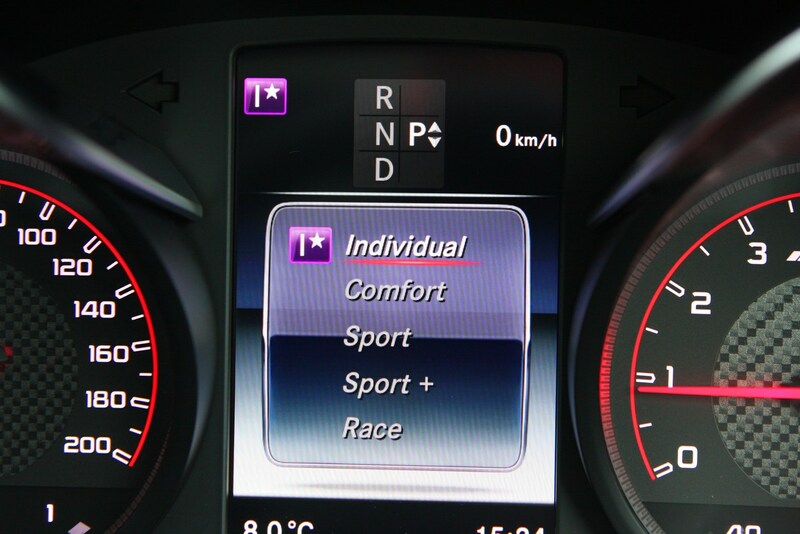 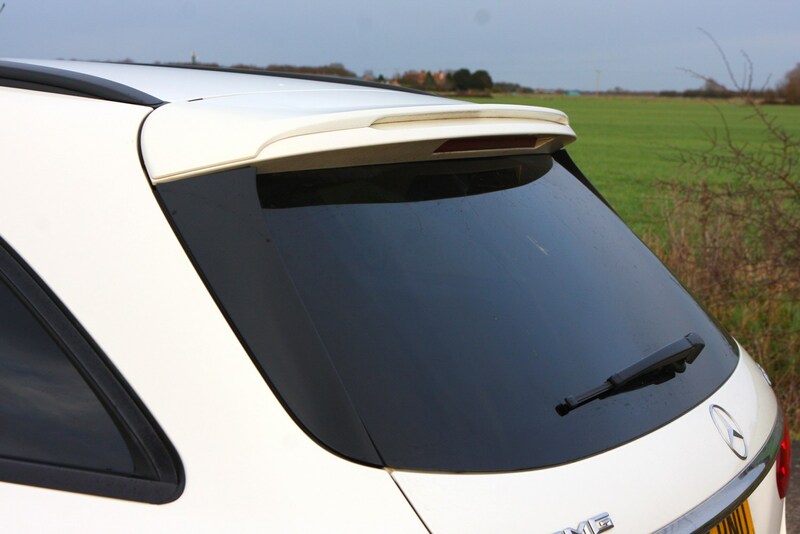 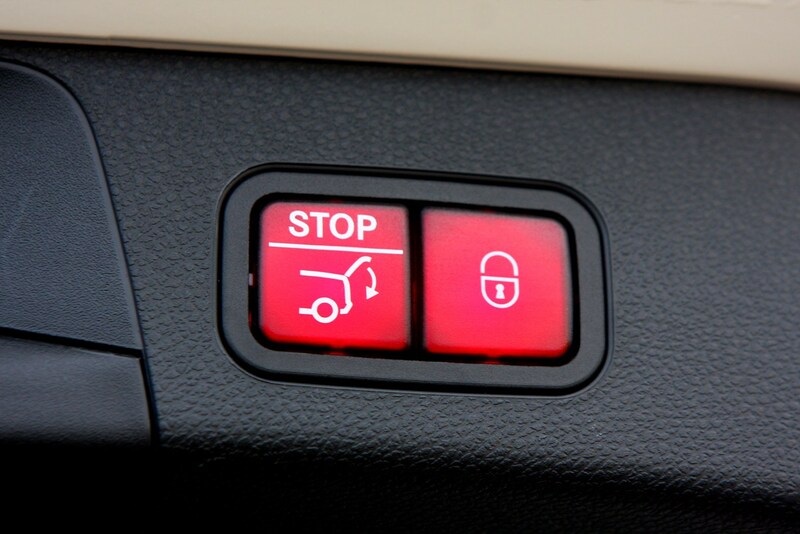 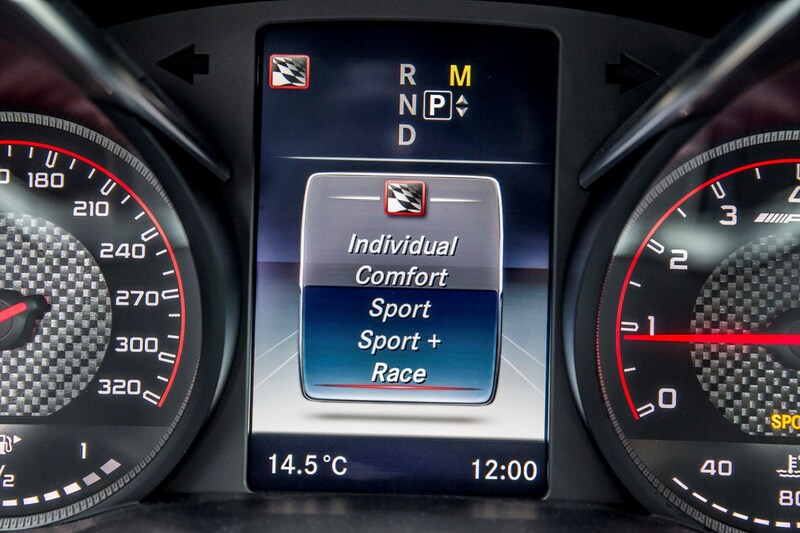 Adaptive dampers, which can be controlled from inside the car, allow it to walk either side of the comfort and sporty line, all at the touch of a button. 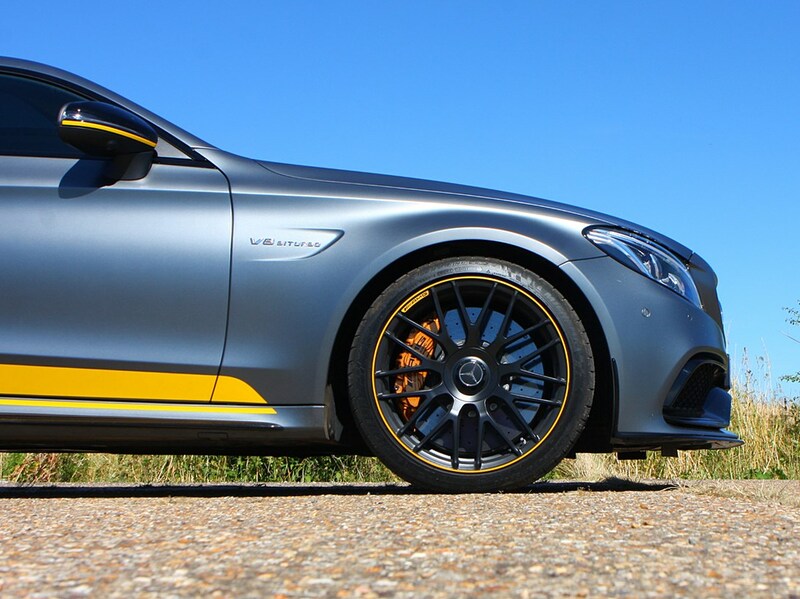 There’s masses of grip, and at times it’s easy to question whether the C63 is really rear-wheel drive or not, with the ESP system rarely coming across as draconian with its interventions. 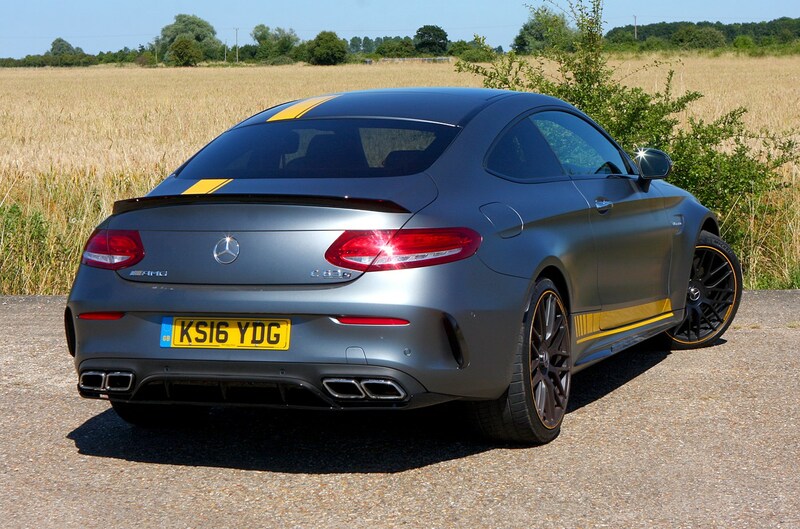 Switch it off and the Mercedes-AMG C63 is something of an animal though, performing lurid tail slides on track and billowing smoke as the extensive torque figure overcomes the rear tyres’ grip – and thanks to the balanced and communicative chassis it rarely feels out of control when exploring these limits. 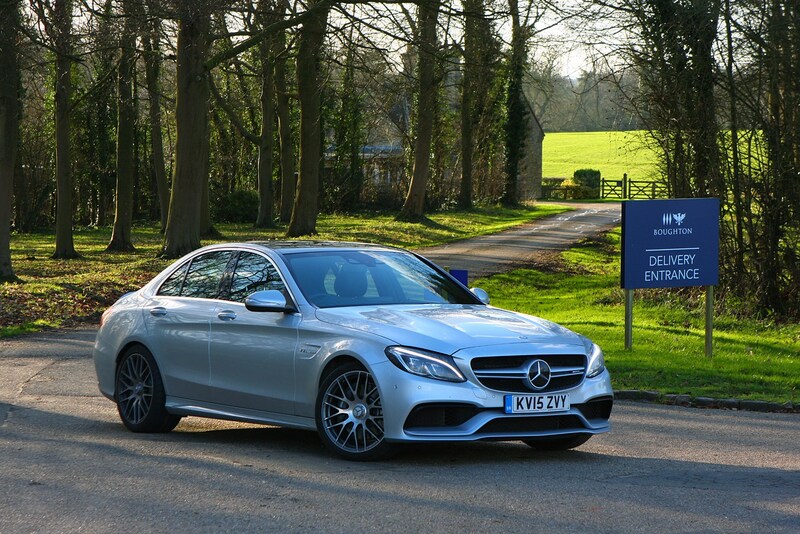 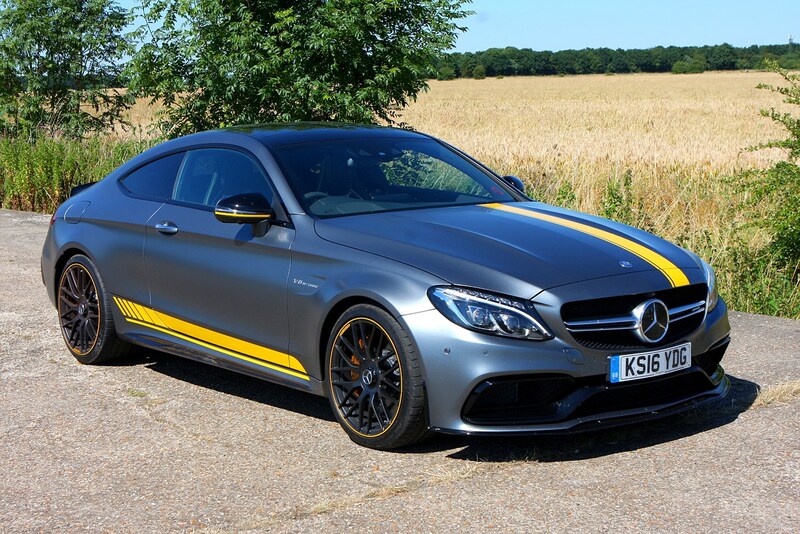 There’s no doubting the quality of this car, and nor should there be with a list price approaching £60,000 for the ‘entry-level’ C63 saloon. 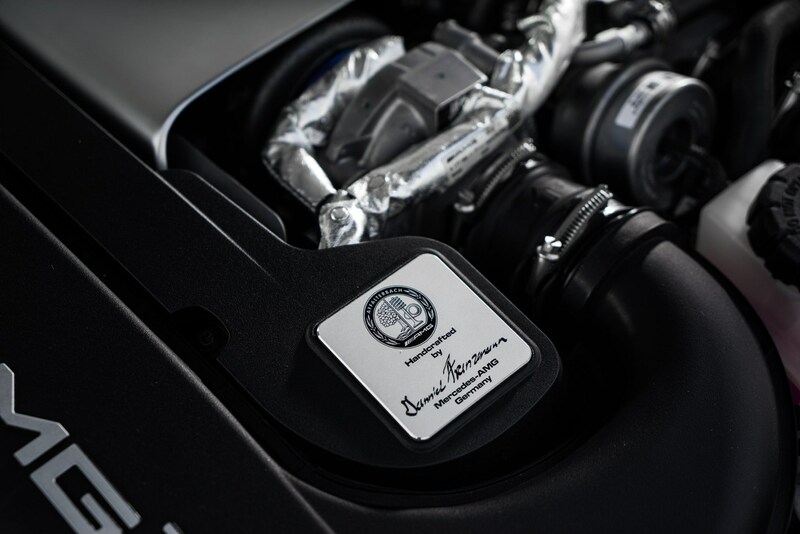 Each one features a fully hand-built engine, constructed by one technician at the firm’s Affalterbach factory and comes loaded with standard kit. 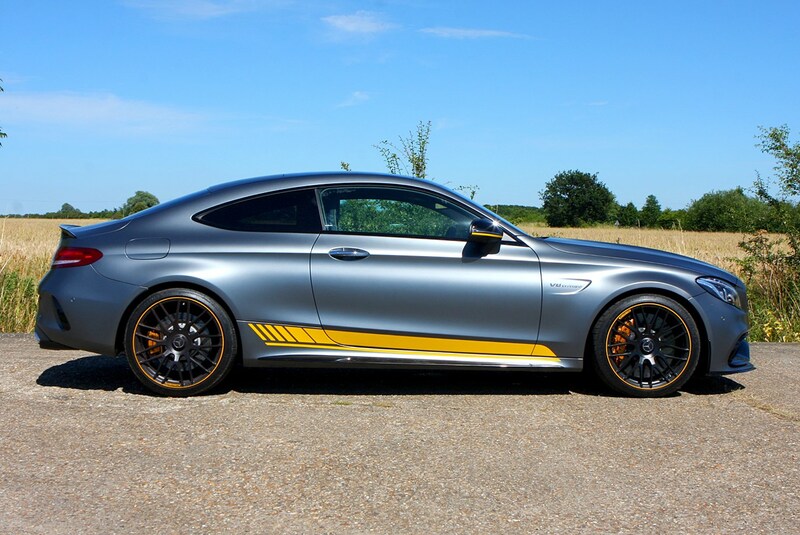 Certainly there’s little the executive sports car owner could want for, with the usual climate control, sat-nav and leather seats complimented by classy C63 specific additions to include 18-inch alloy wheels (19-inches on the C63 S), a bespoke steering wheel, high performance brakes (carbon ceramics are an expensive option) and either a mechanical limited slip differential or for the C63 S an electronic differential that works faster and more precisely. 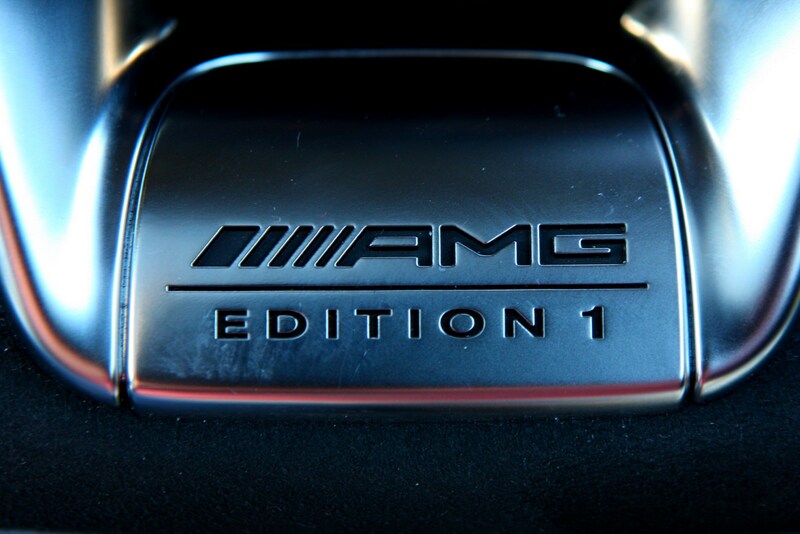 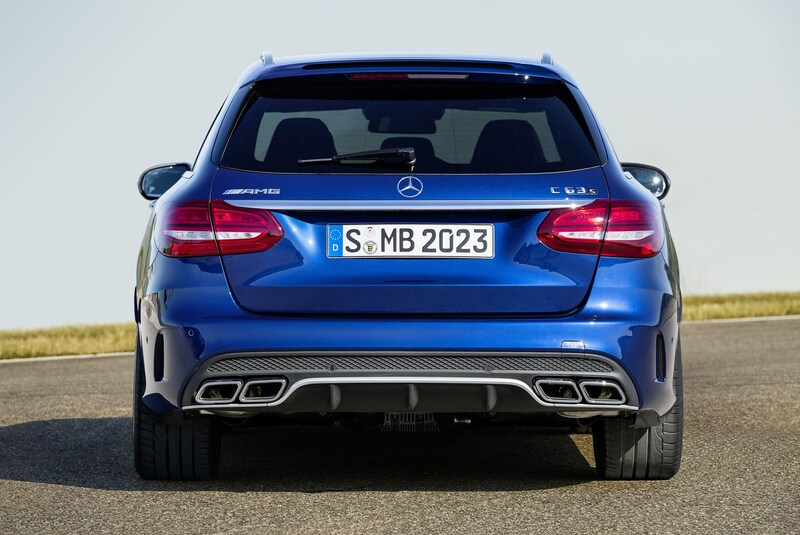 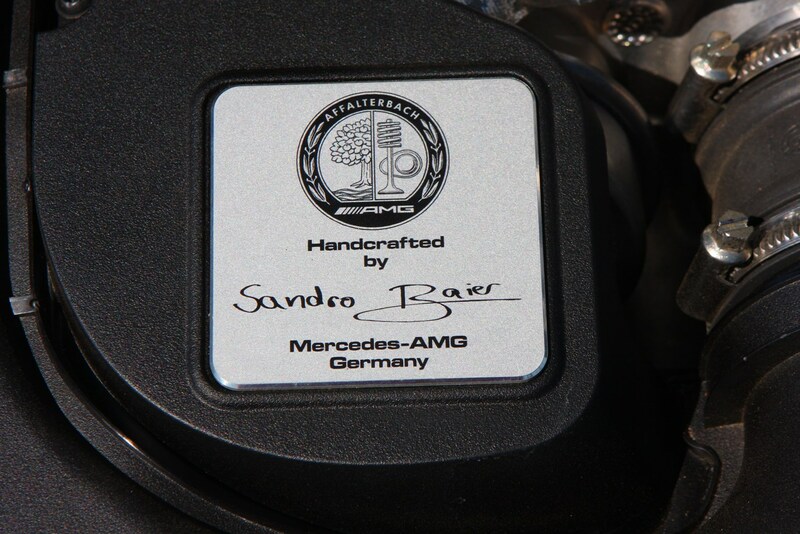 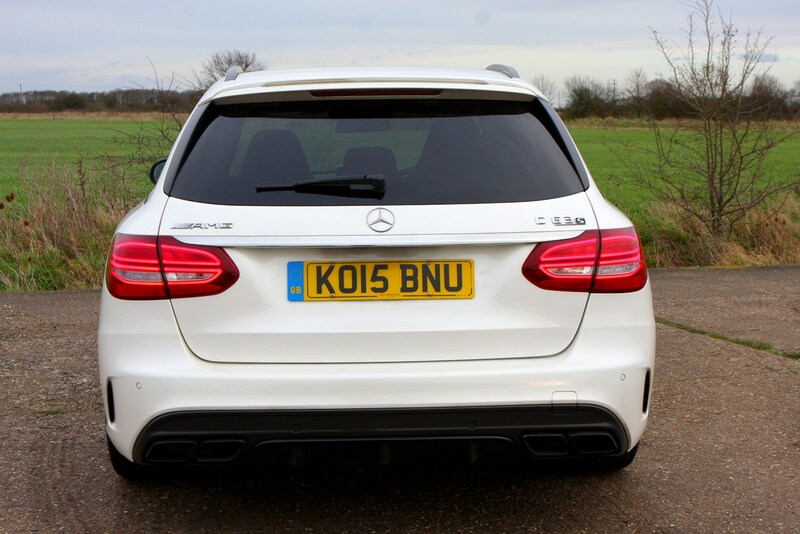 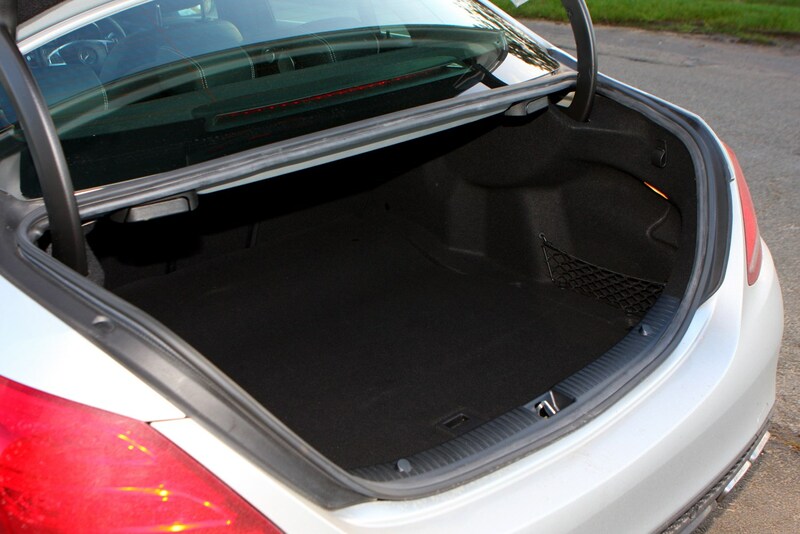 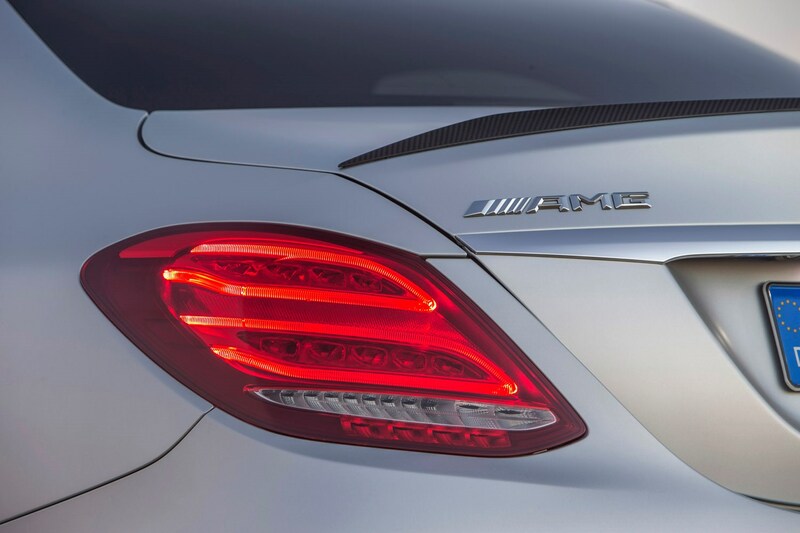 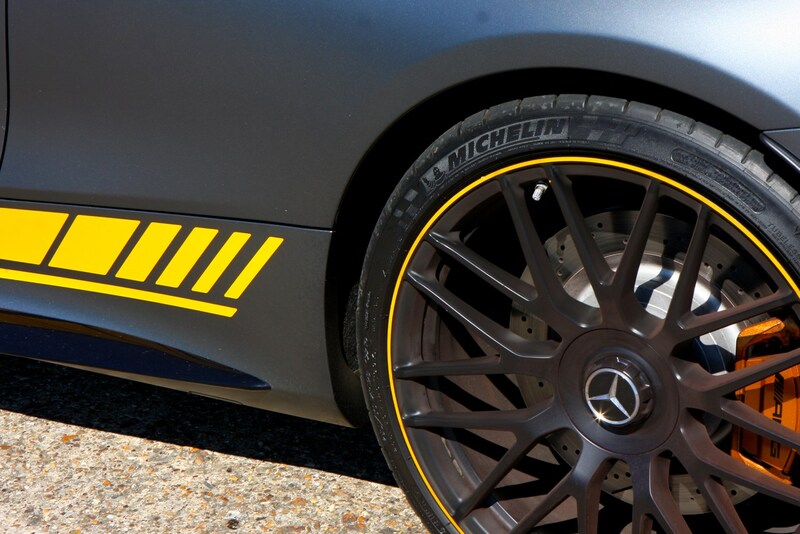 There’s one particular option we would have to add to the list though, and that’s the AMG exhaust system. 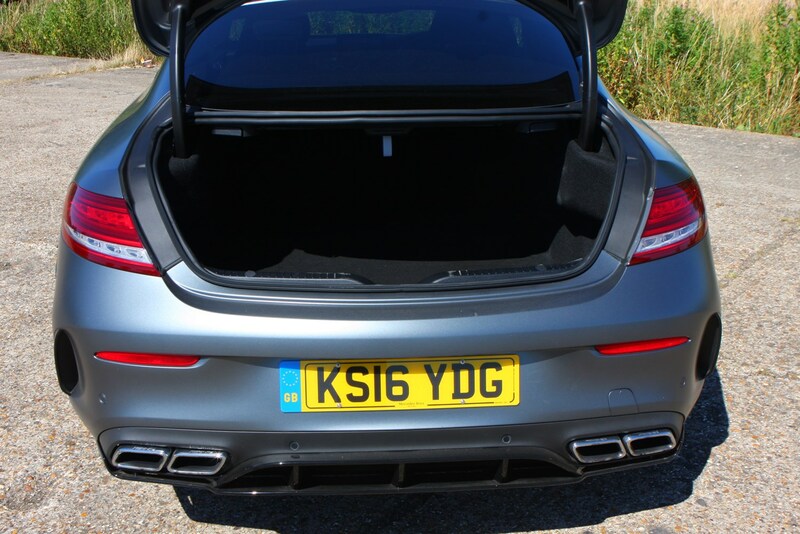 The standard exhaust features a valve just downstream of the engine, to alter the tone between both banks of cylinders, but the optional system uses a further pair ahead of the rear silencers. 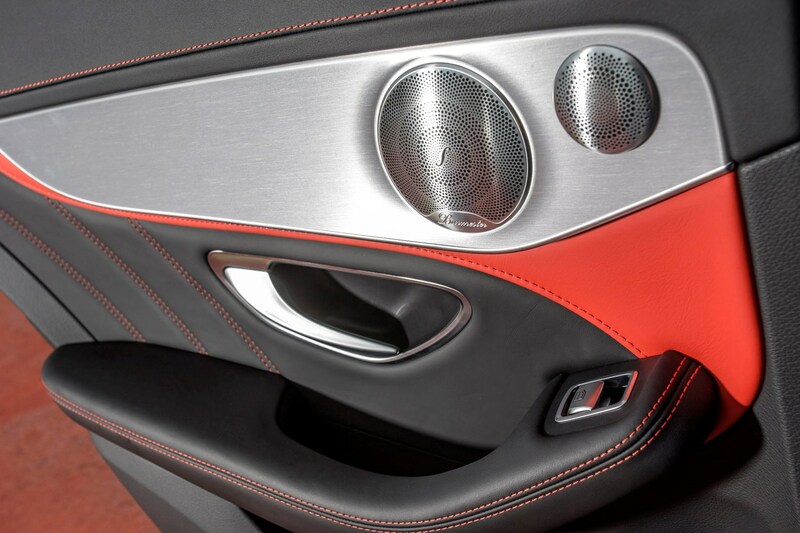 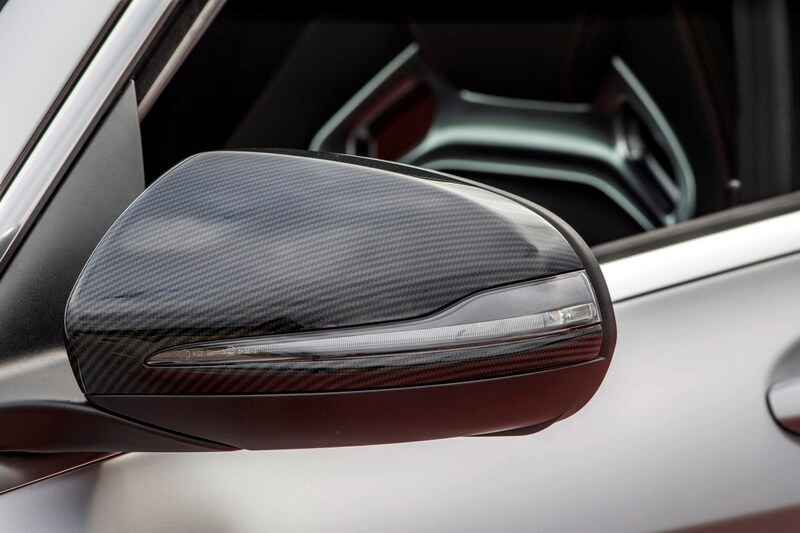 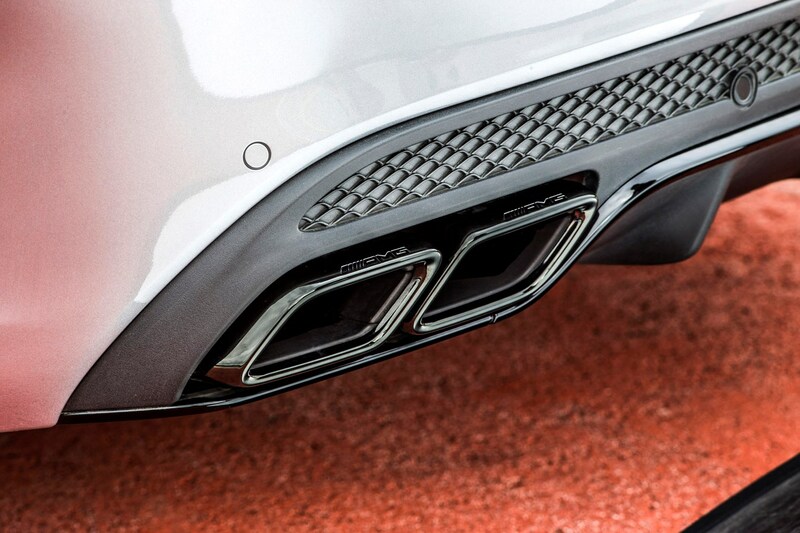 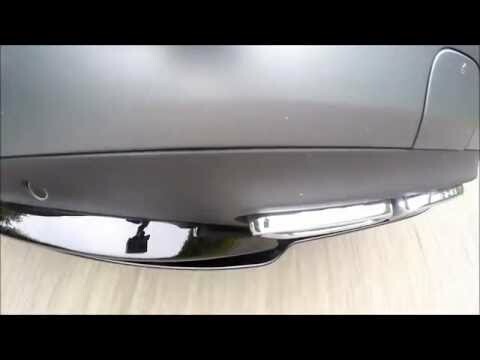 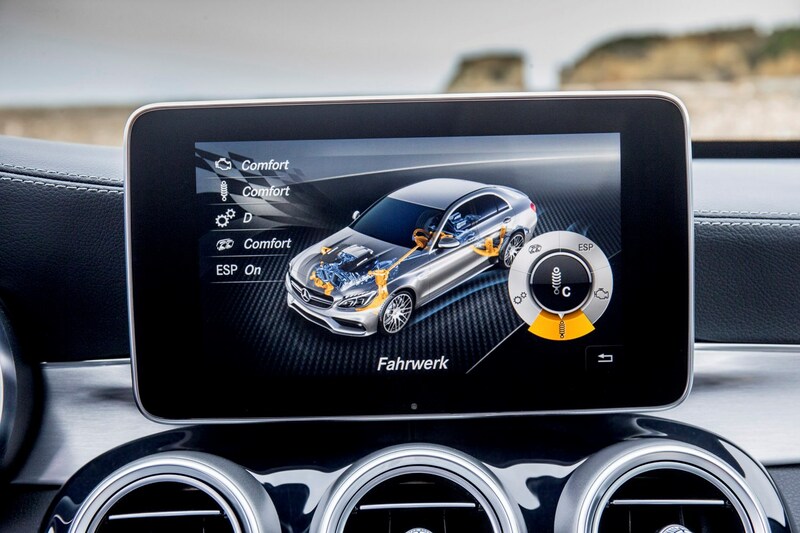 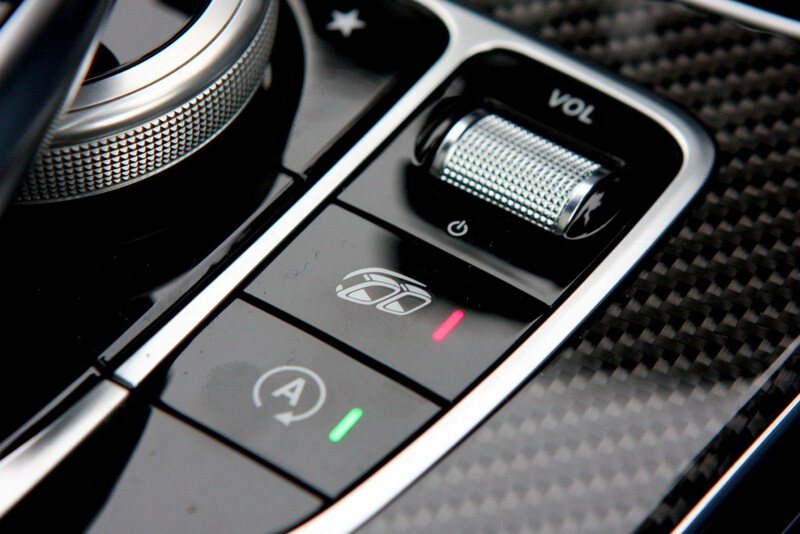 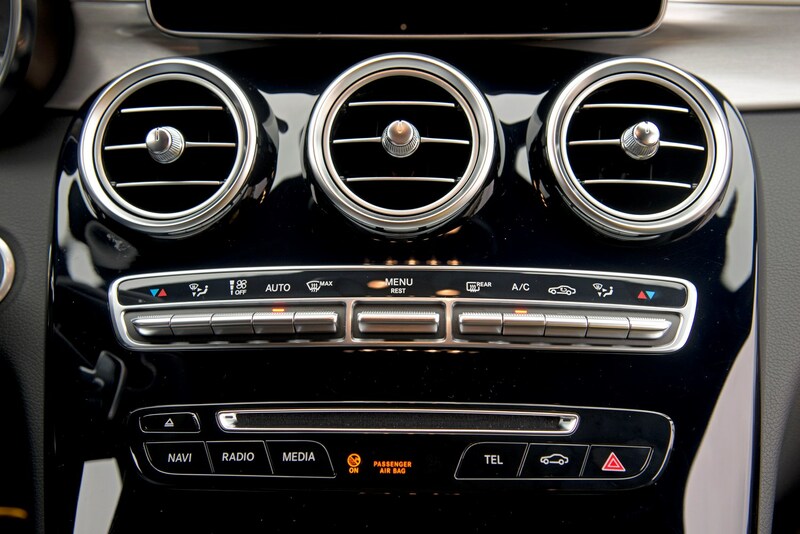 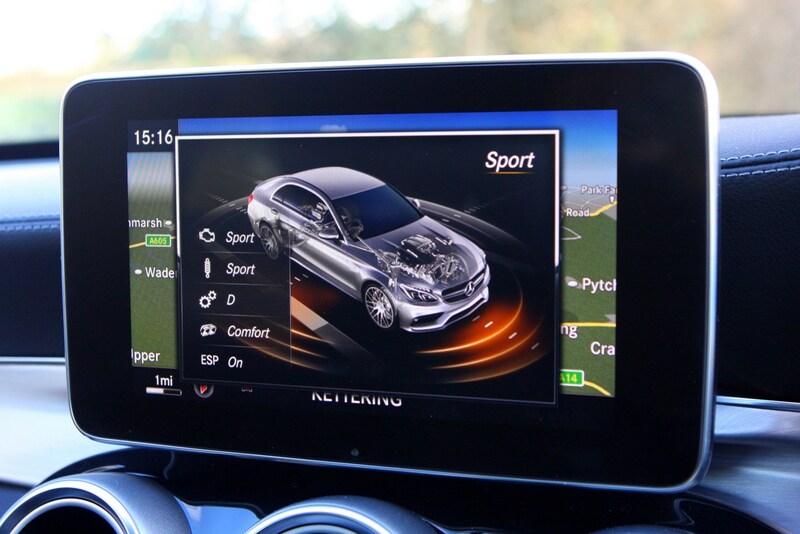 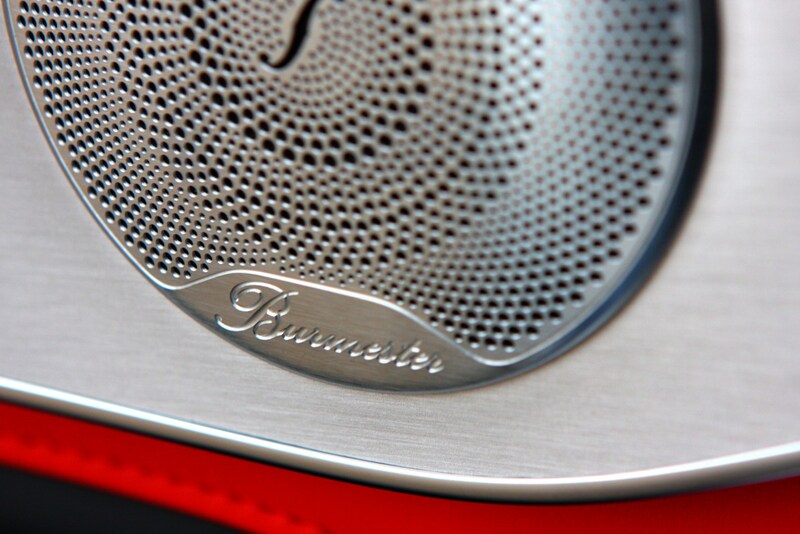 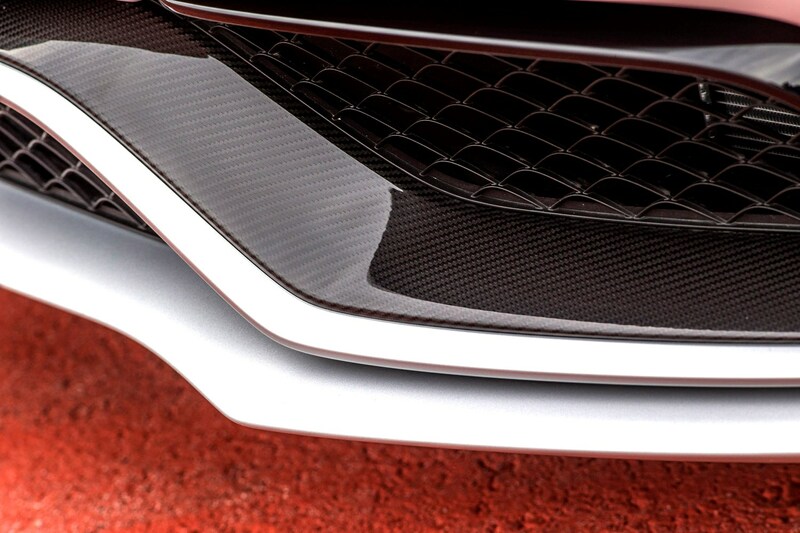 This allows a far more dramatic change to the sound, especially in Sport mode where it takes on an angry, deep chested bellowing that reminds us why you don’t need the sound synthesisers often found in rival cars. 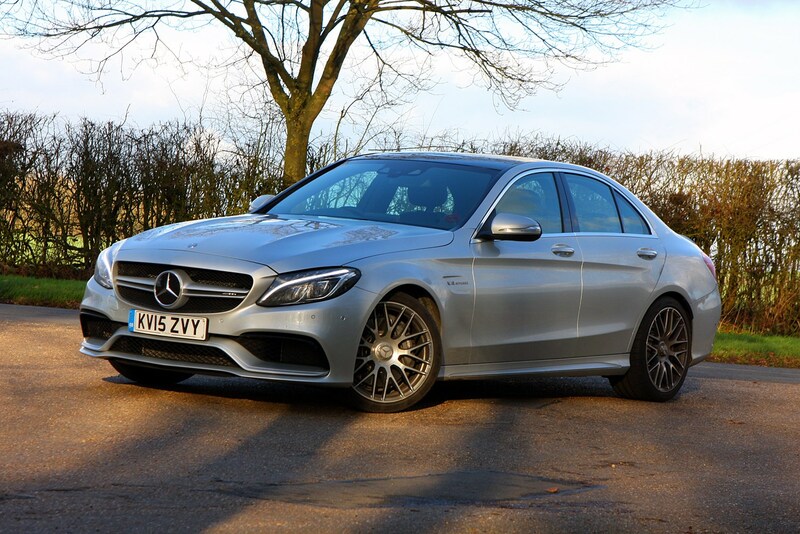 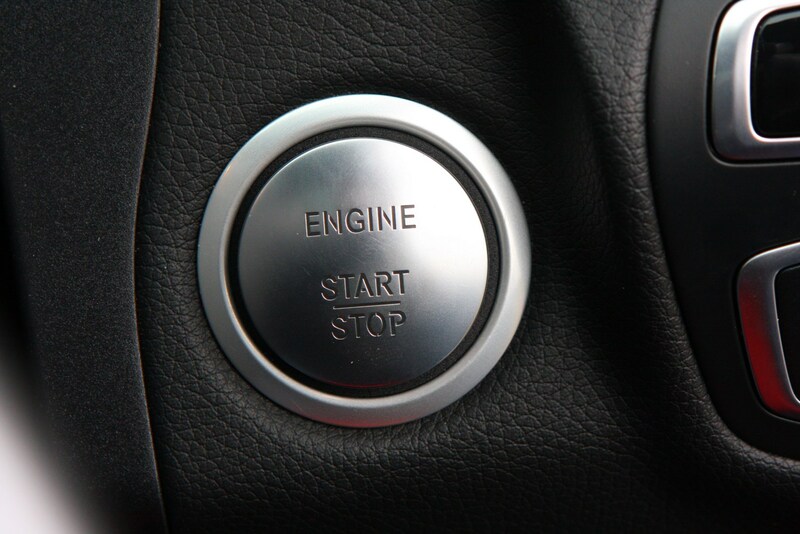 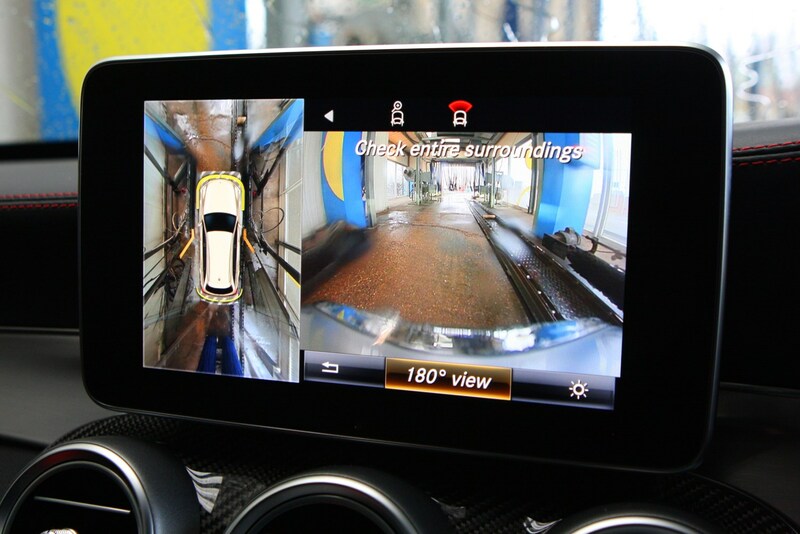 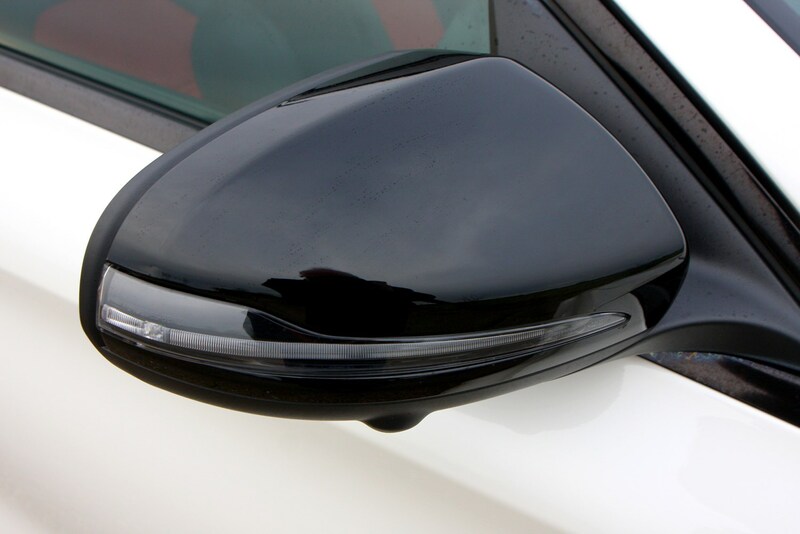 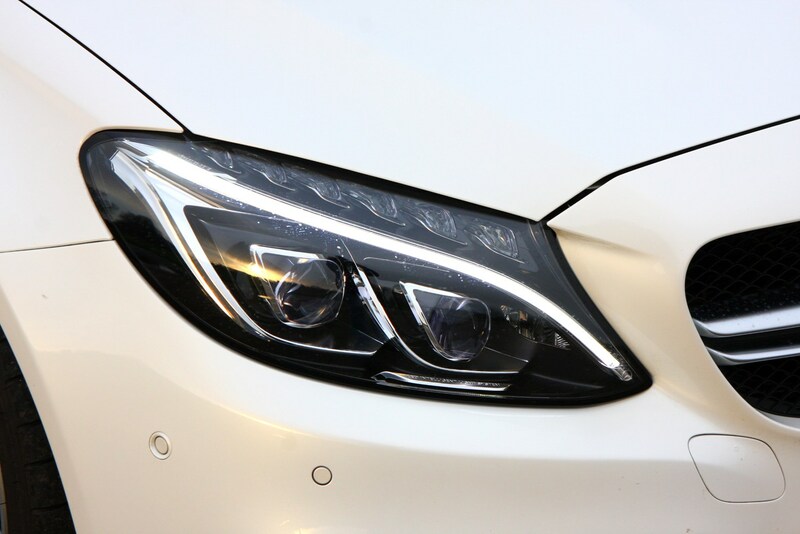 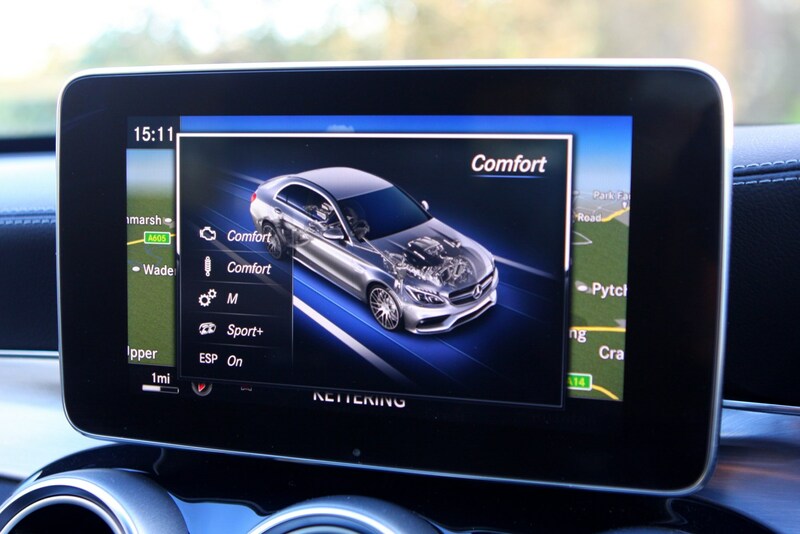 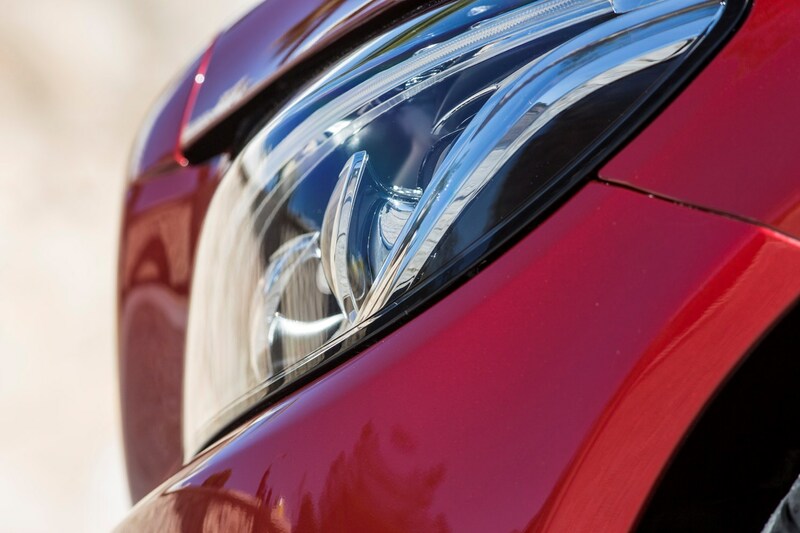 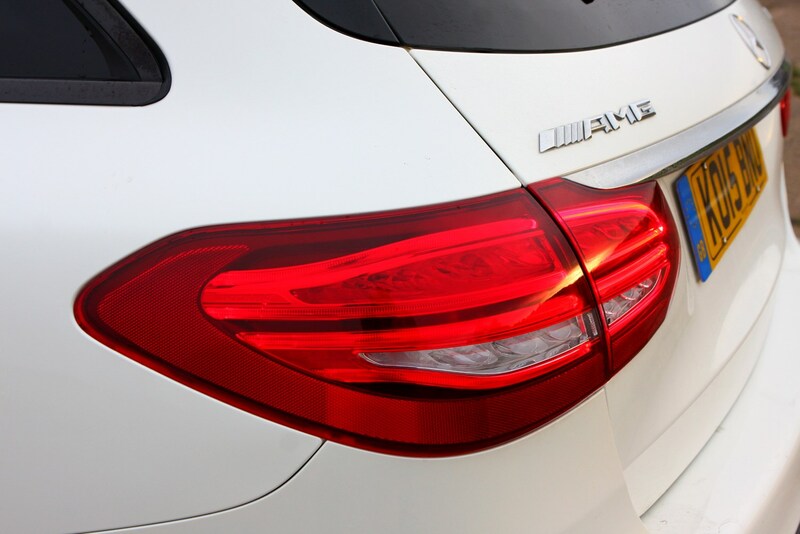 Ultimately this isn’t a car without fault, but so dominating is the performance and handling abilities that any minor indiscretion can be easily forgiven – which is part of the reason it receives the full complement of five stars. 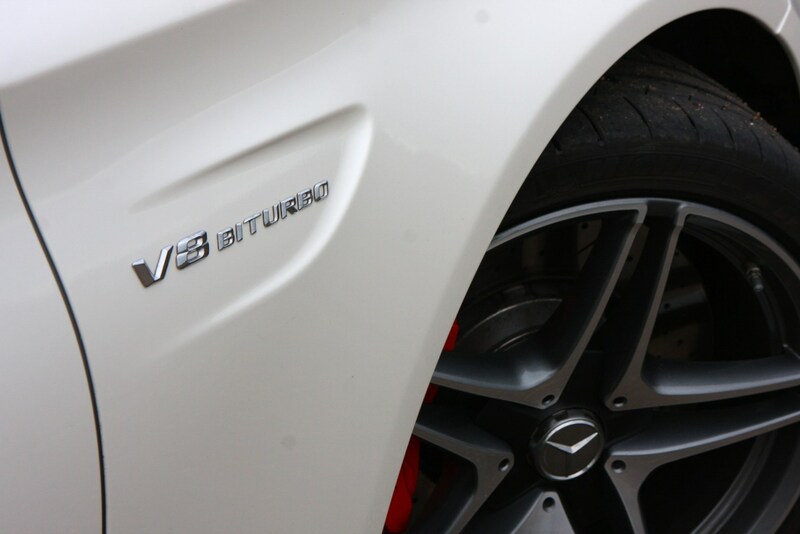 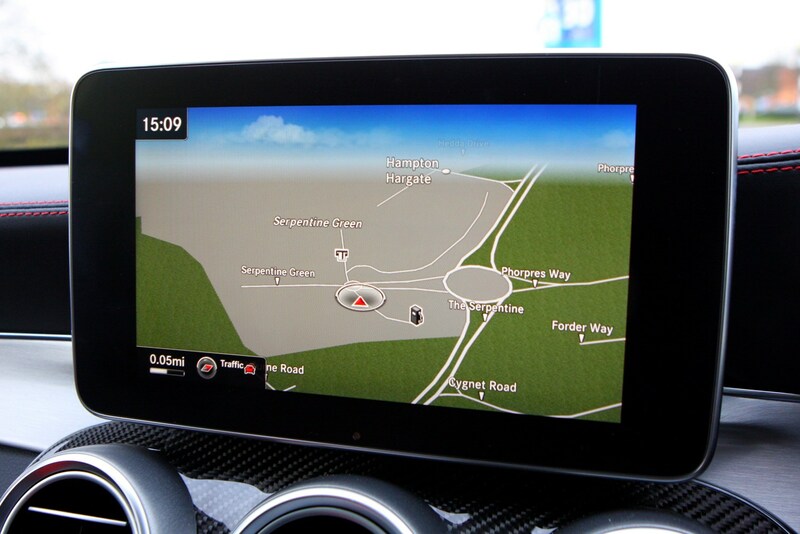 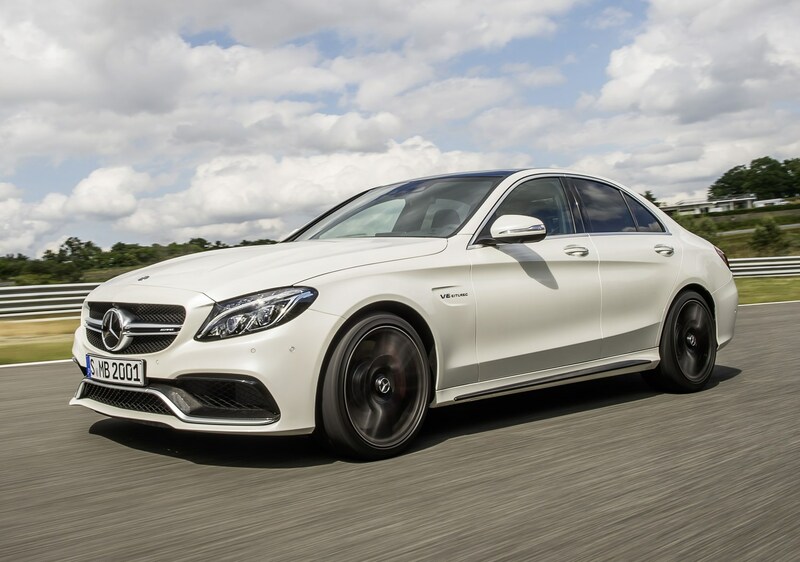 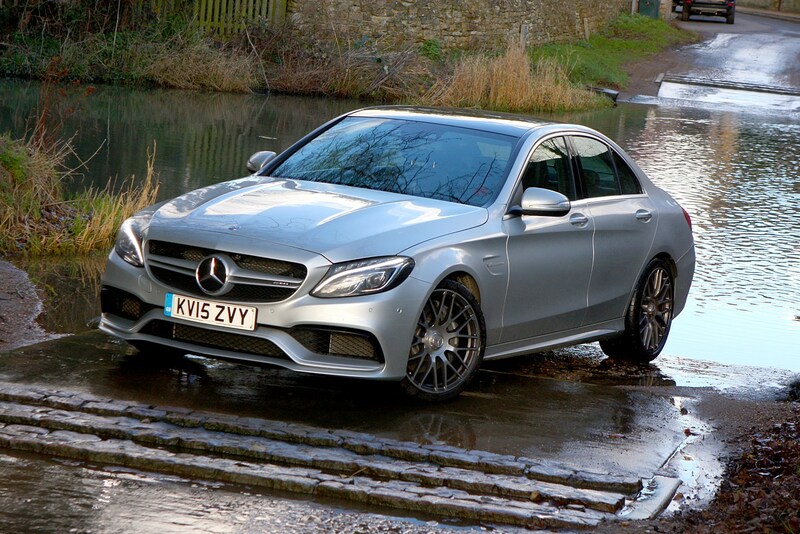 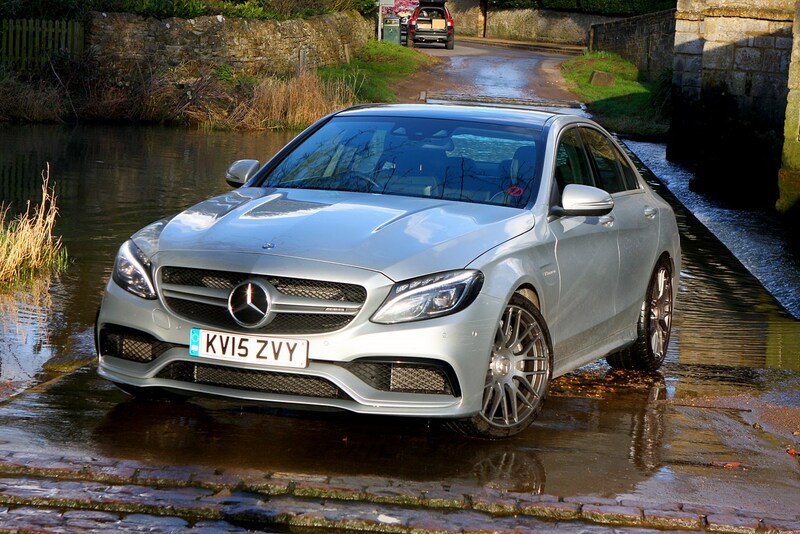 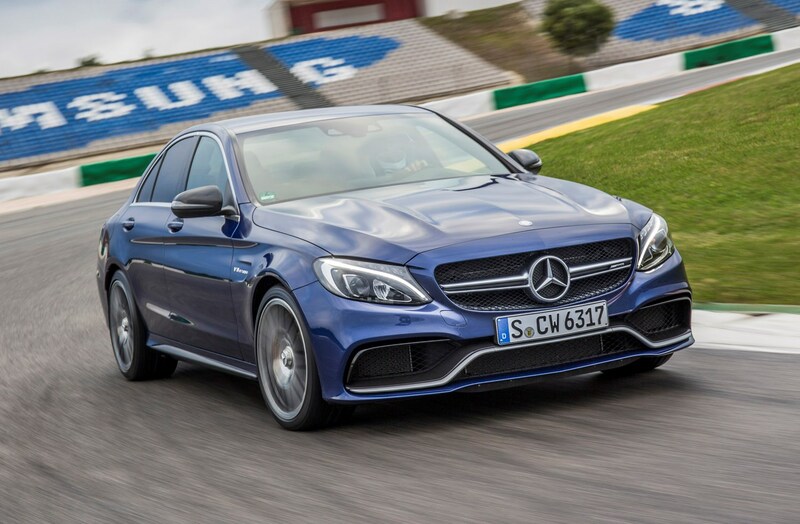 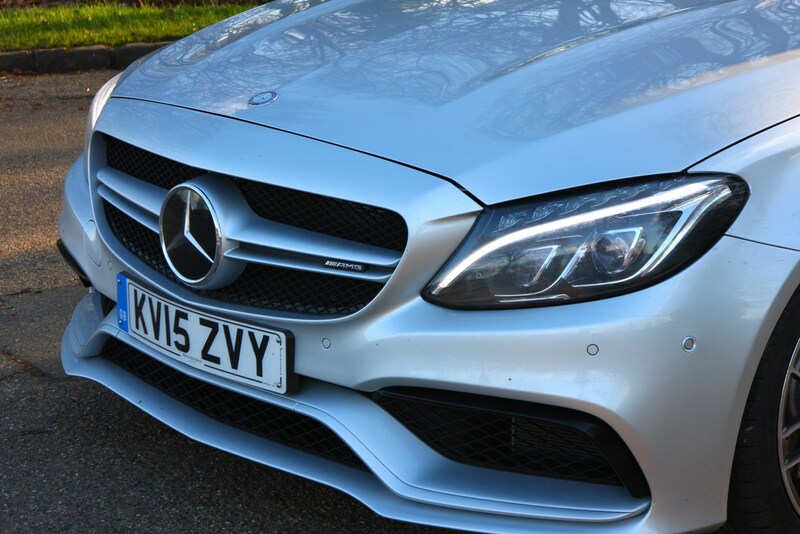 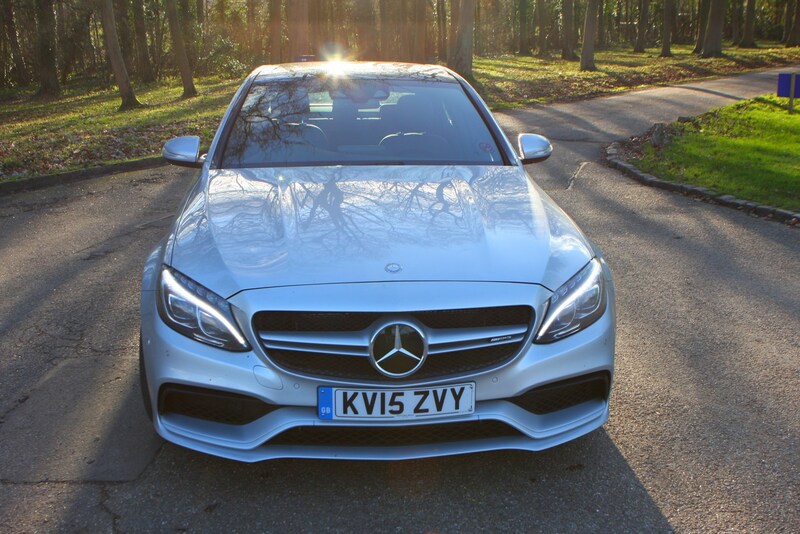 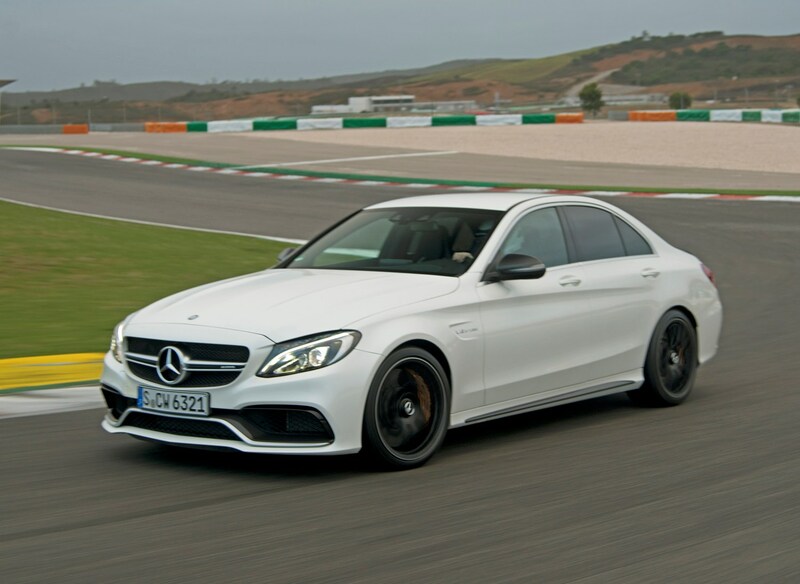 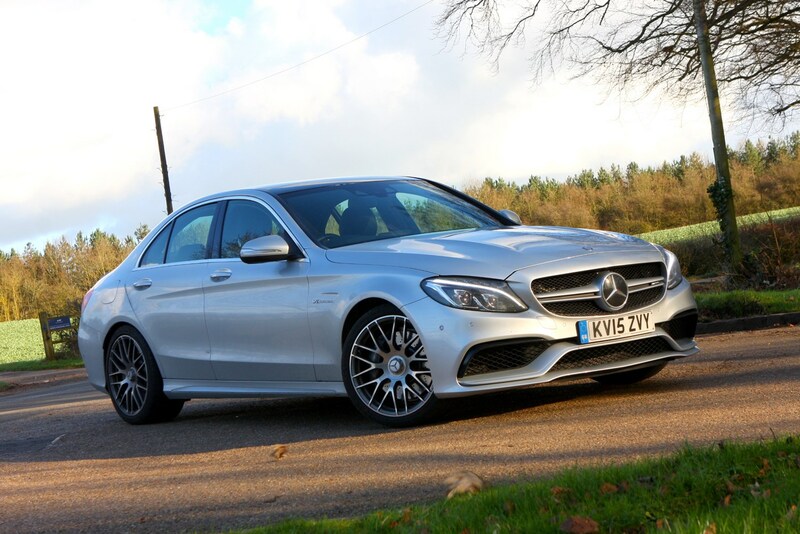 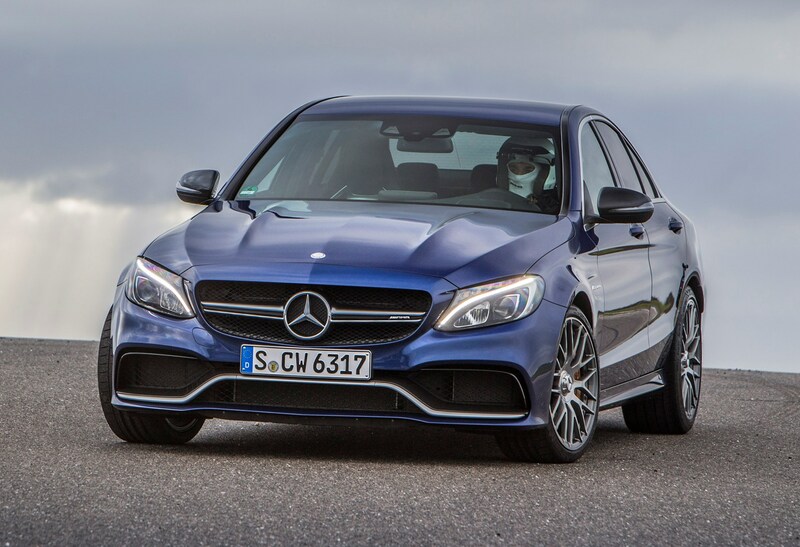 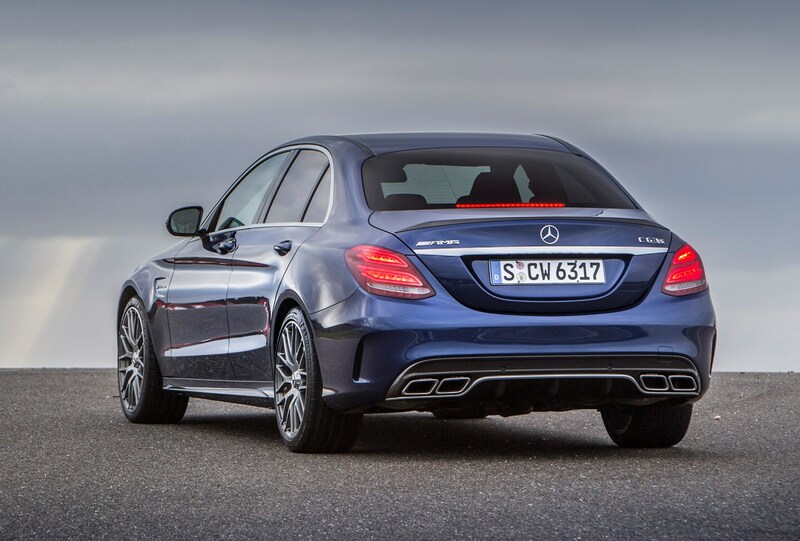 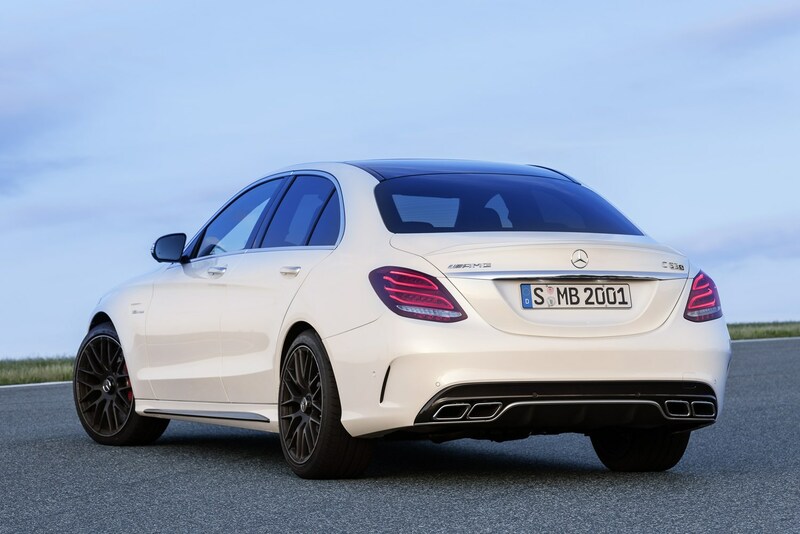 Read the rest of the Parkers Mercedes-AMG C63 review to find out why. 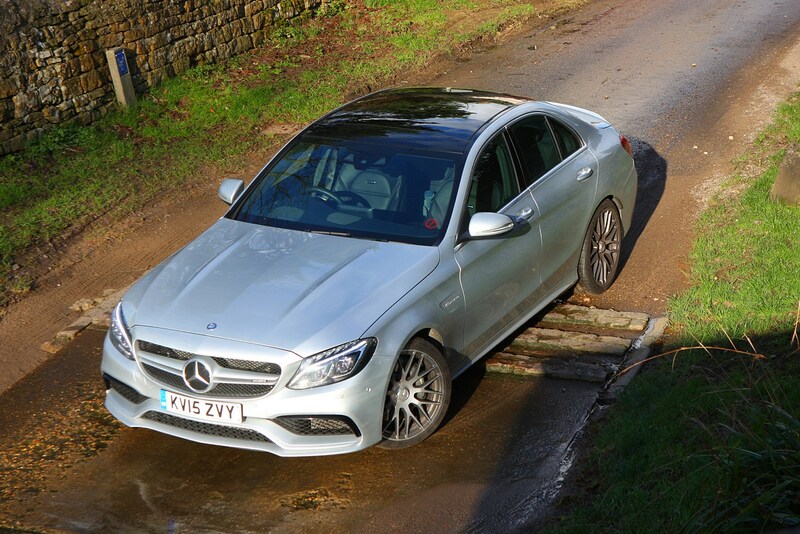 Mercedes-Benz C-Class – which version is best for you? 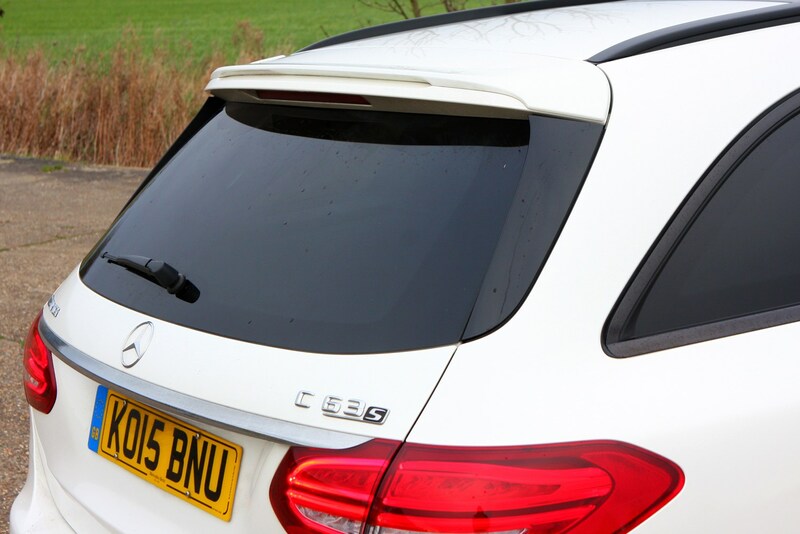 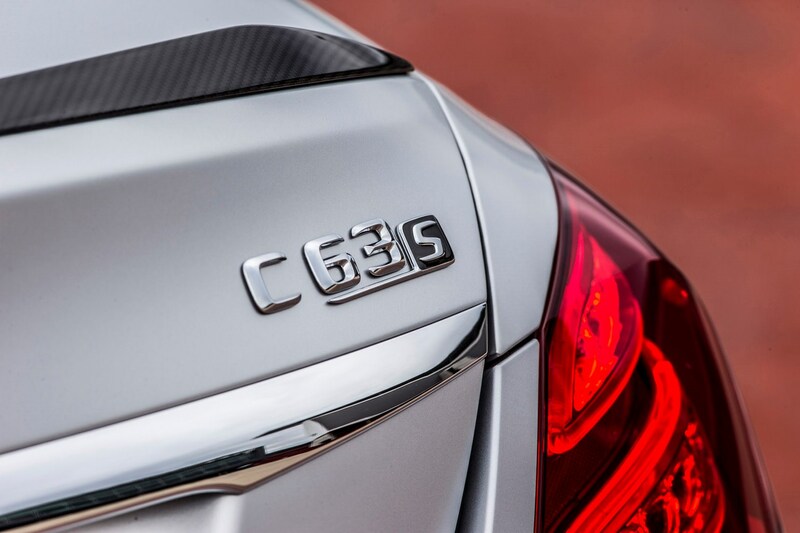 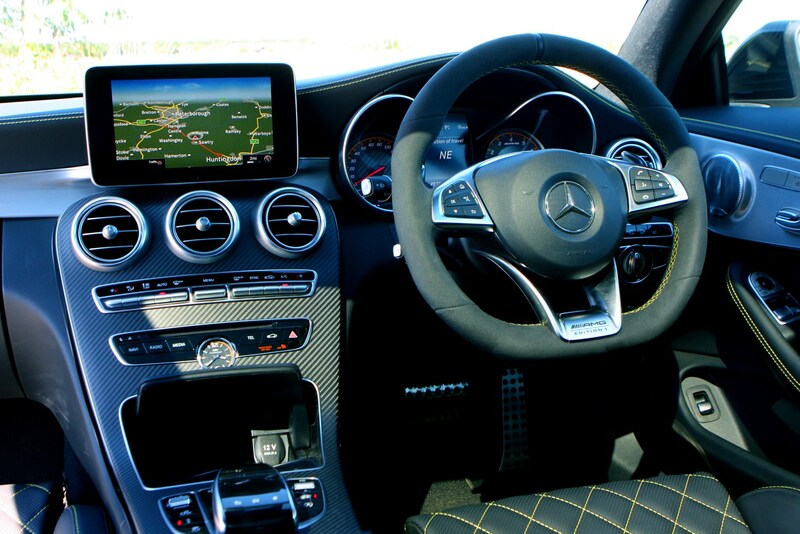 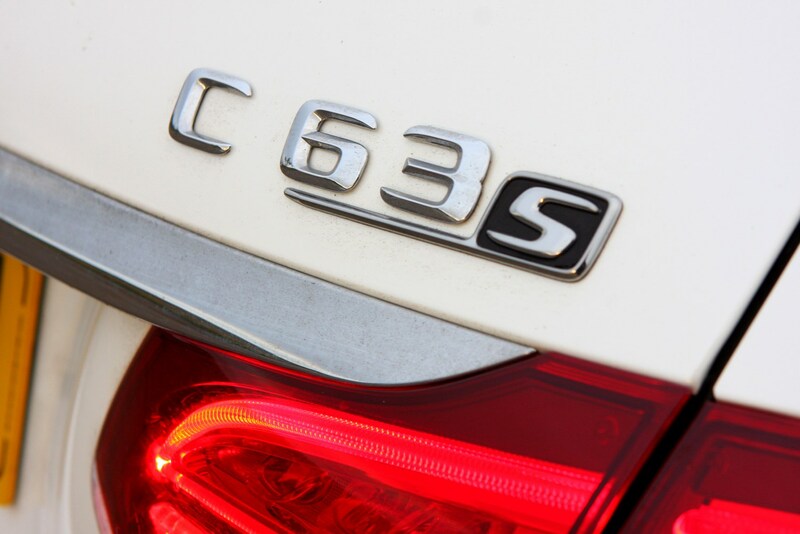 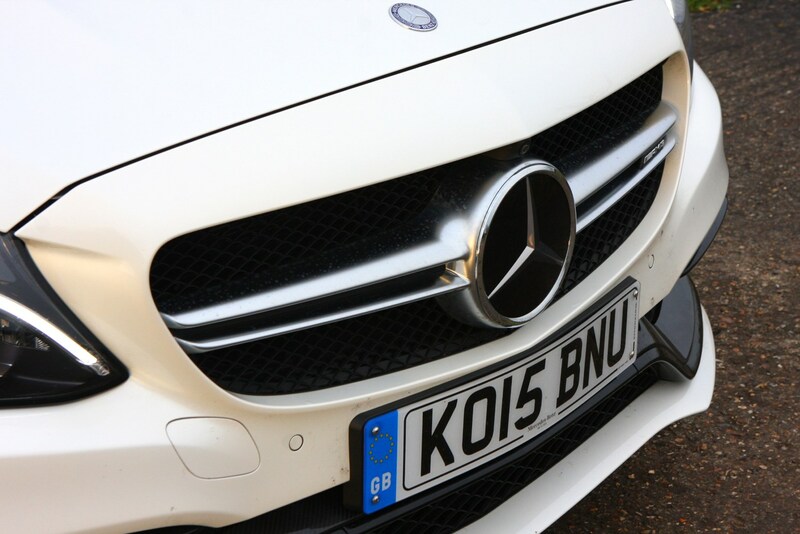 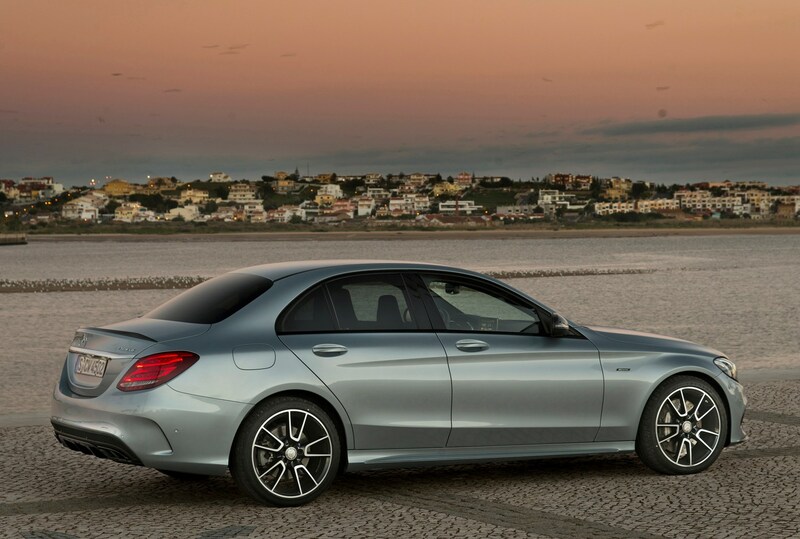 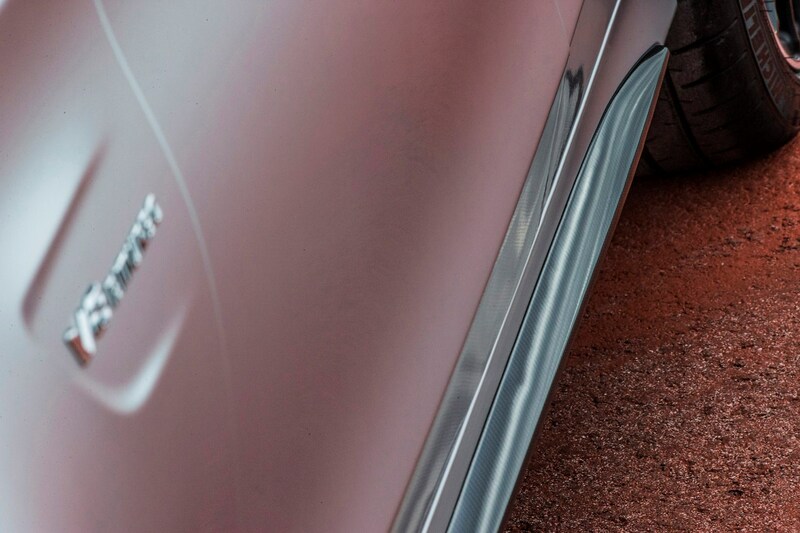 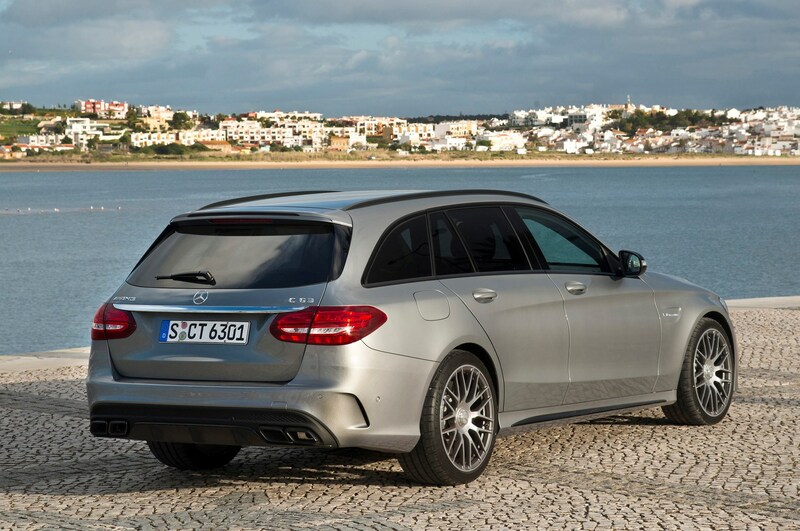 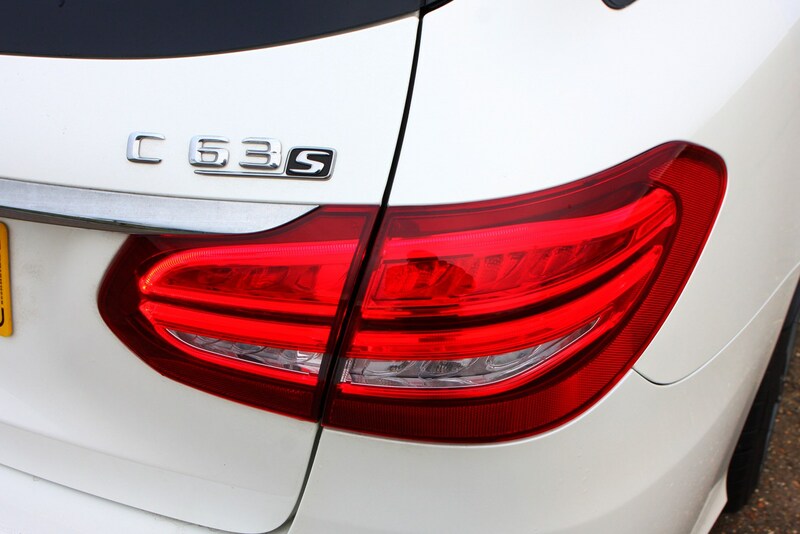 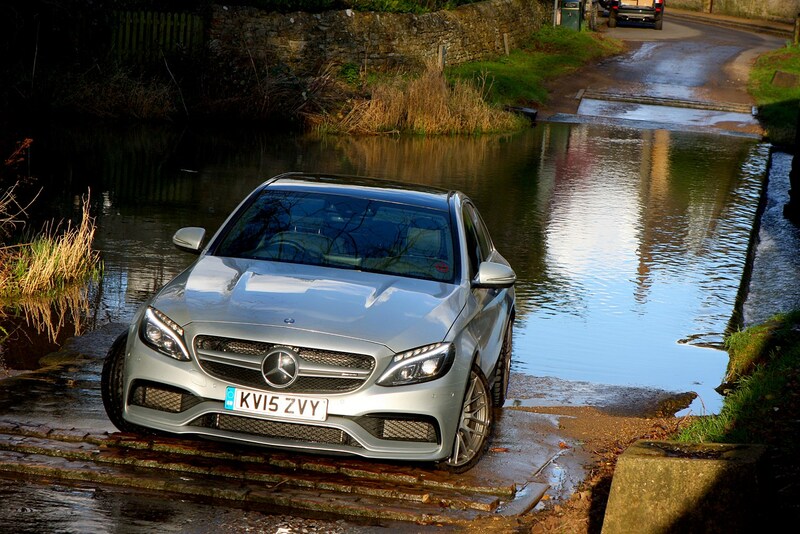 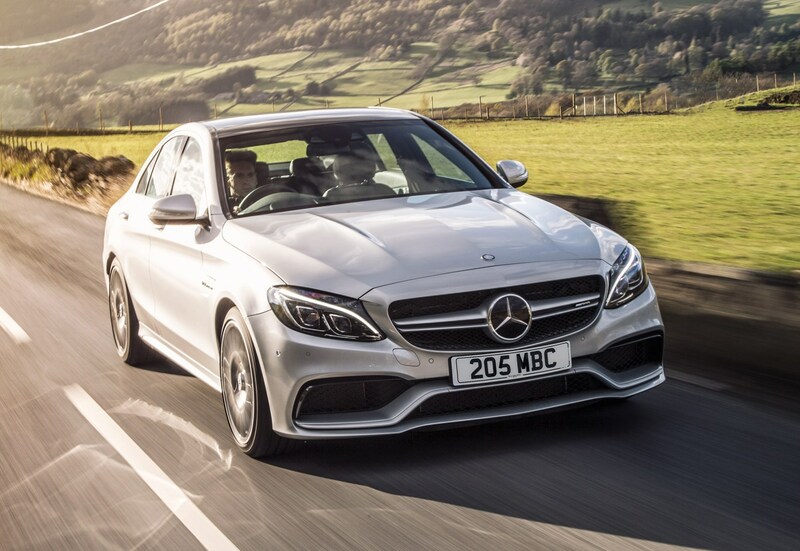 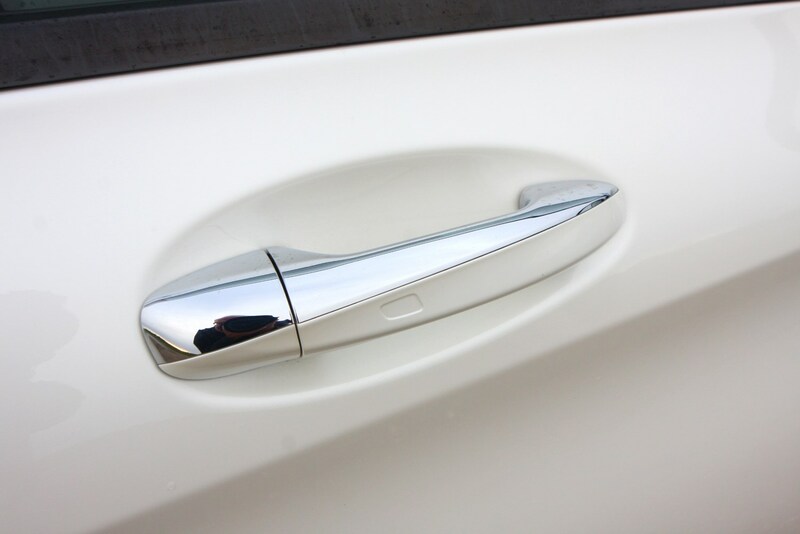 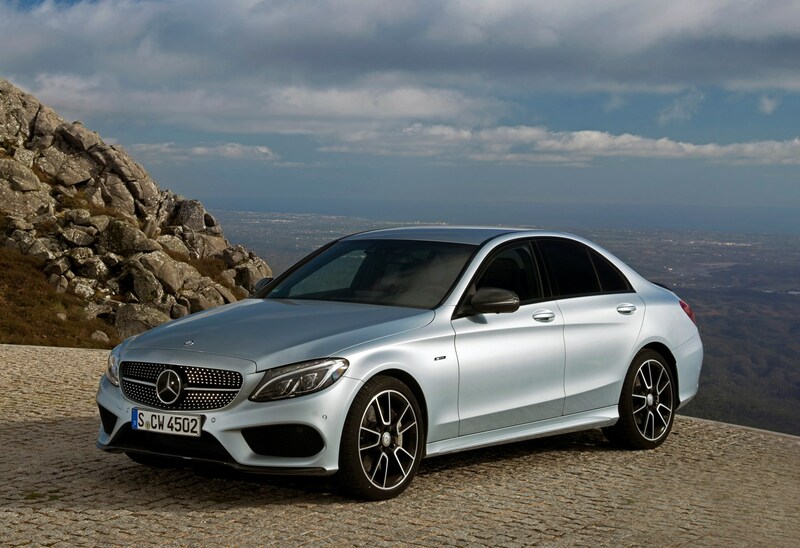 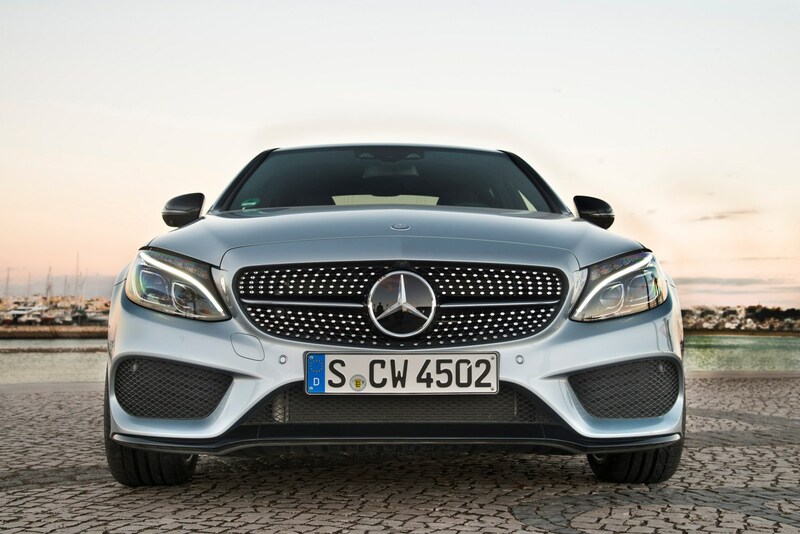 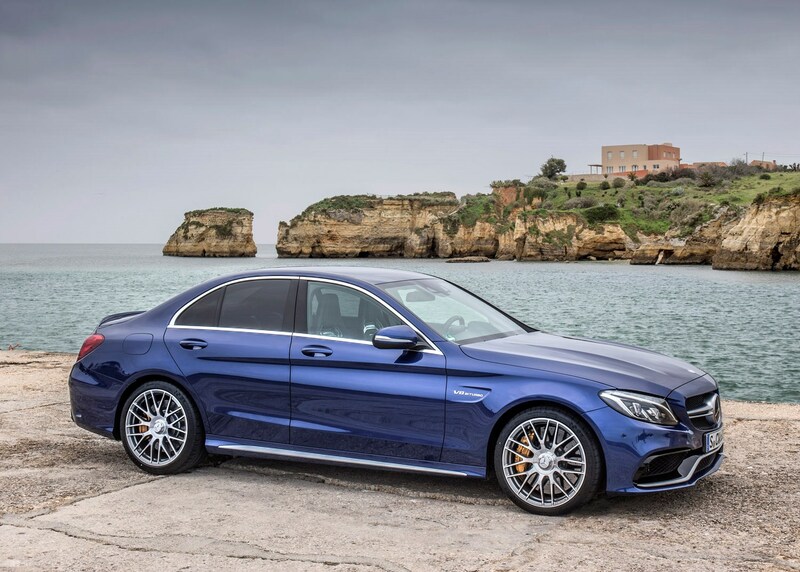 Did you know the most popular review for the C-Class range is the Mercedes-Benz C-Class Saloon review.